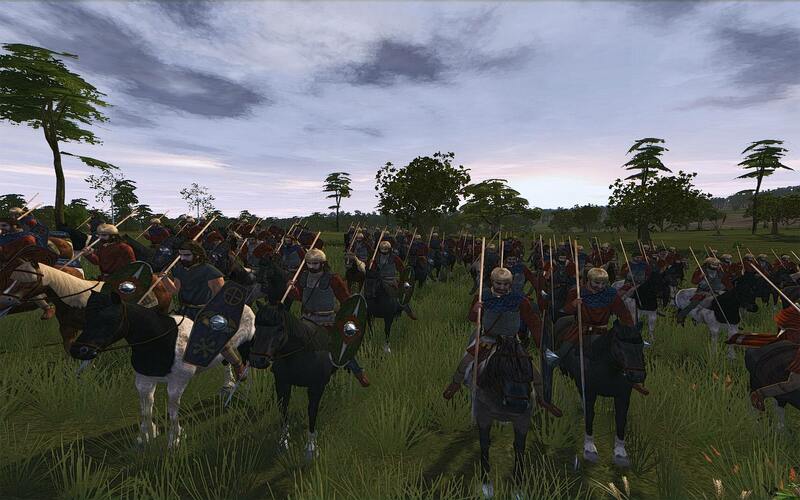 We have a job we'd like to ask as many of you as possible to participate in: taking screenshots of the units. 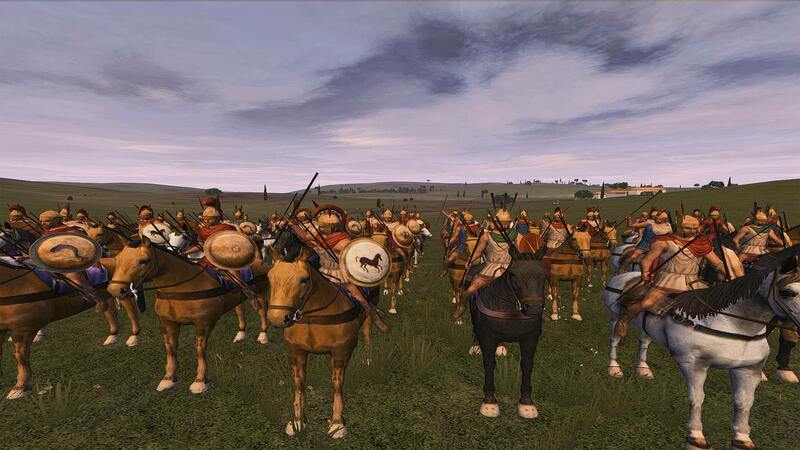 We have an awful lot of broken links to images in our internal forum, especially for units which aren't new, which makes looking back over units rather painful. 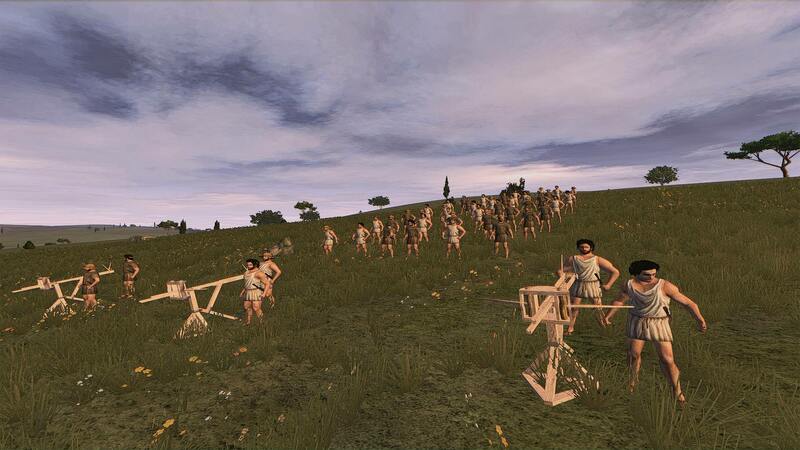 It usually means firing the game up, which adds significant handling time. 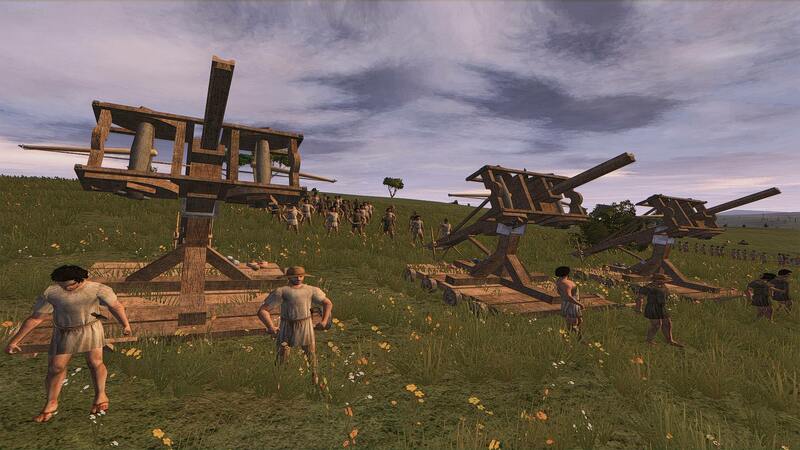 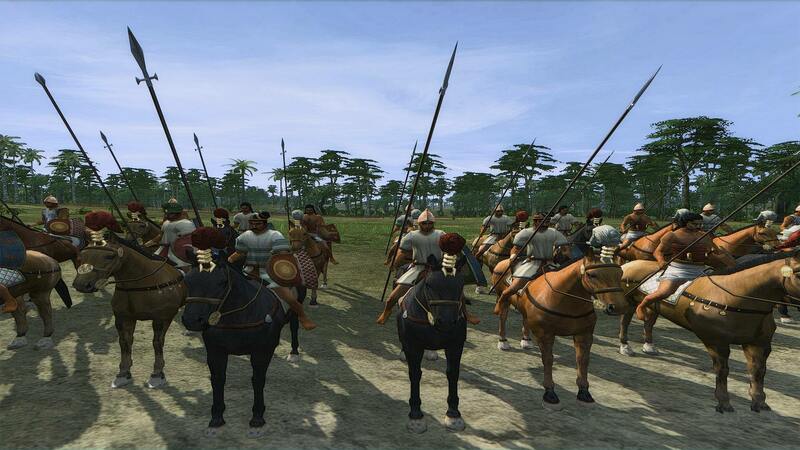 We also have one other activity under way that will require images of the units, so this would aid with both. 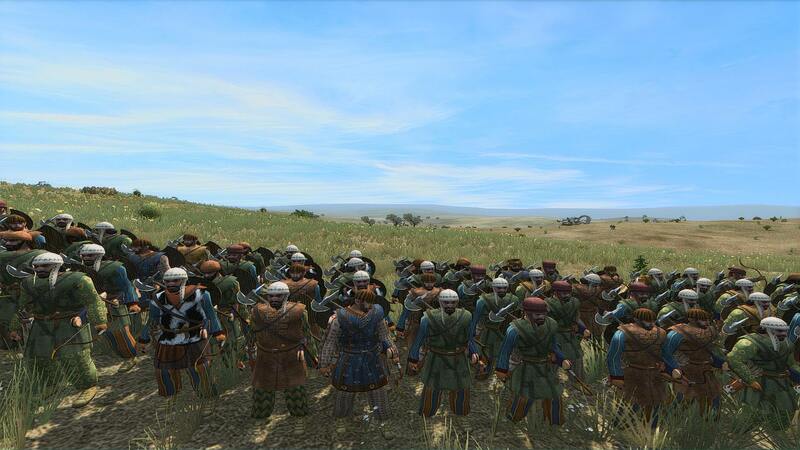 If you want to get involved, you need your graphics set to the highest unit detail possible. 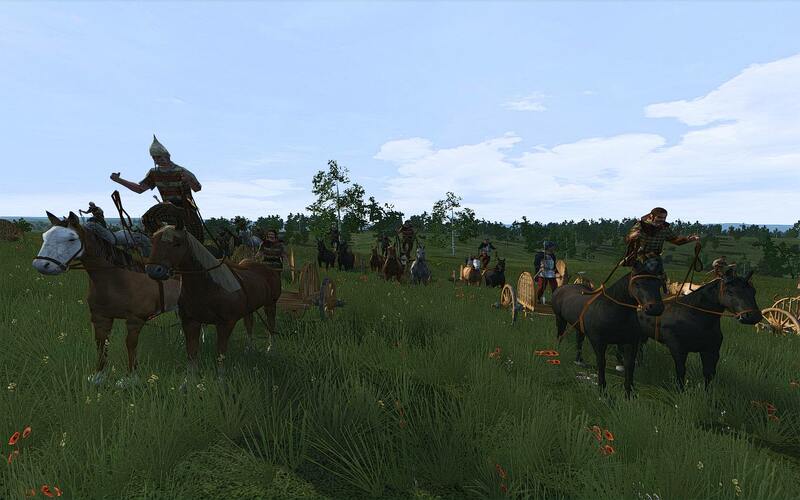 If you're using the graphical enhancement, even better. 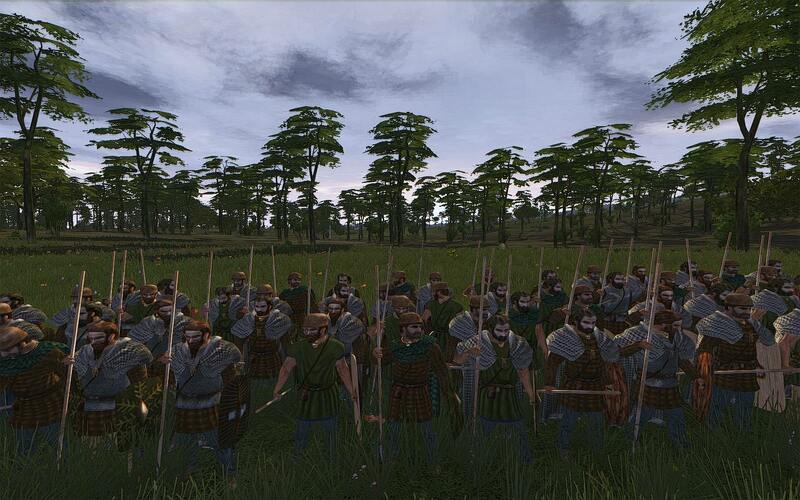 At some point, once we have a critical mass of posts/images, I'll start organising them. 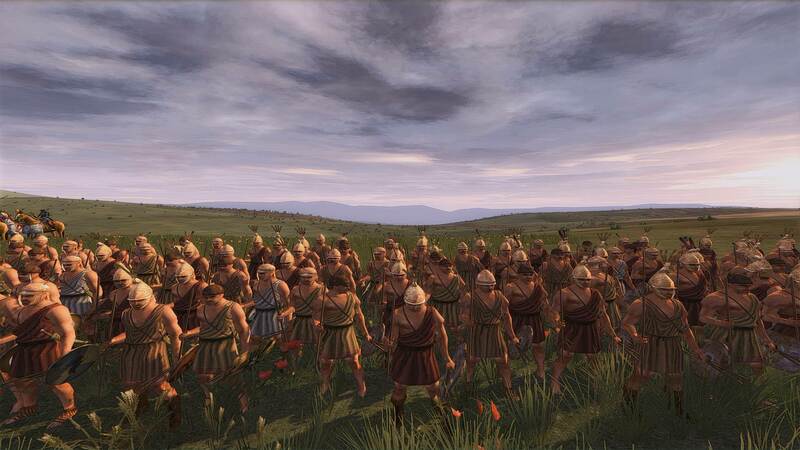 Or I'll delegate that so someone who's keen to. 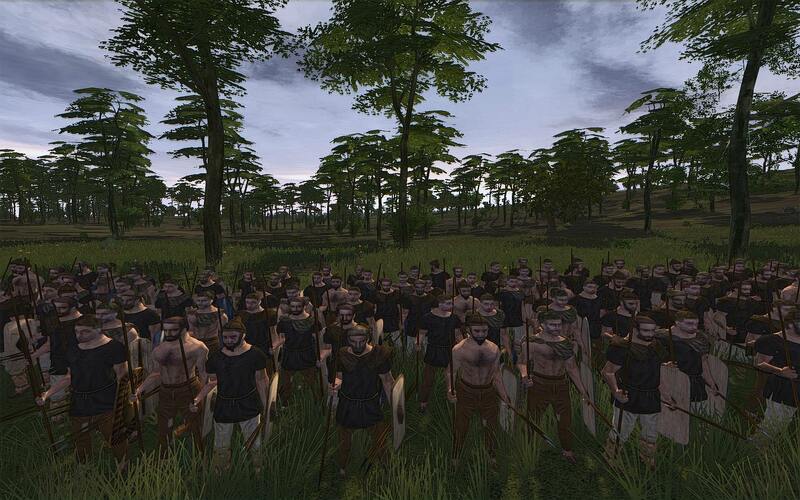 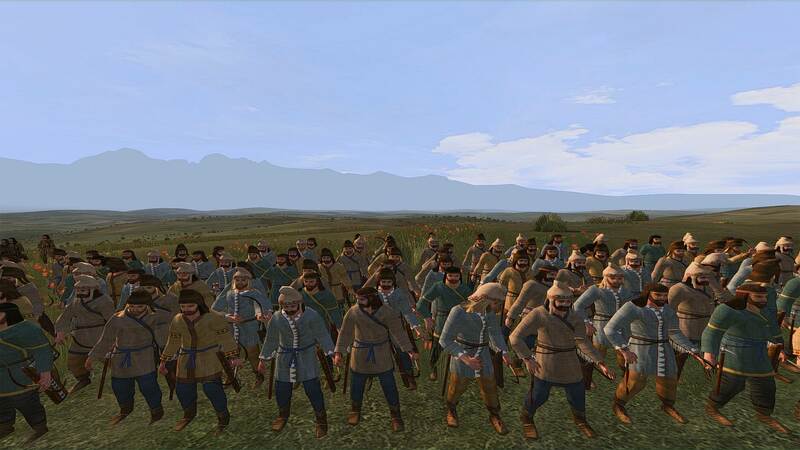 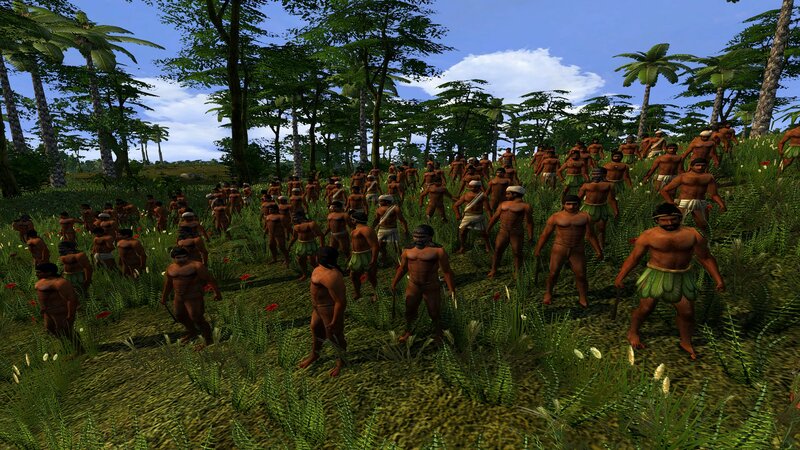 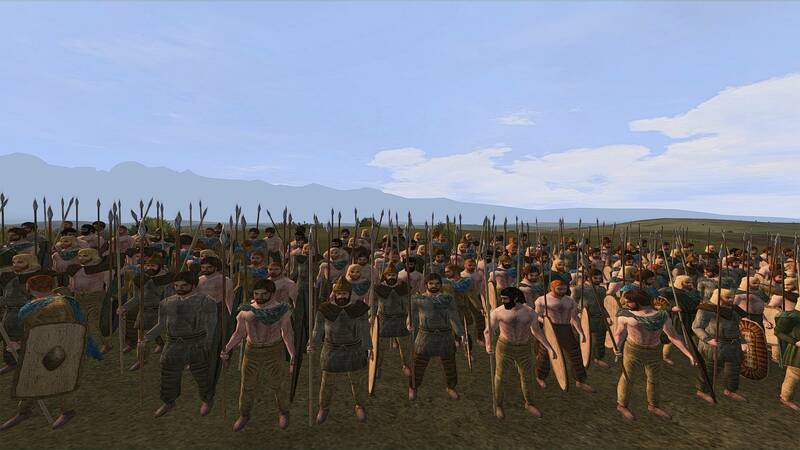 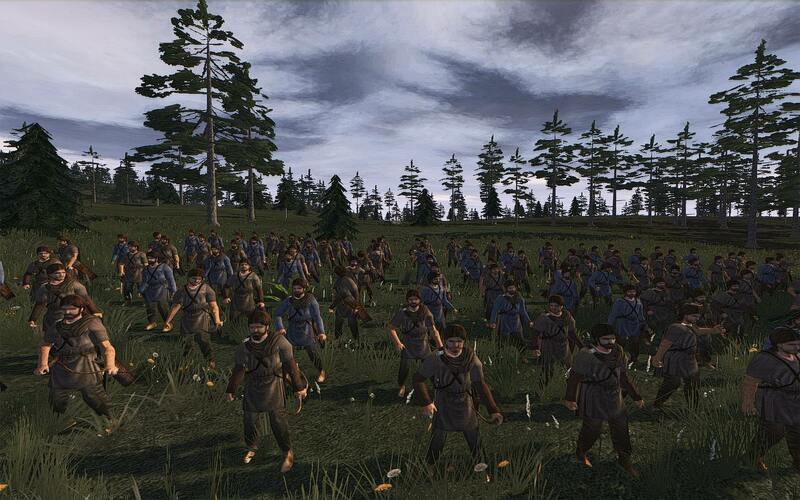 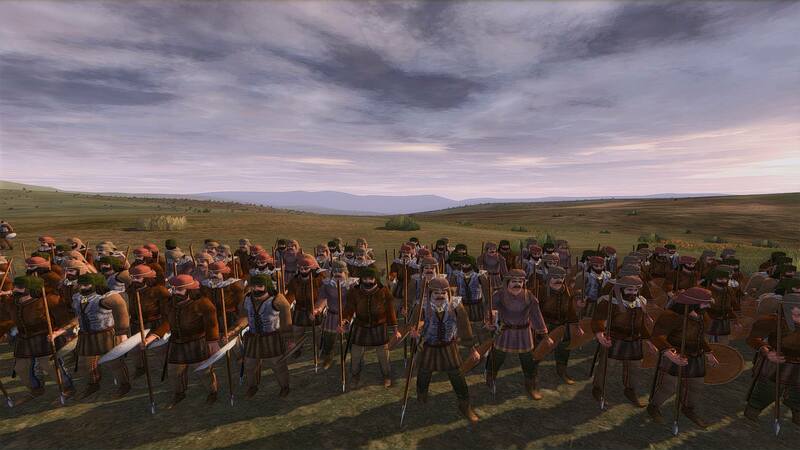 Do you want static pictures when they are standing in formation before battle? 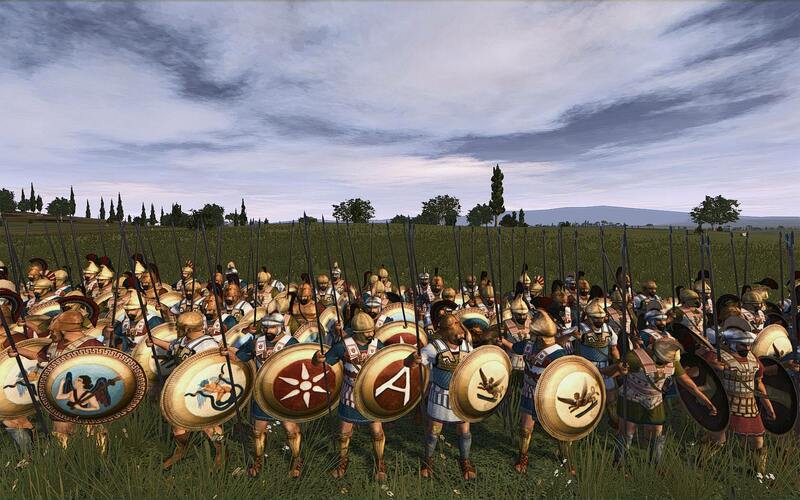 Here's all of the 14 Indian/Indo-Greek units (at least all that were available to Taksahila in custom battle). 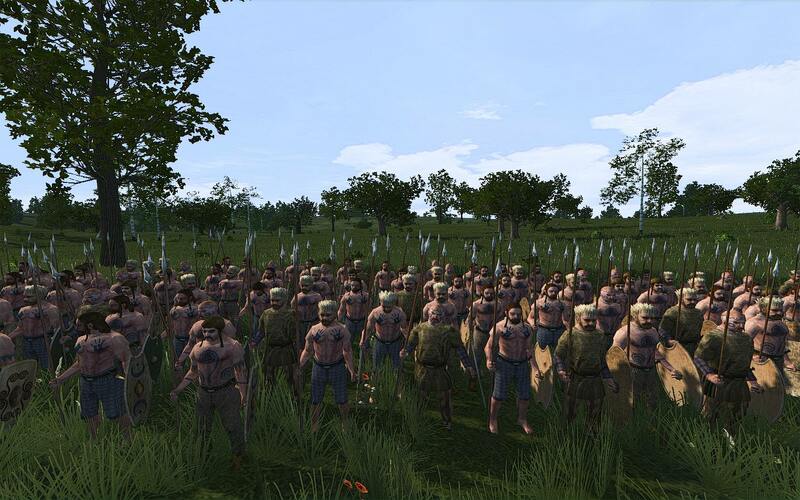 They're in the order I found them in the recruitment viewer. 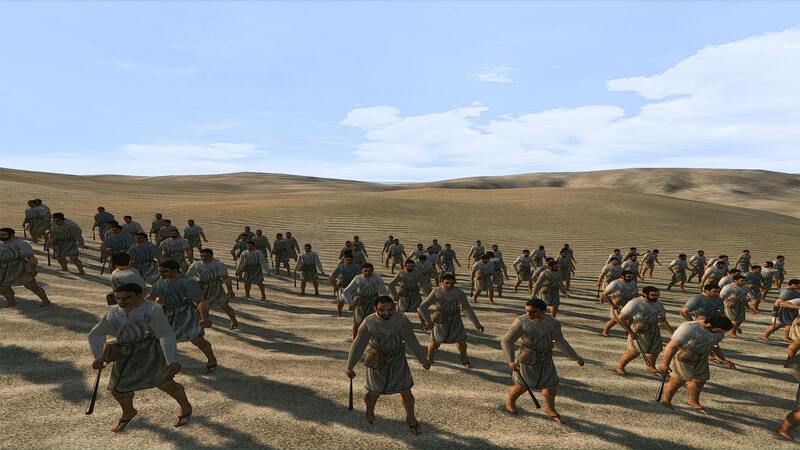 Last edited by YourMadDoc; November 26, 2017 at 09:41 AM. 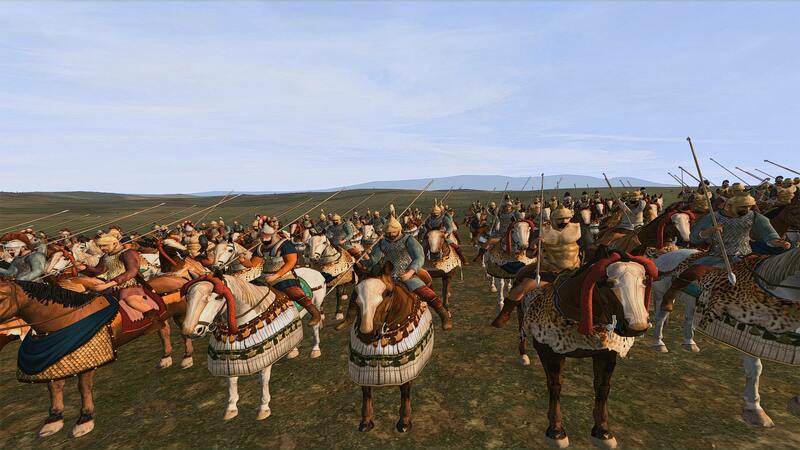 Last edited by YourMadDoc; November 26, 2017 at 09:40 AM. 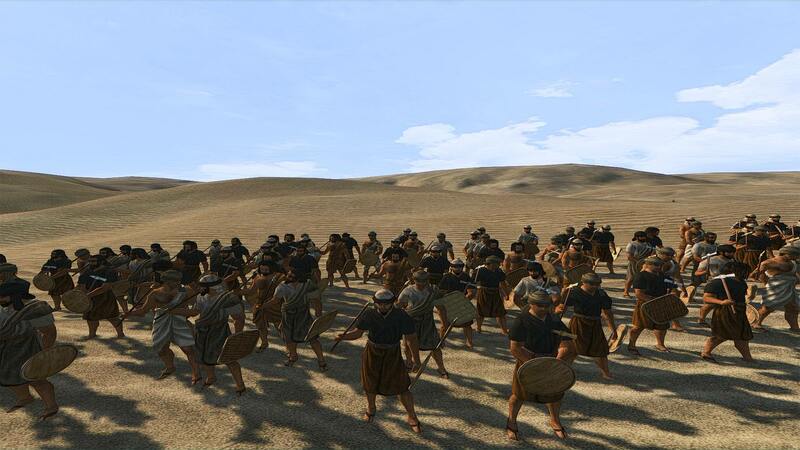 Last edited by YourMadDoc; November 26, 2017 at 09:38 AM. 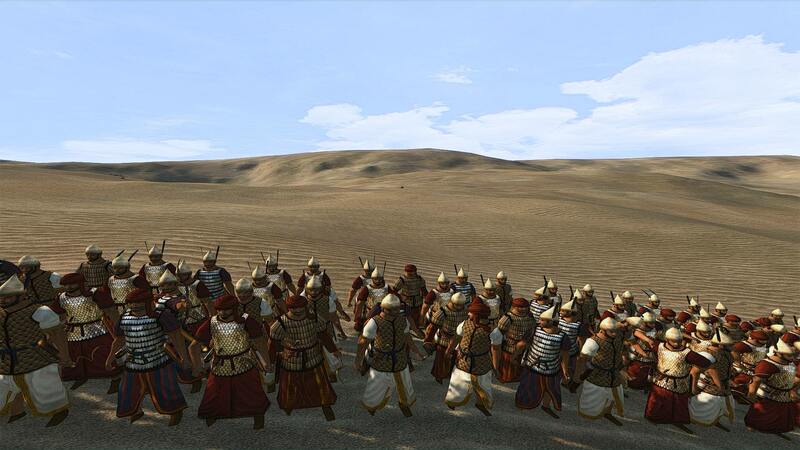 Last edited by YourMadDoc; November 26, 2017 at 09:42 AM. 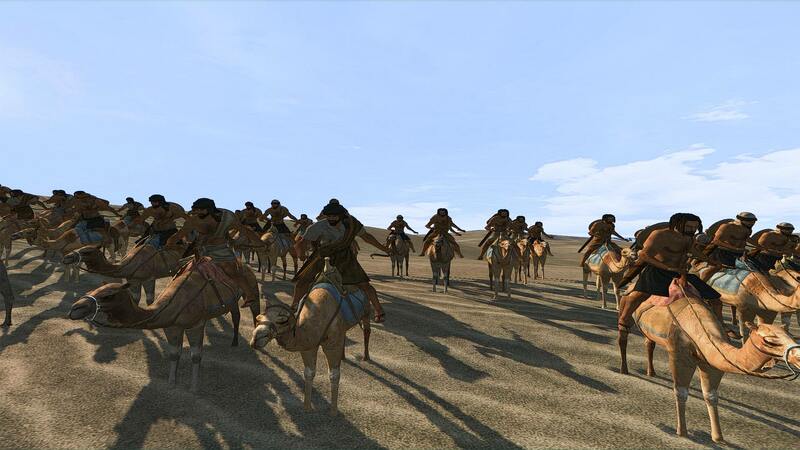 Last edited by YourMadDoc; November 29, 2017 at 04:24 PM. 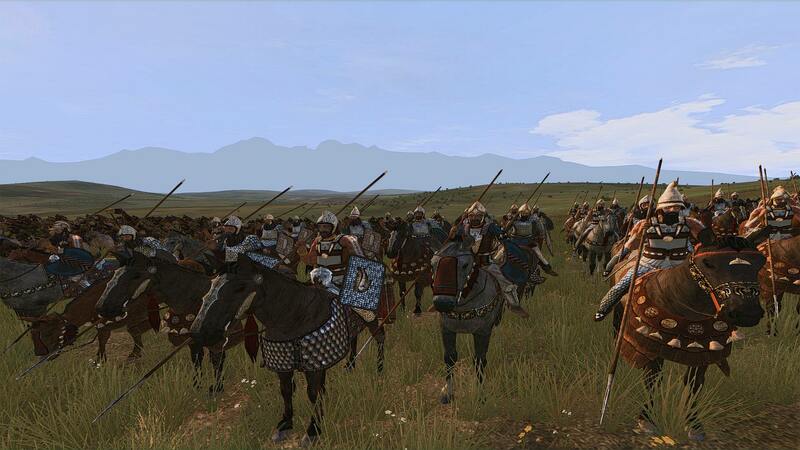 Last edited by YourMadDoc; November 29, 2017 at 04:23 PM. 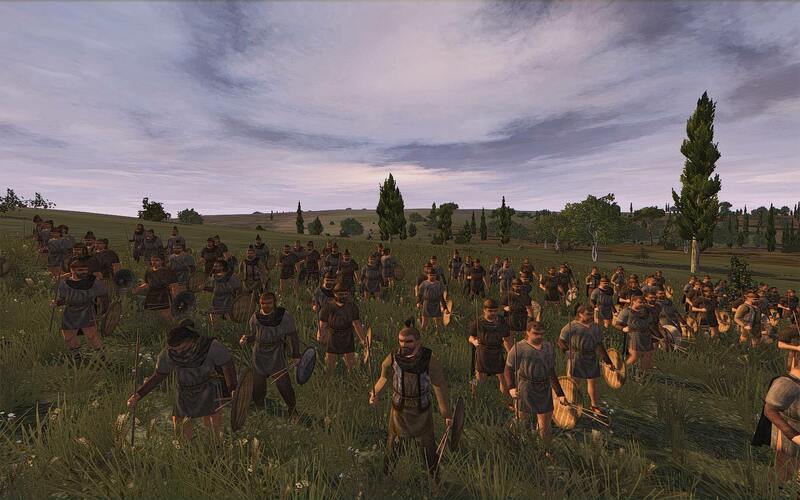 Great job so far, MadDoc. 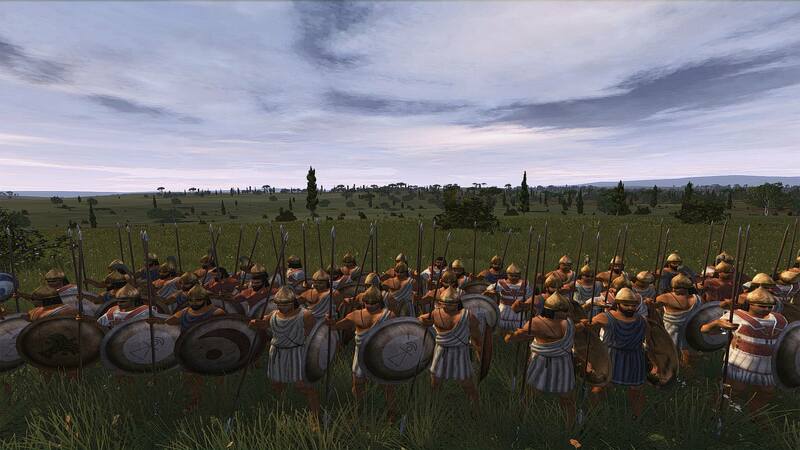 Now do the damn Greeks already! 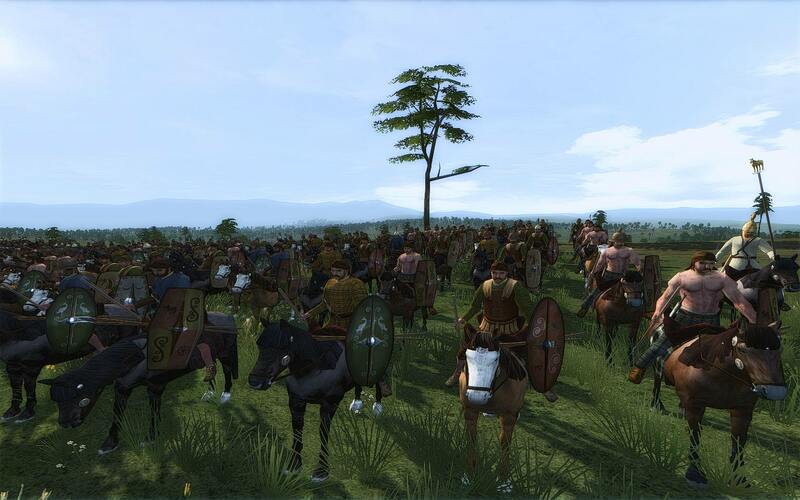 Just to reiterate, if anyone's interested, I have a bunch of screenshots in this thread of mine, including Imgur links. 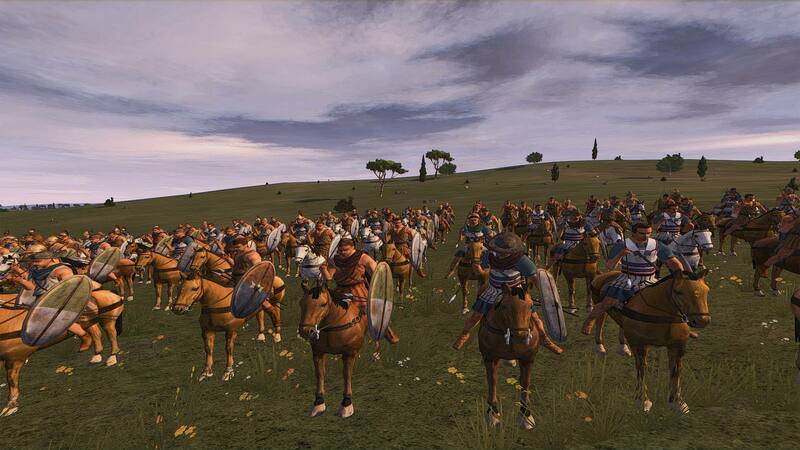 Last edited by Roma_Victrix; November 30, 2017 at 12:36 PM. 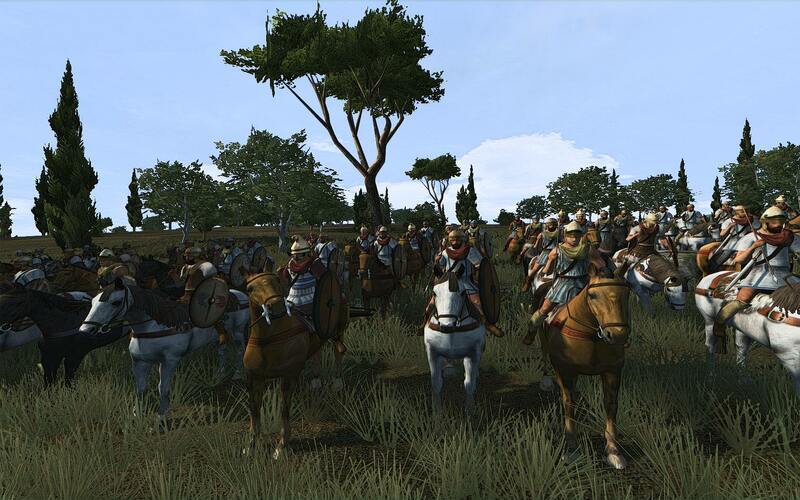 It's probably been said plenty of times before, but I'd like to just reiterate that I am blown away and amazed at the superb job you guys did with some of these new units, like the Galatian colonists, retainers, and mounted nobles. 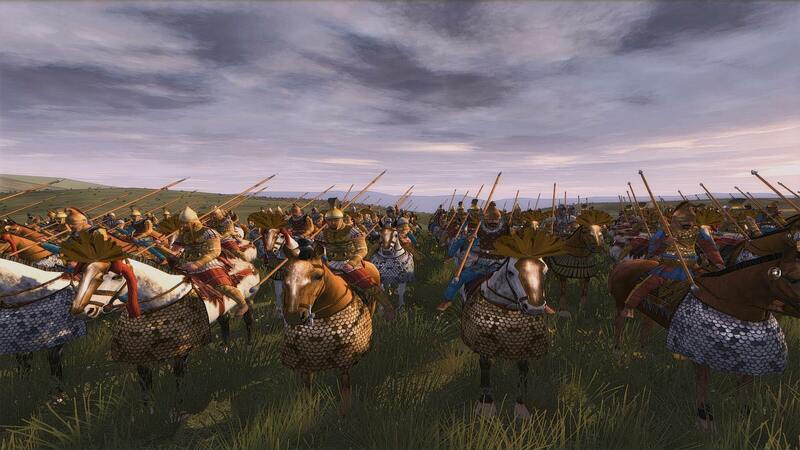 They look so incredibly awesome and imposing, plus the level of detail on them when zoomed in (on high texture quality and unit detail settings) is basically as good as anything you'd see in Shogun II or Rome II. 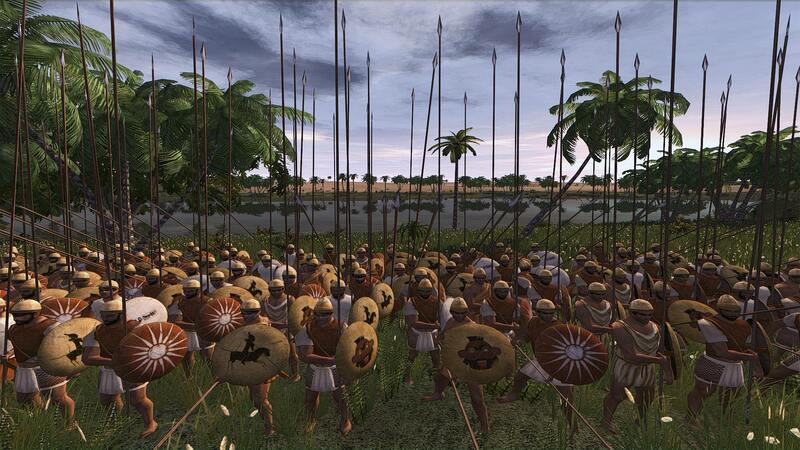 I also love how you guys created more Egyptian machimoi units and more Italian units. 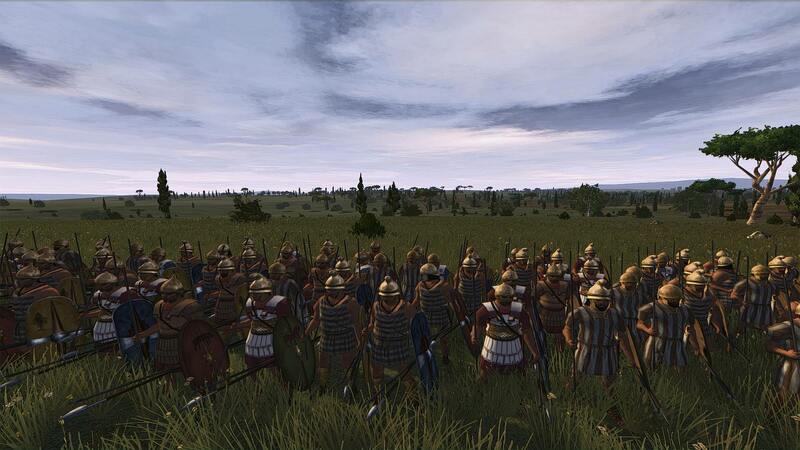 It's really nice to have those regional rosters finally fleshed out; feels more like a complete game, really. 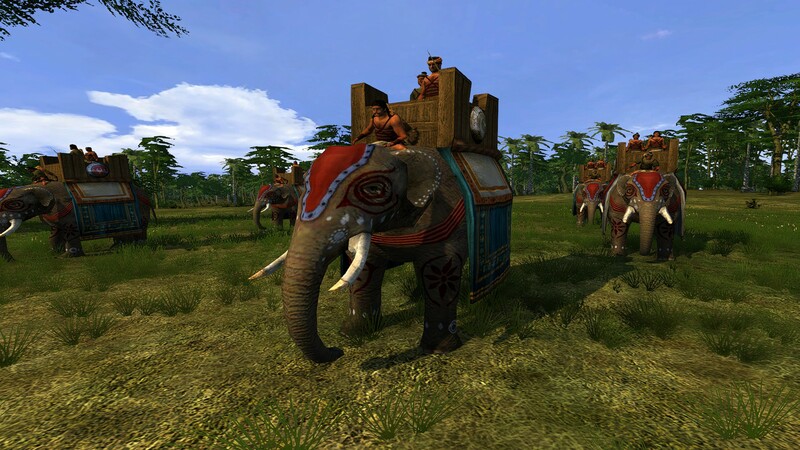 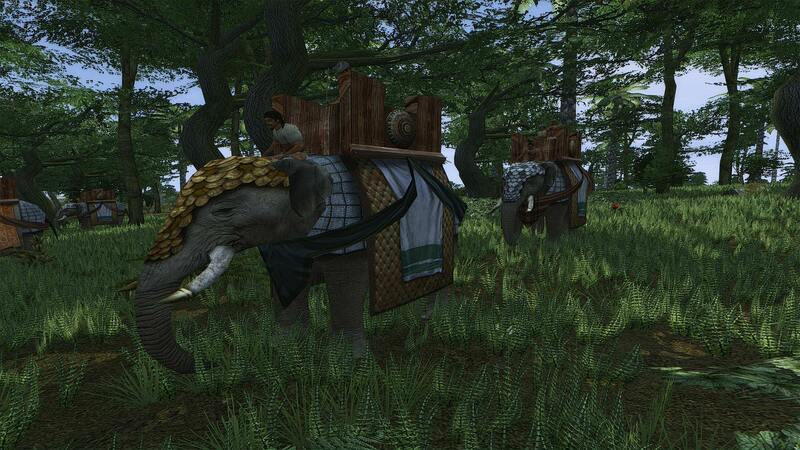 There are also a ton of other little things worth mentioning, like the awesome new (Taksashila) Indian bodyguard unit of composite bowmen fighting on foot instead of atop elephants. 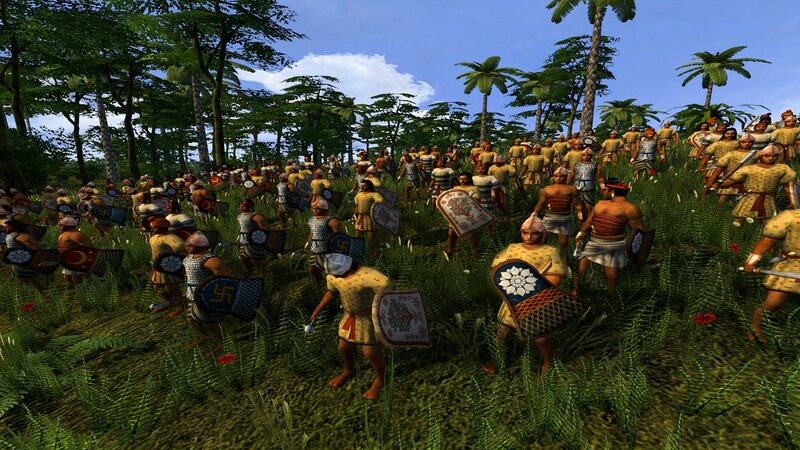 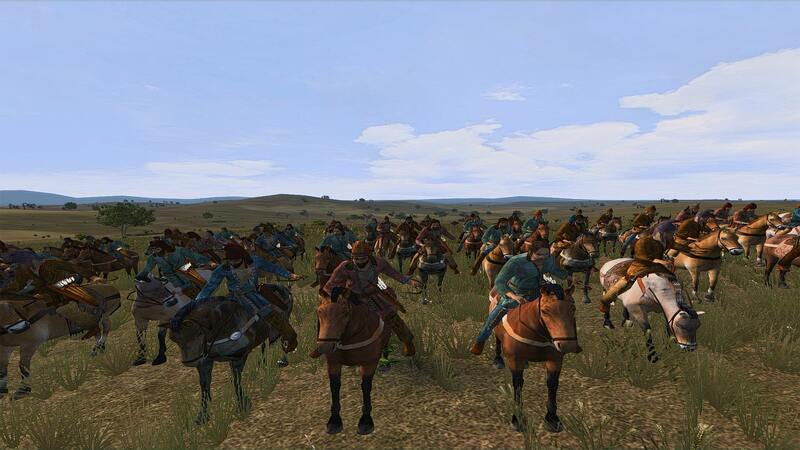 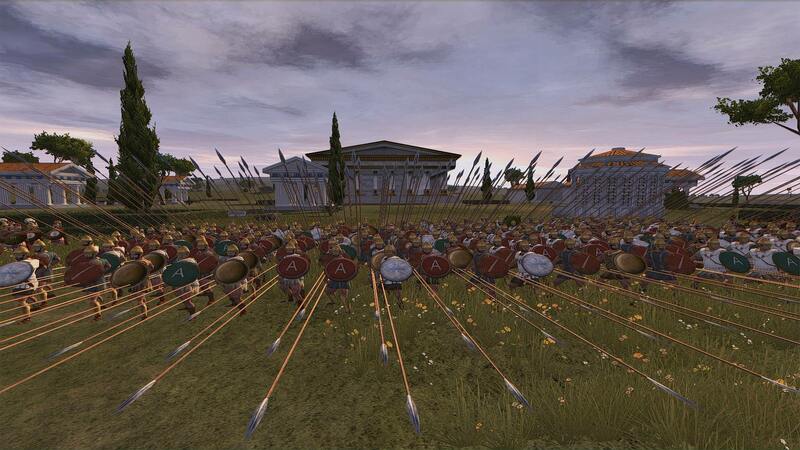 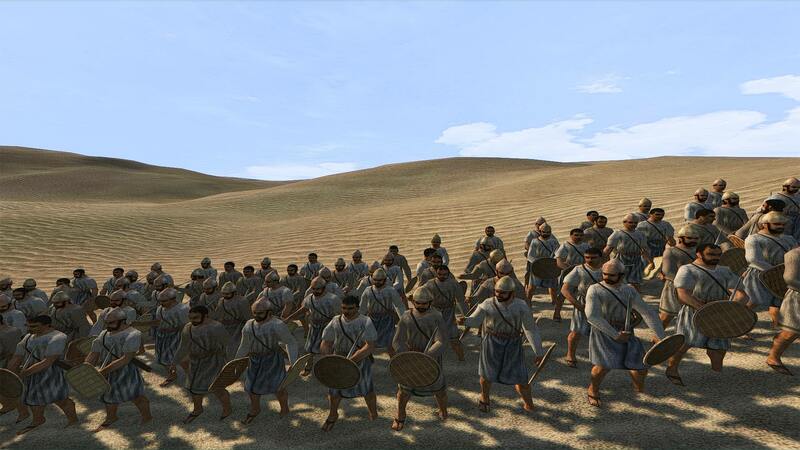 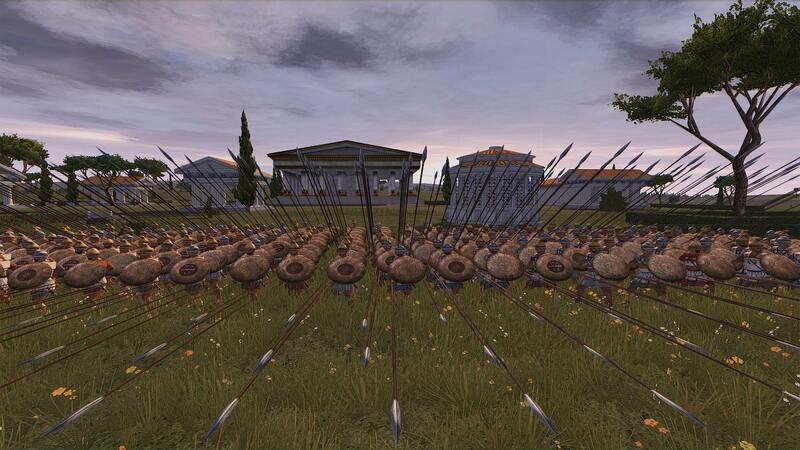 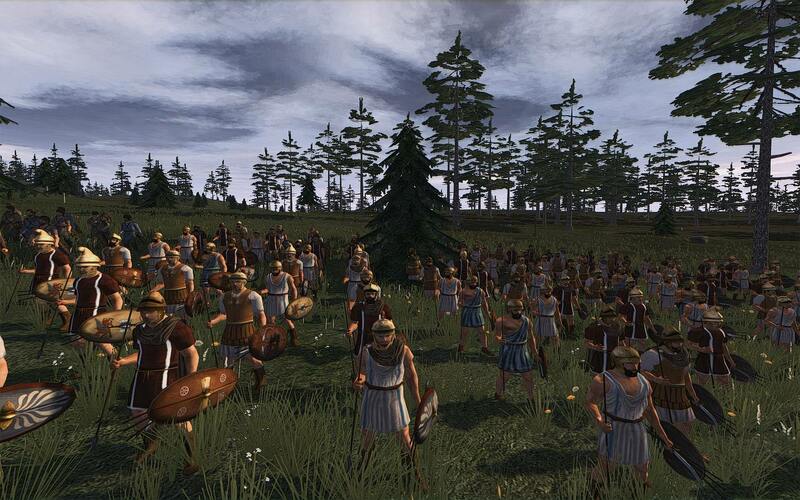 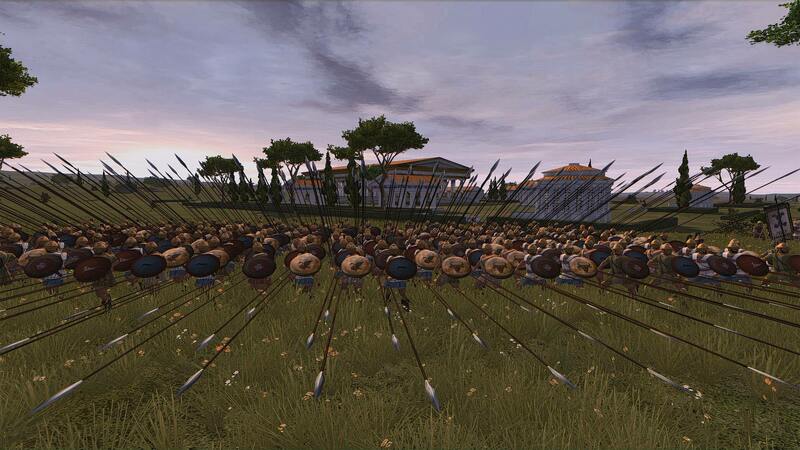 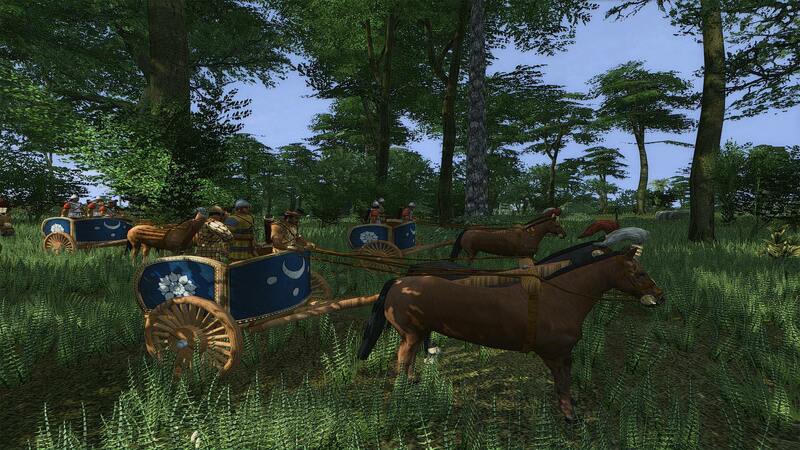 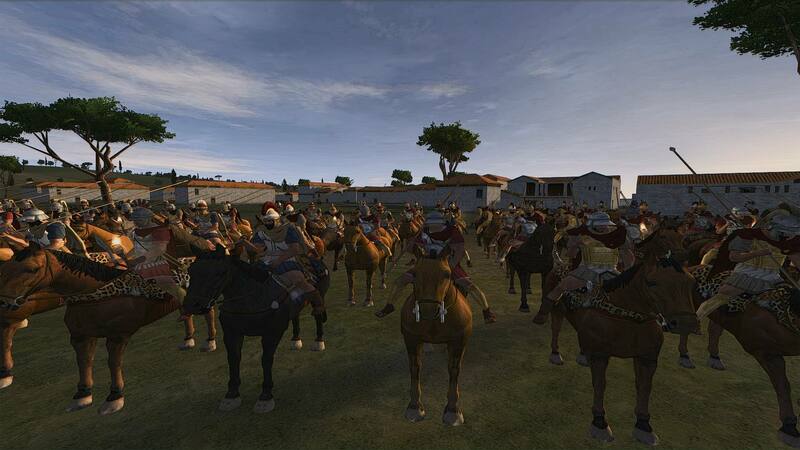 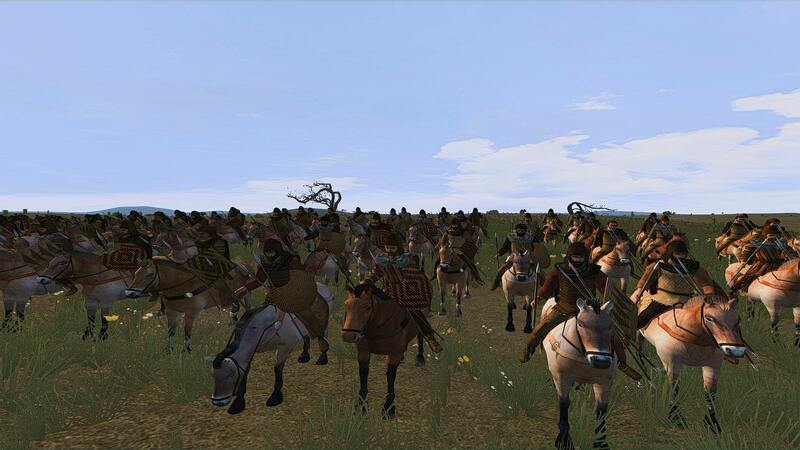 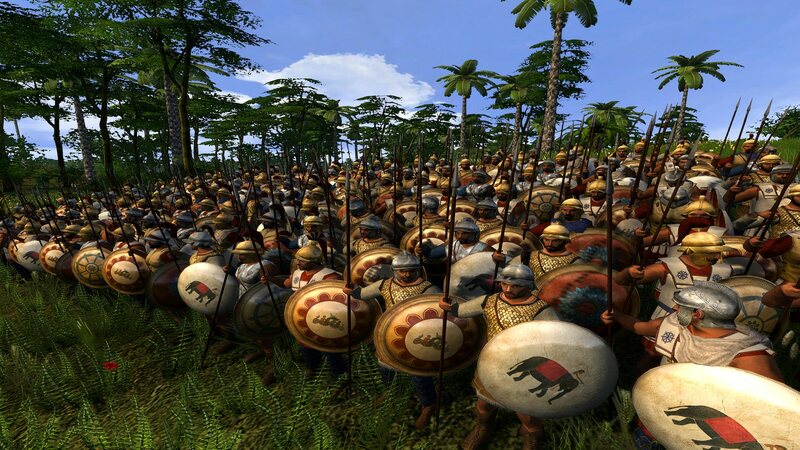 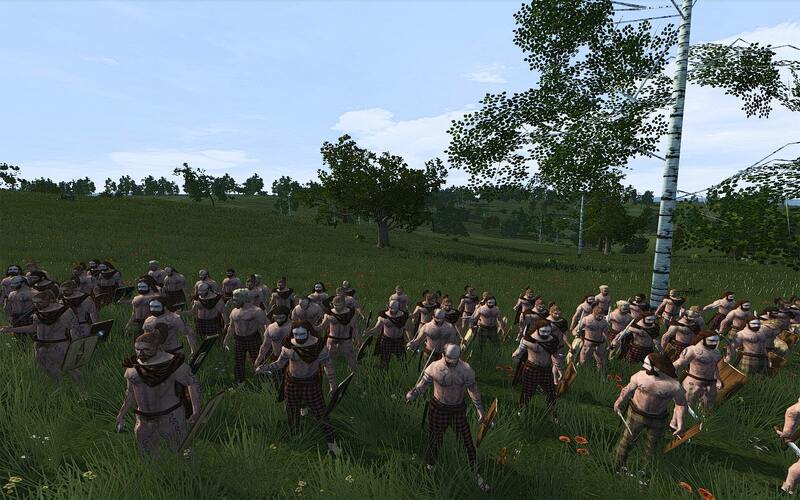 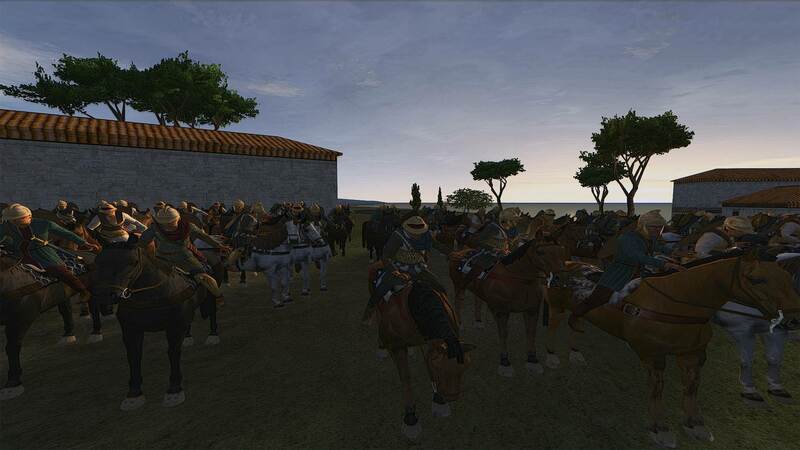 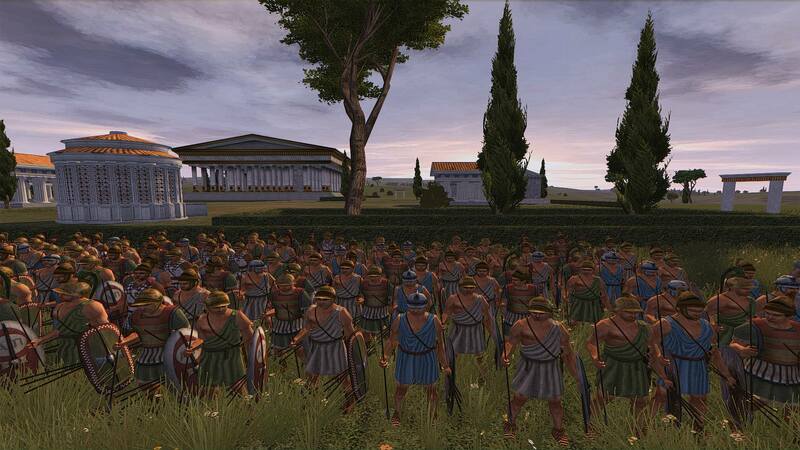 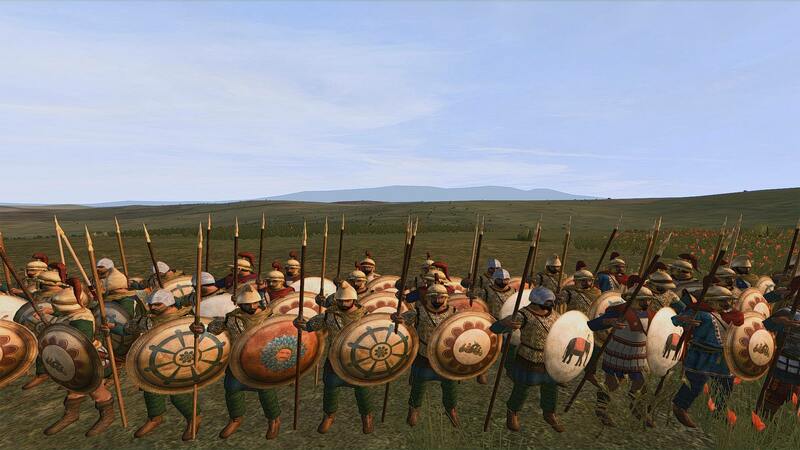 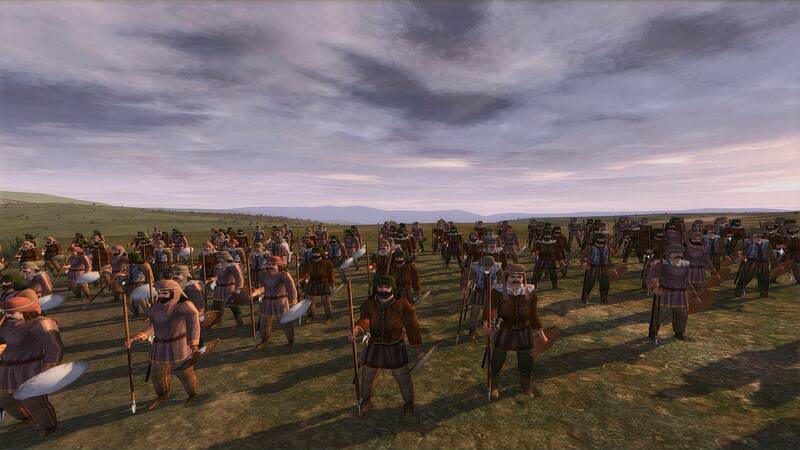 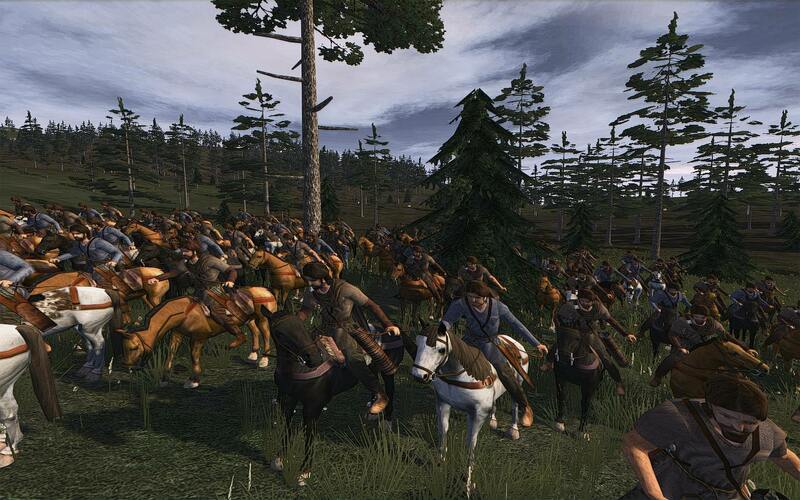 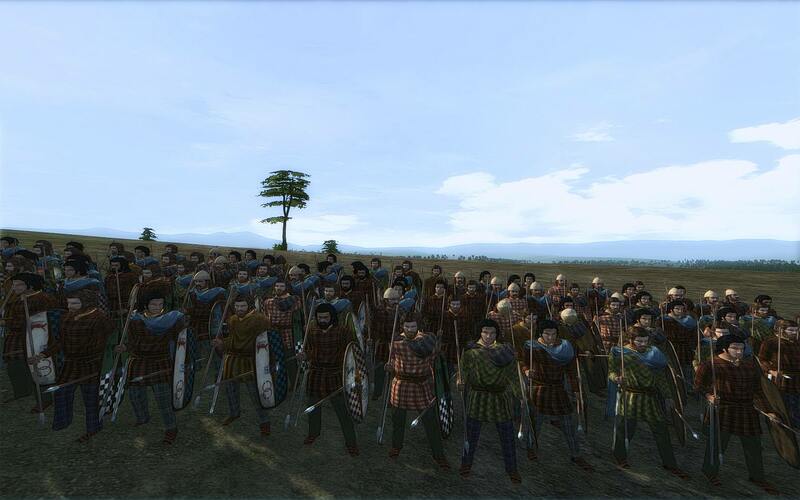 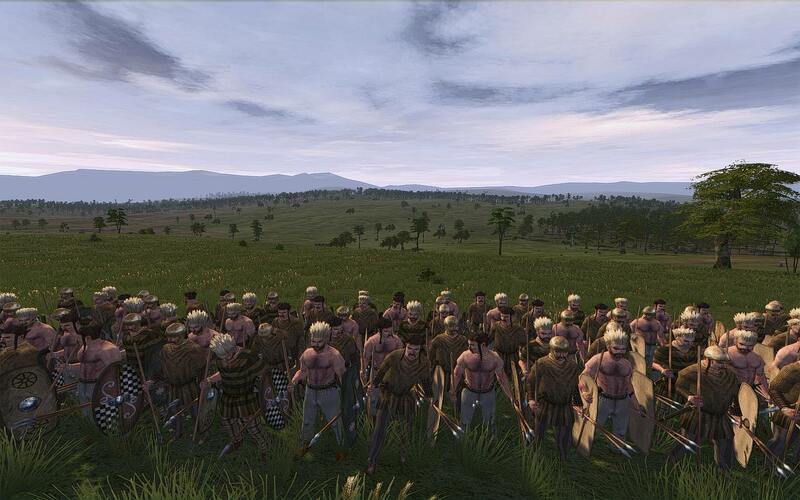 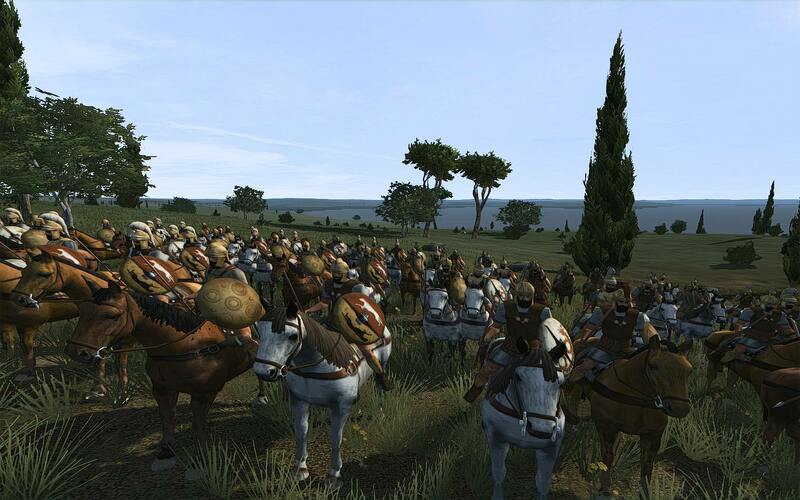 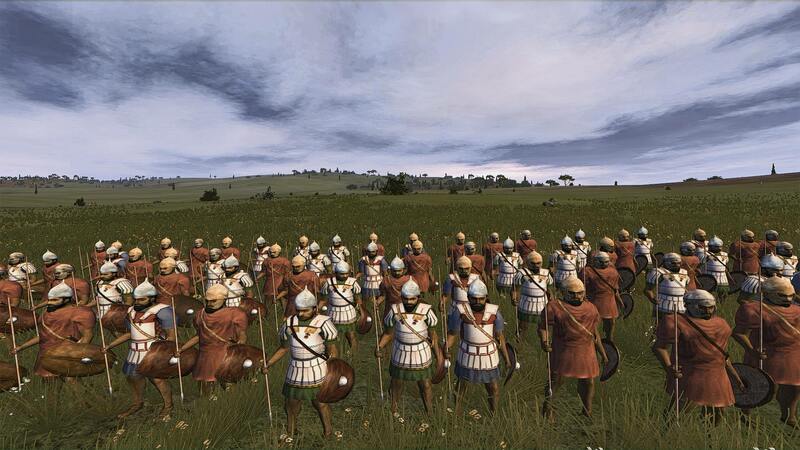 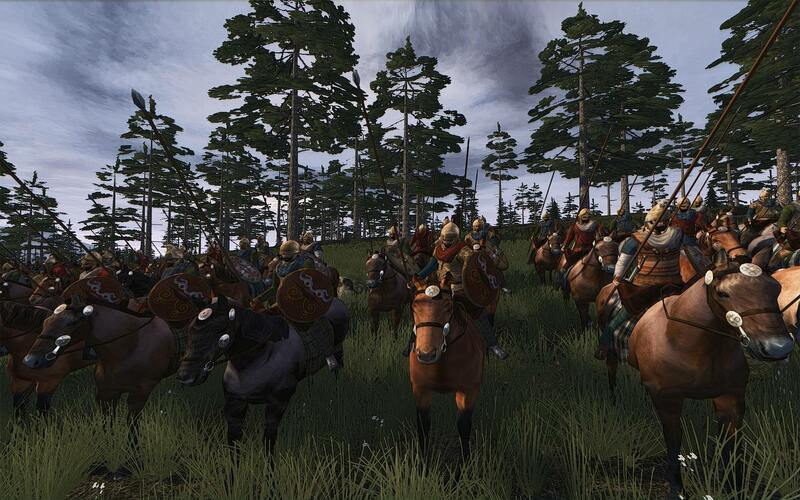 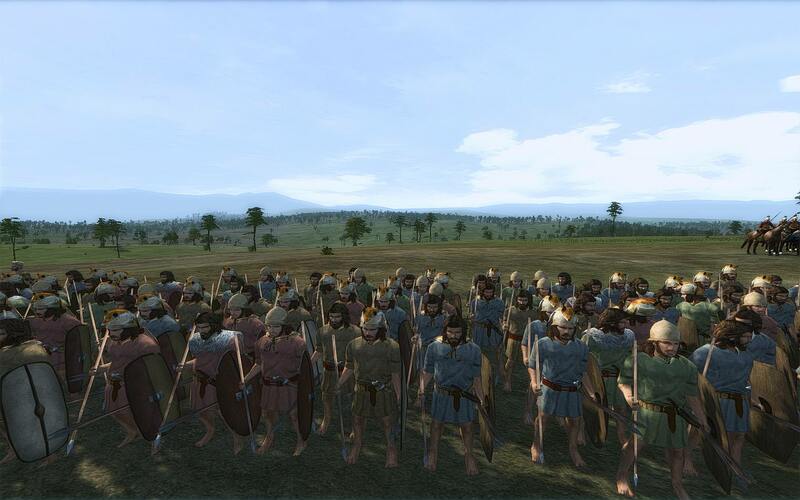 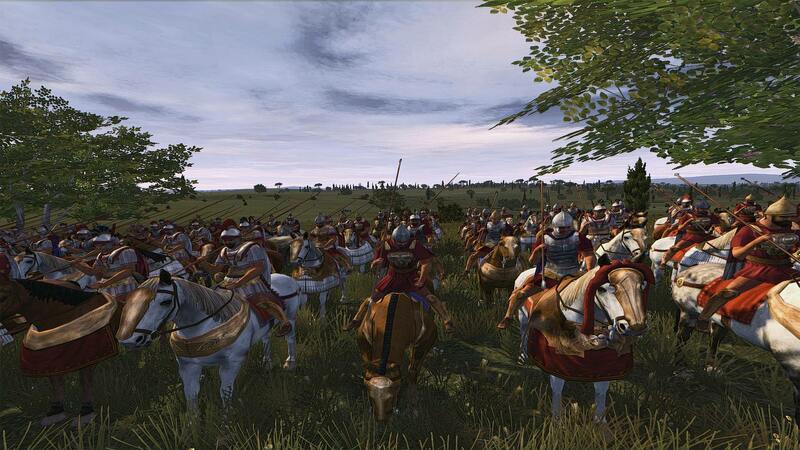 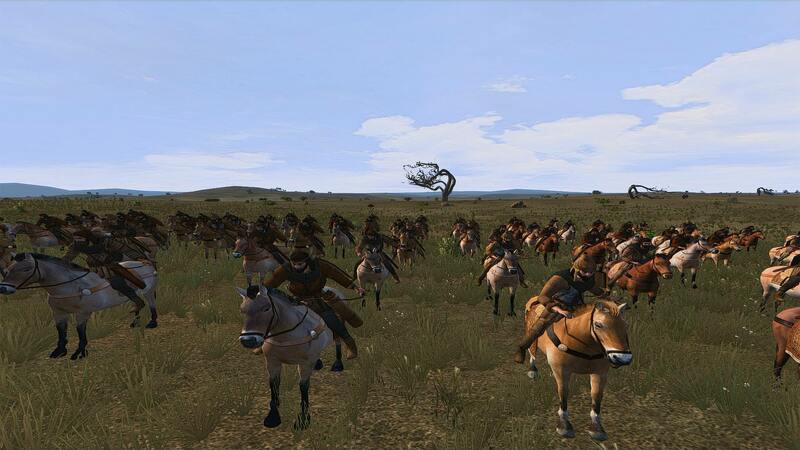 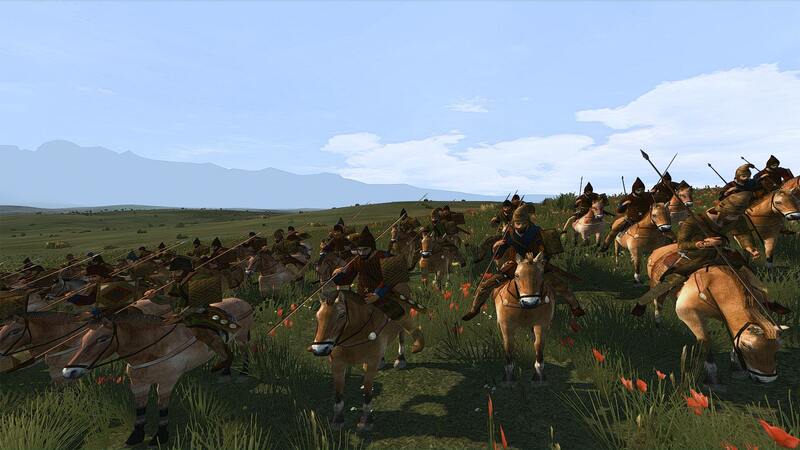 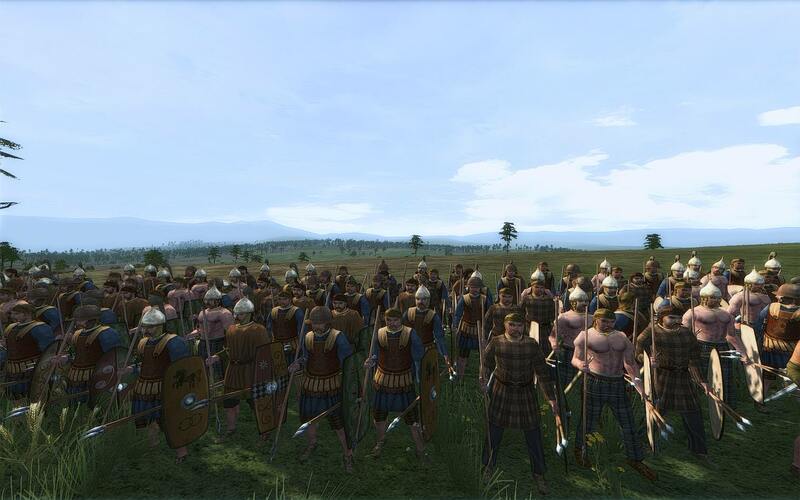 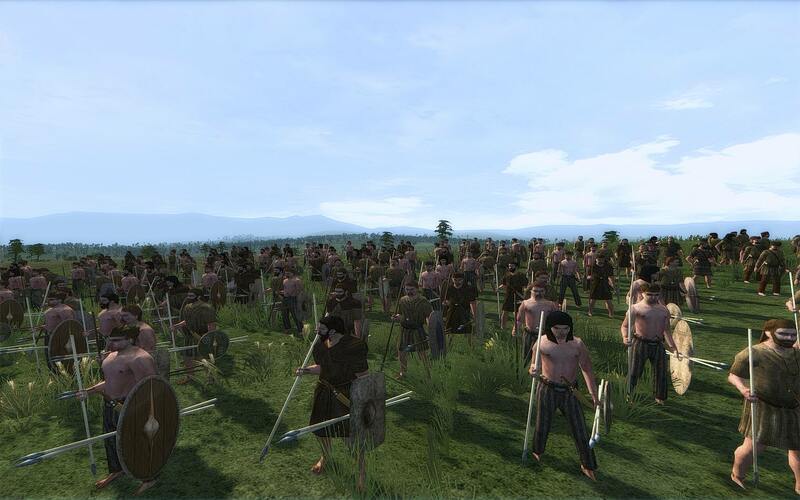 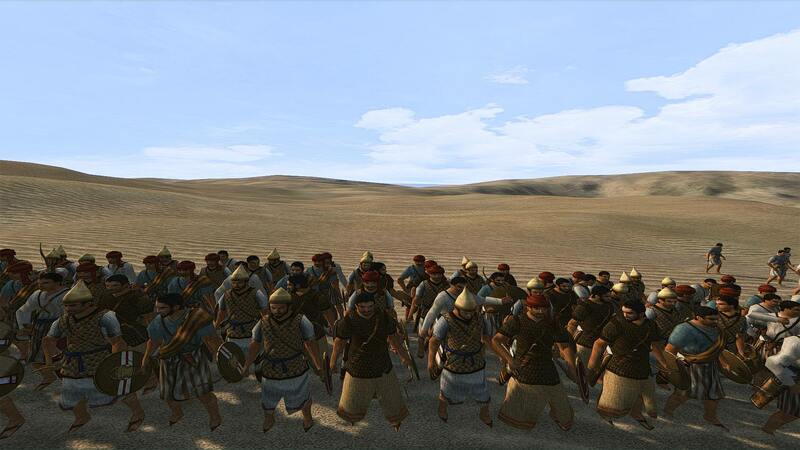 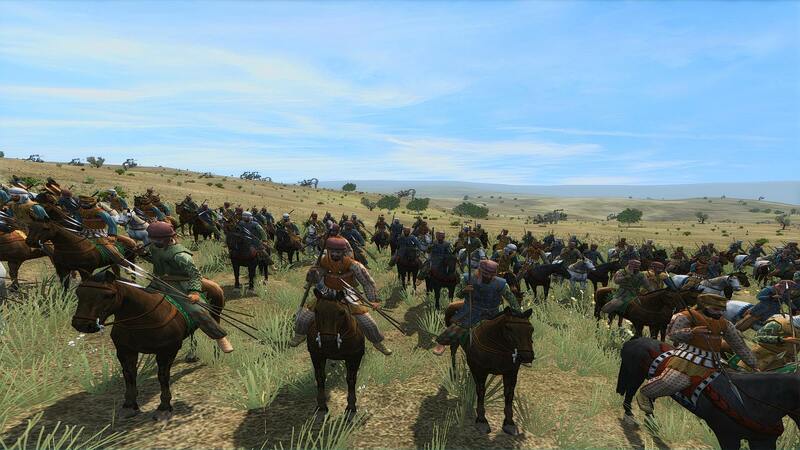 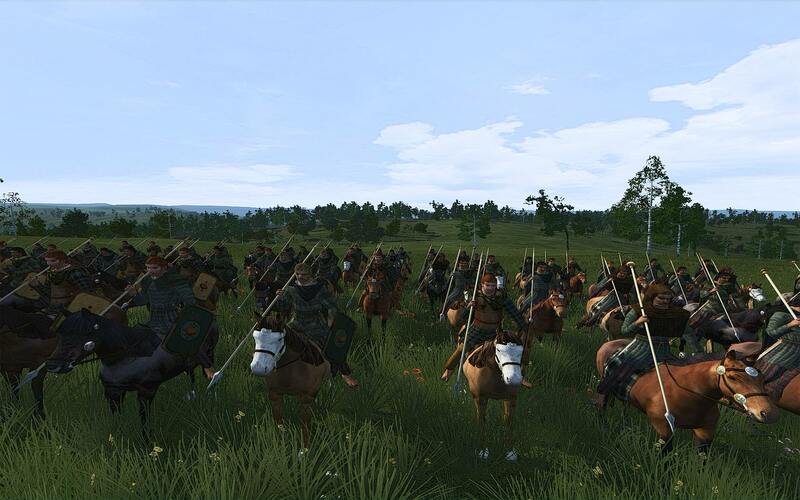 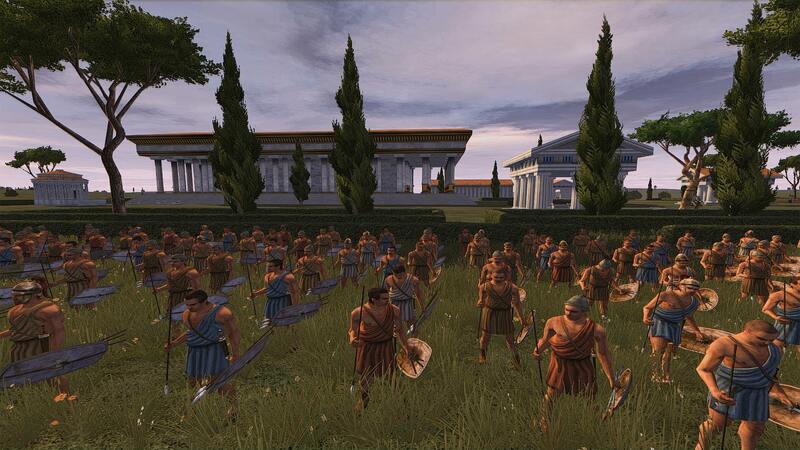 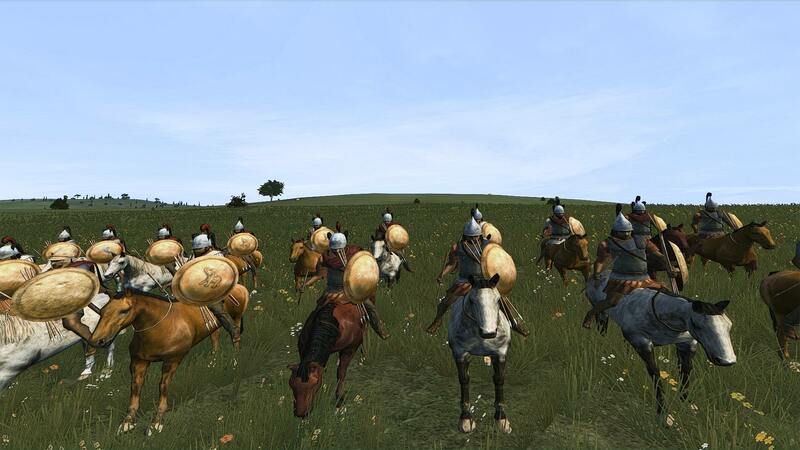 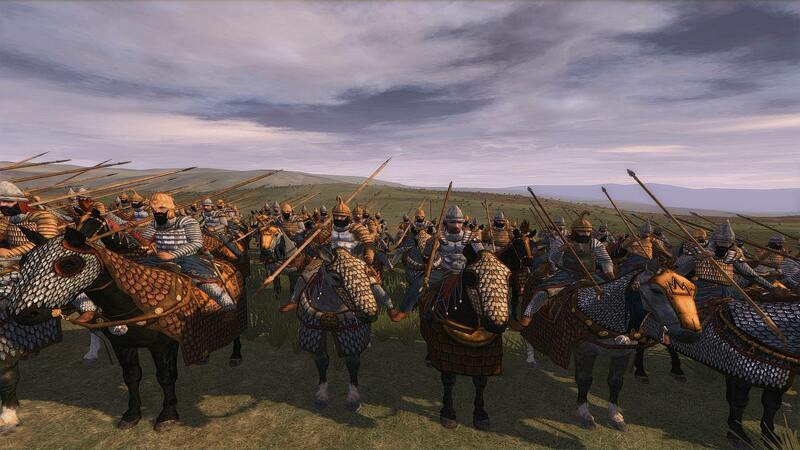 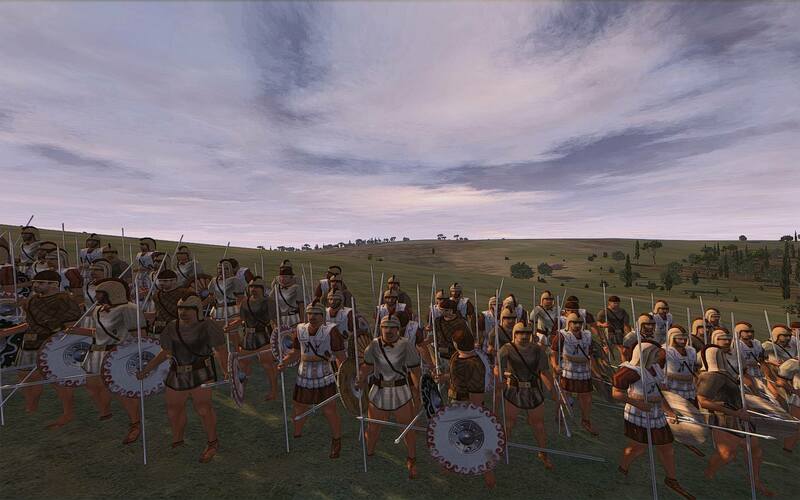 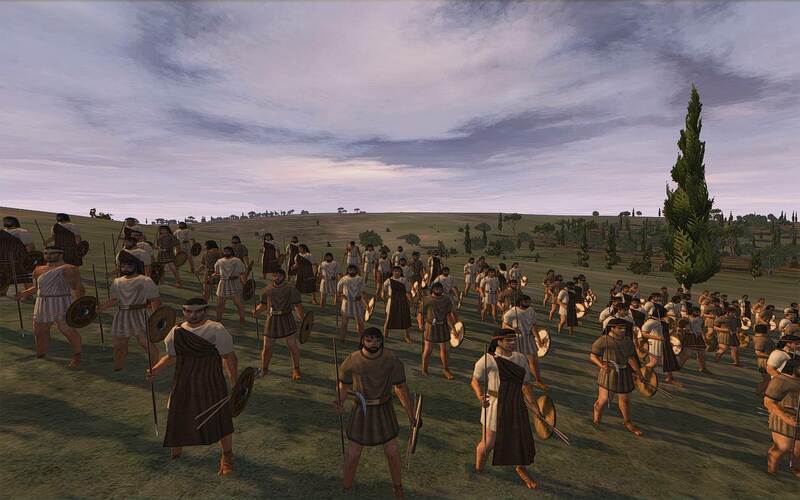 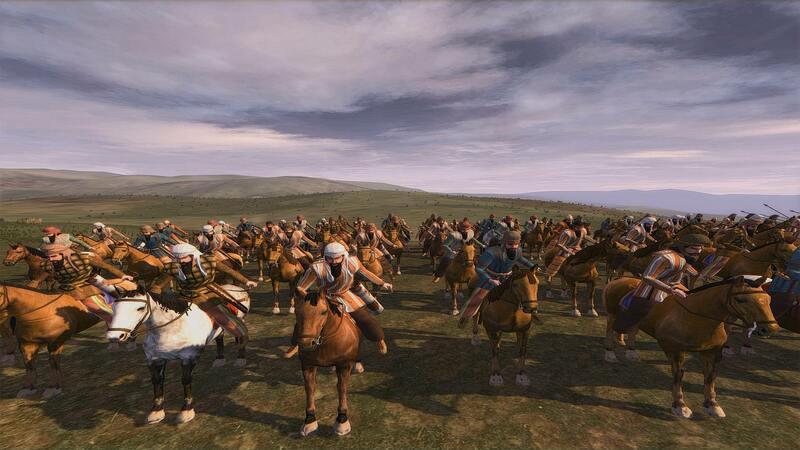 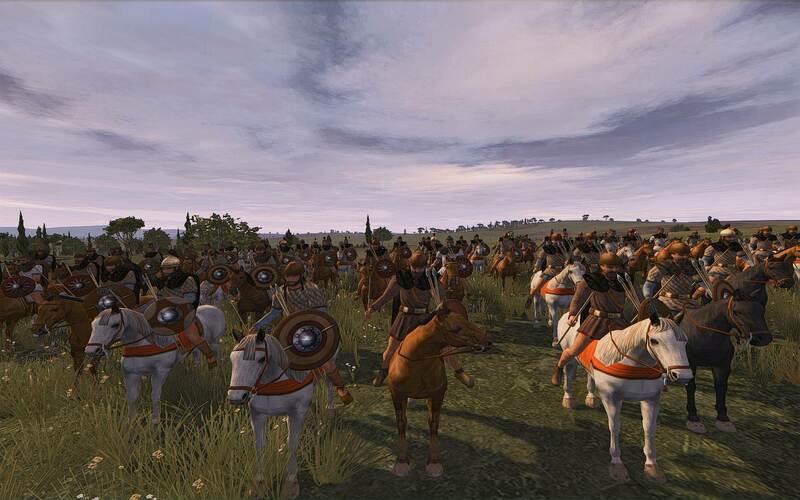 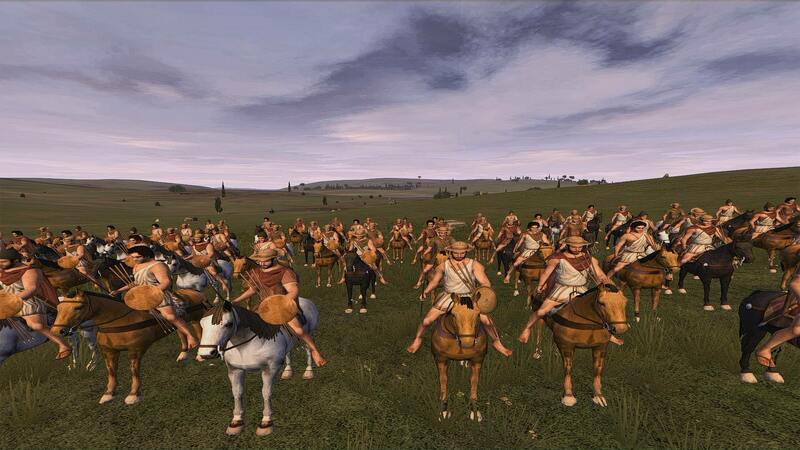 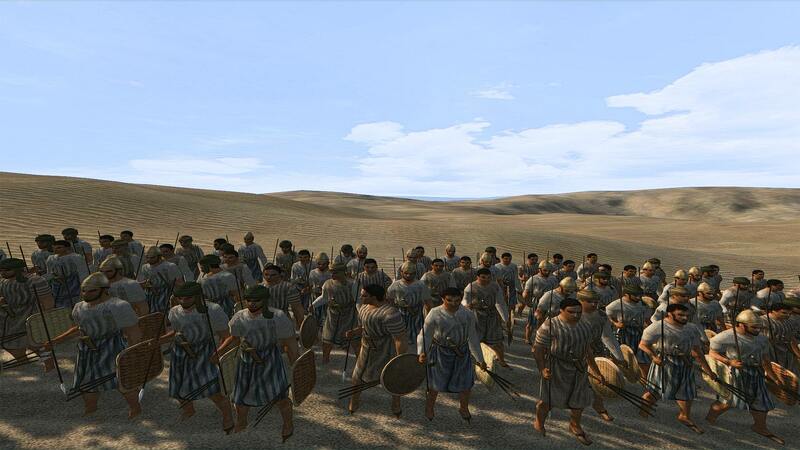 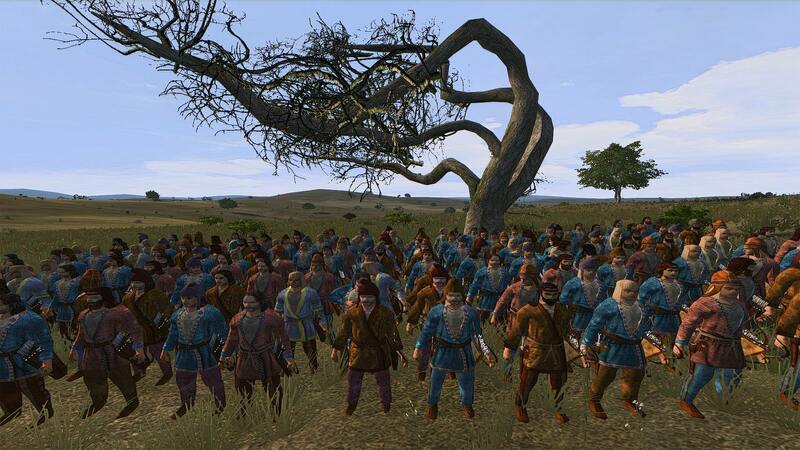 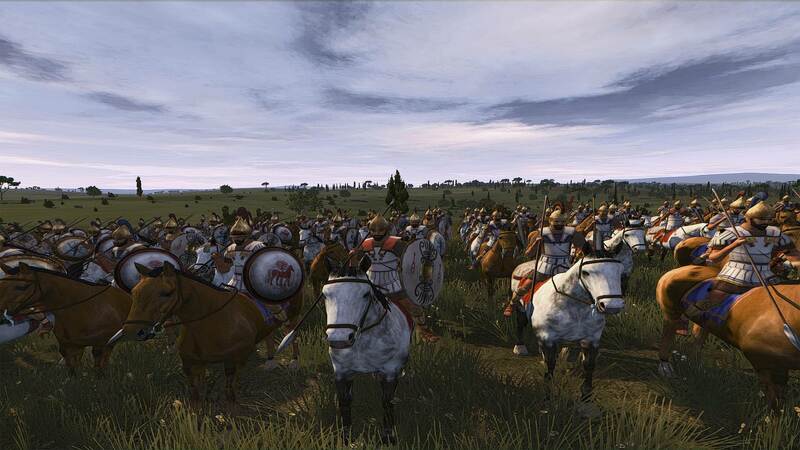 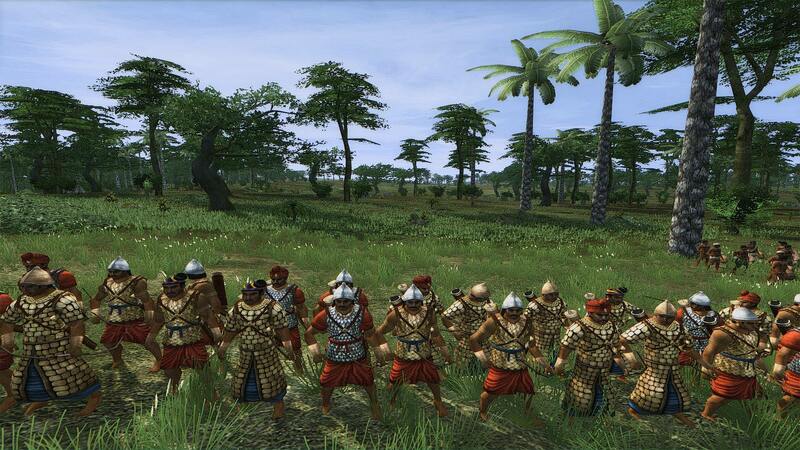 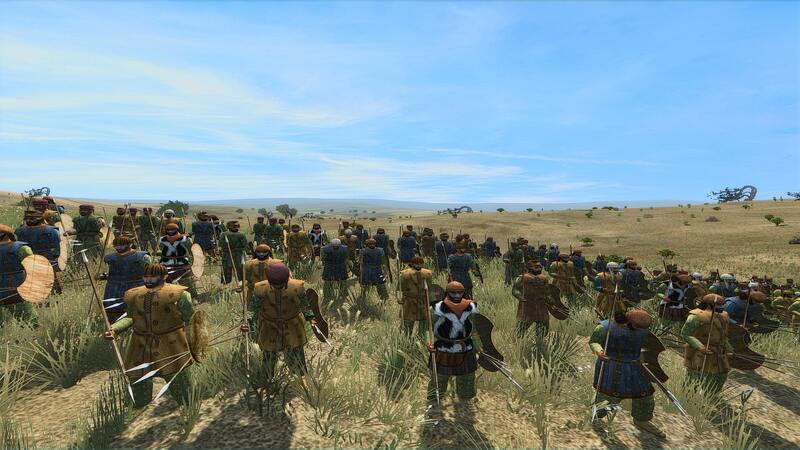 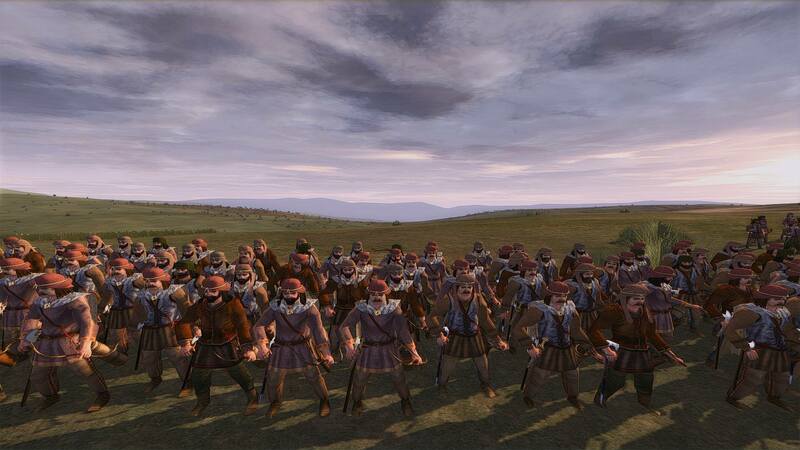 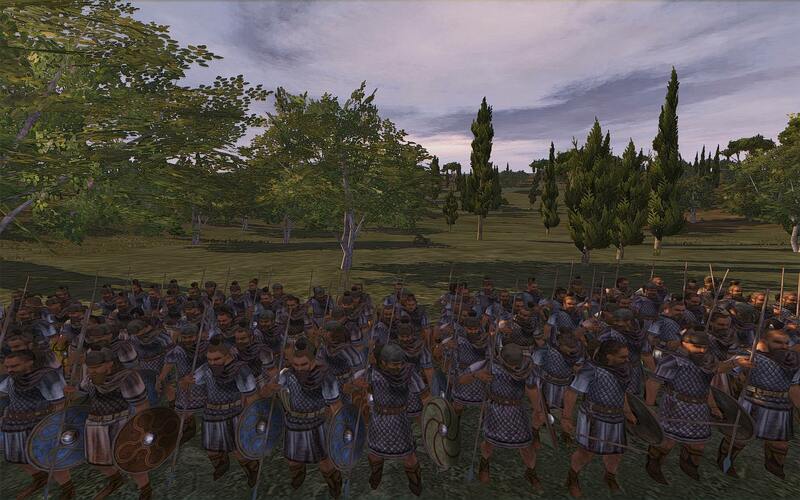 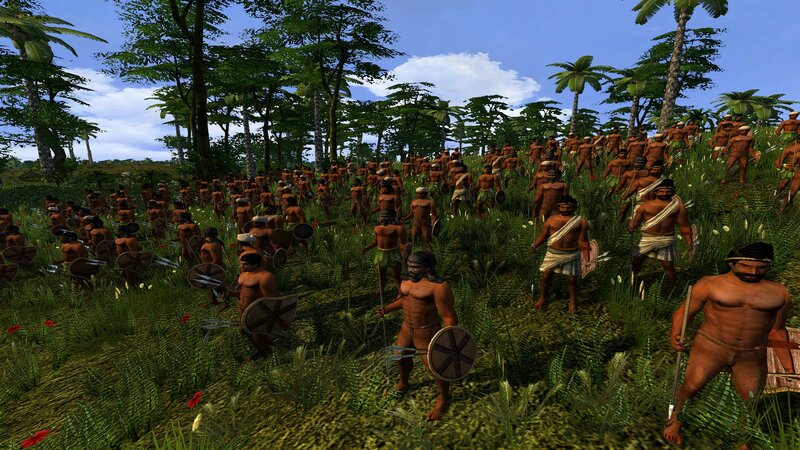 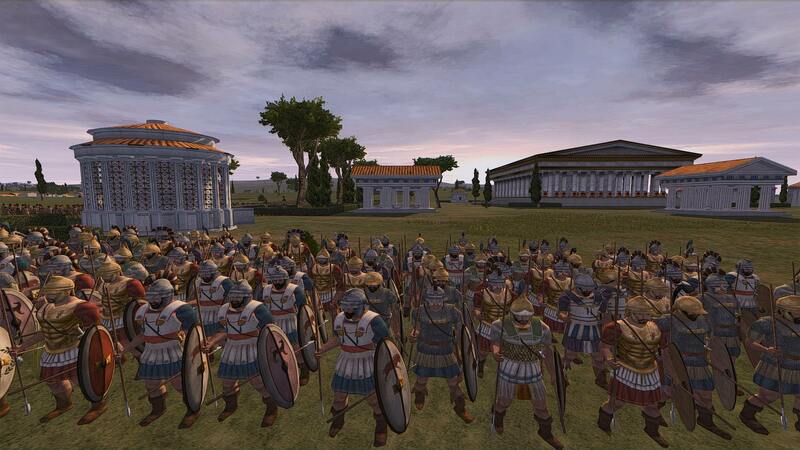 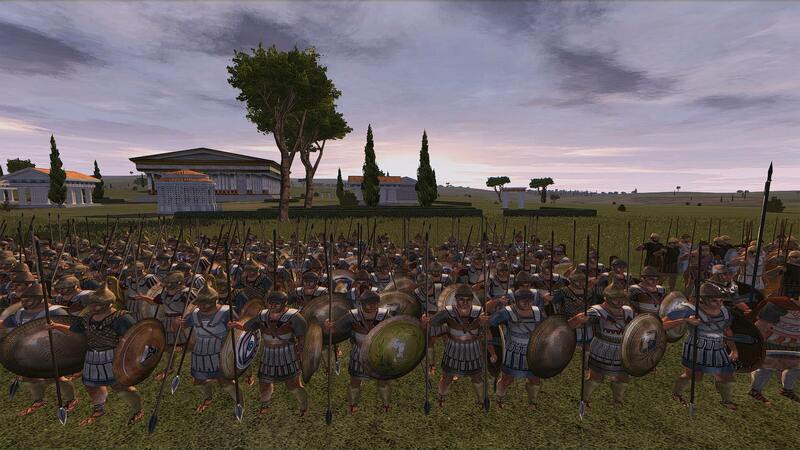 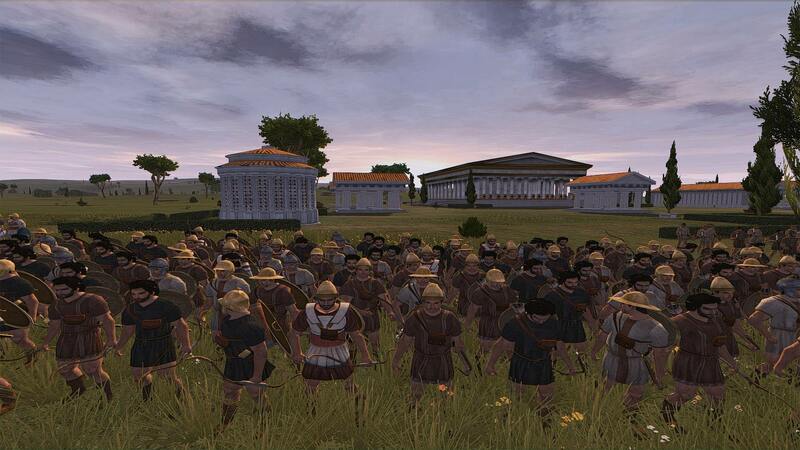 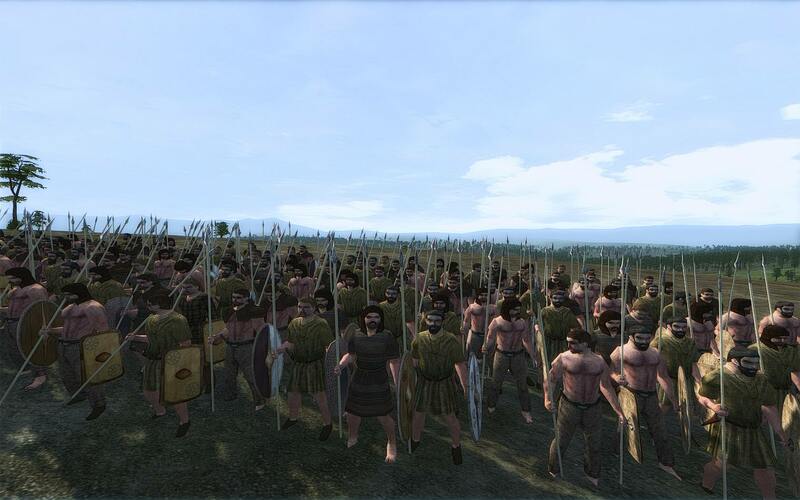 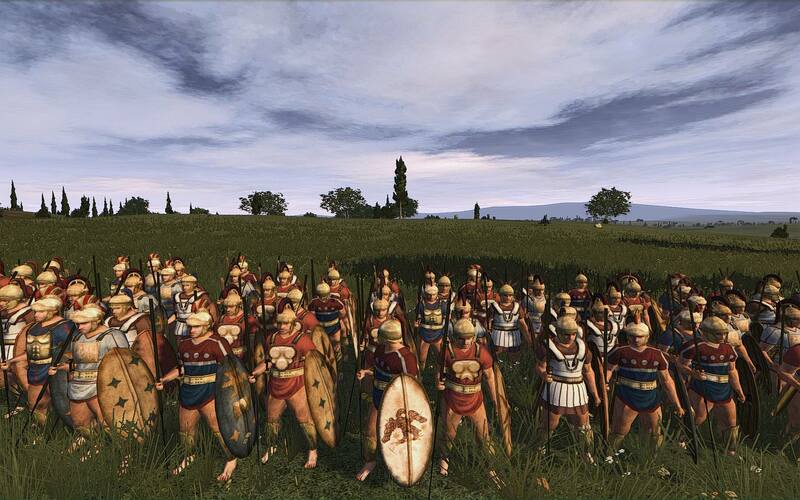 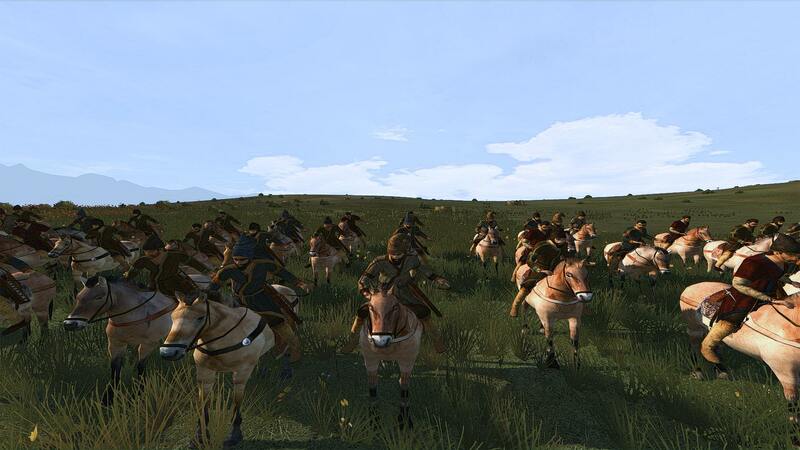 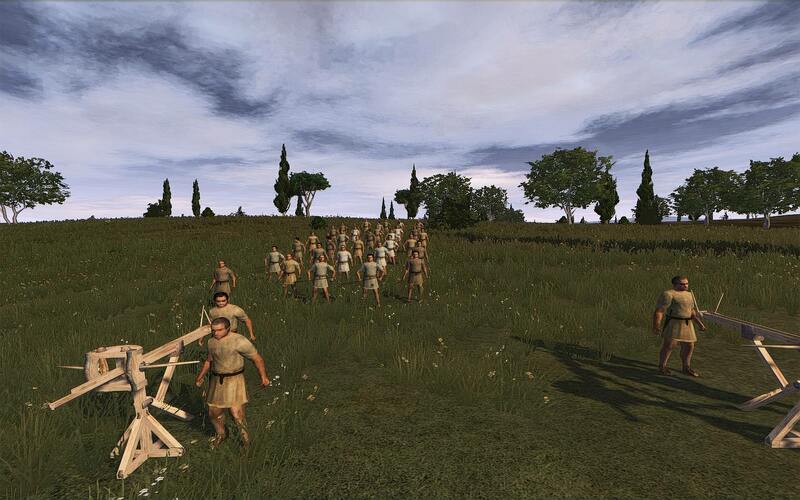 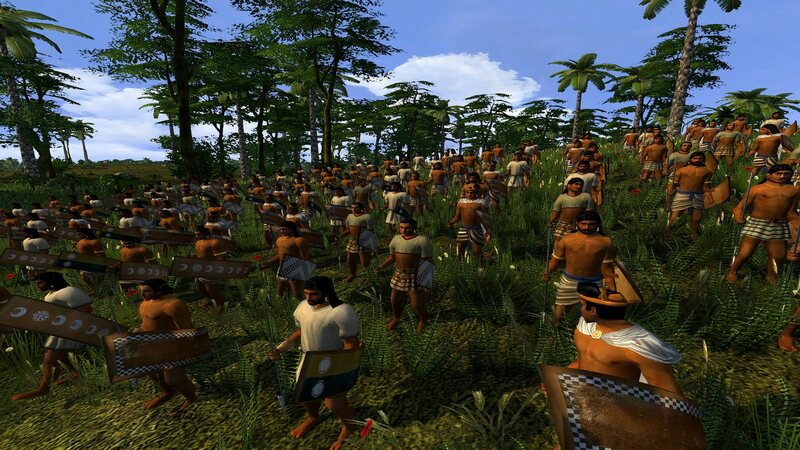 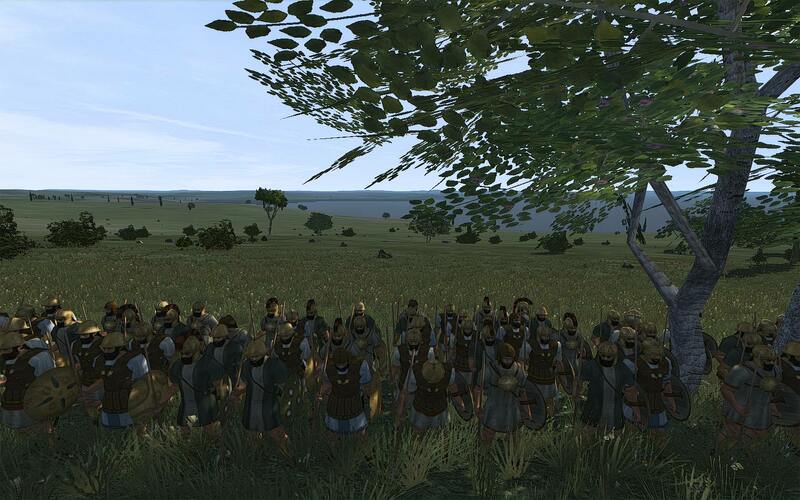 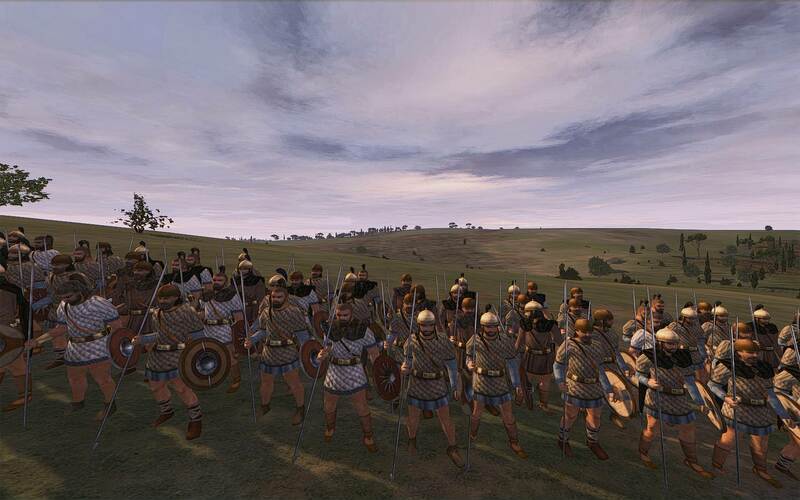 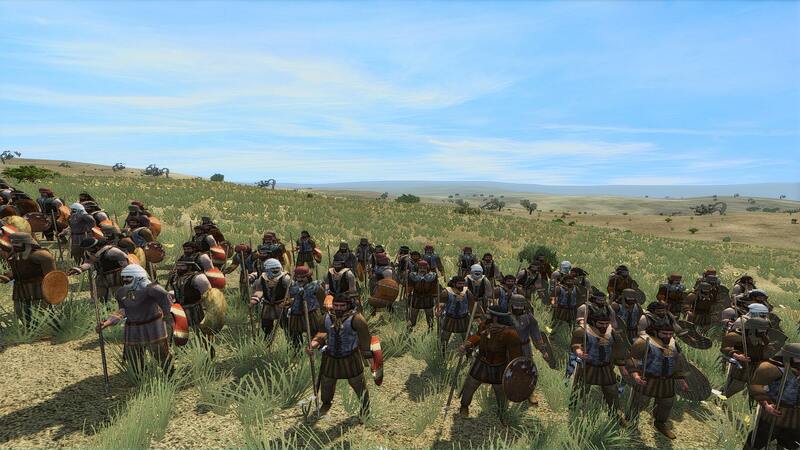 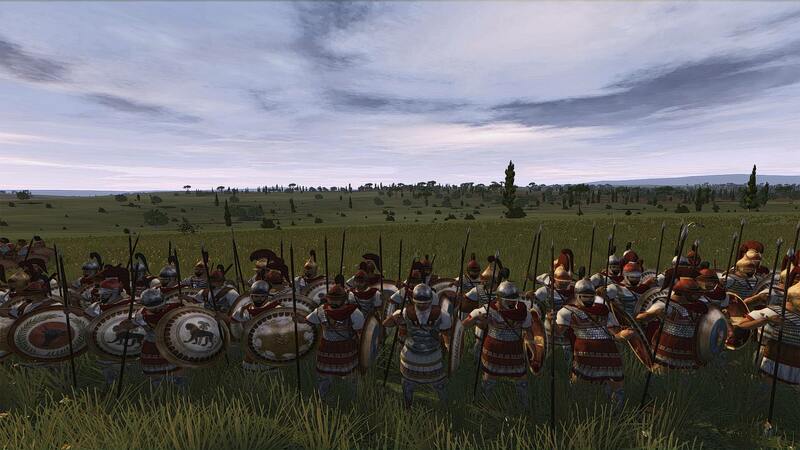 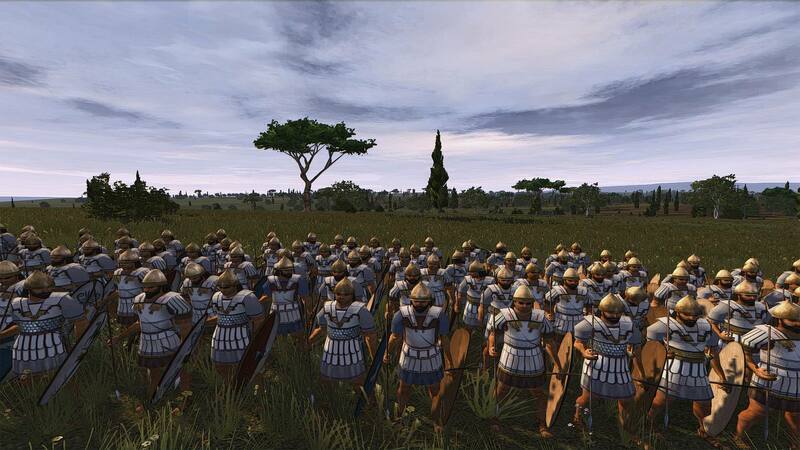 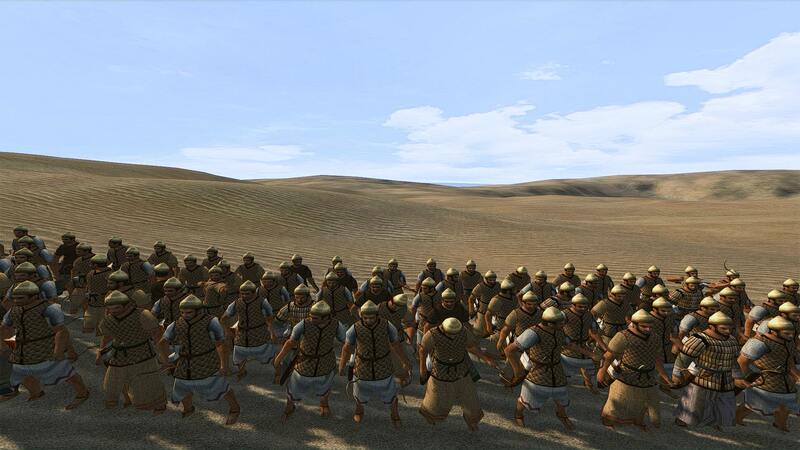 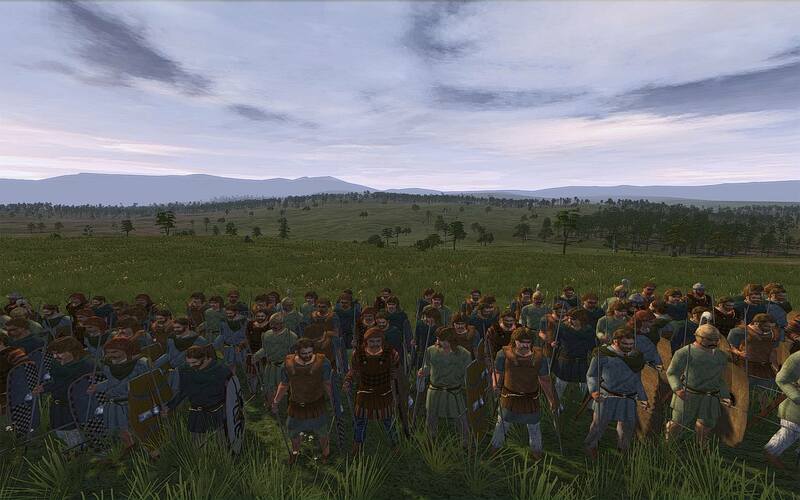 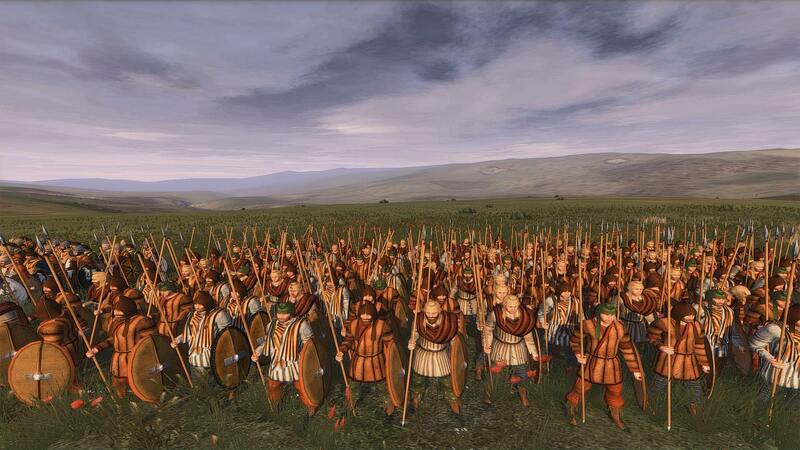 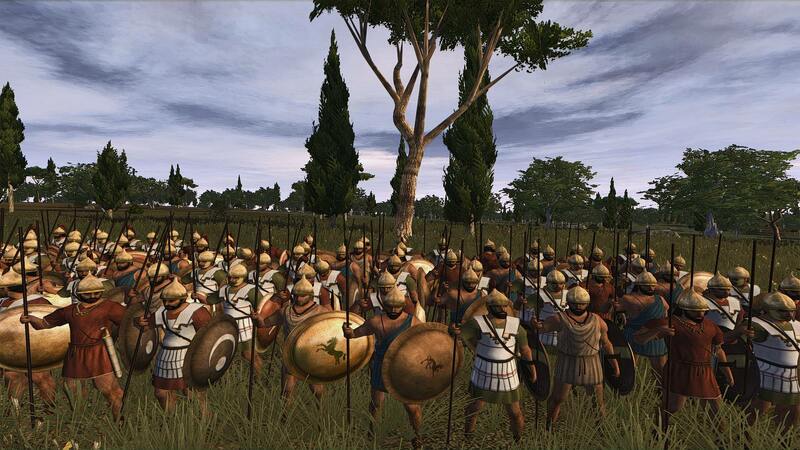 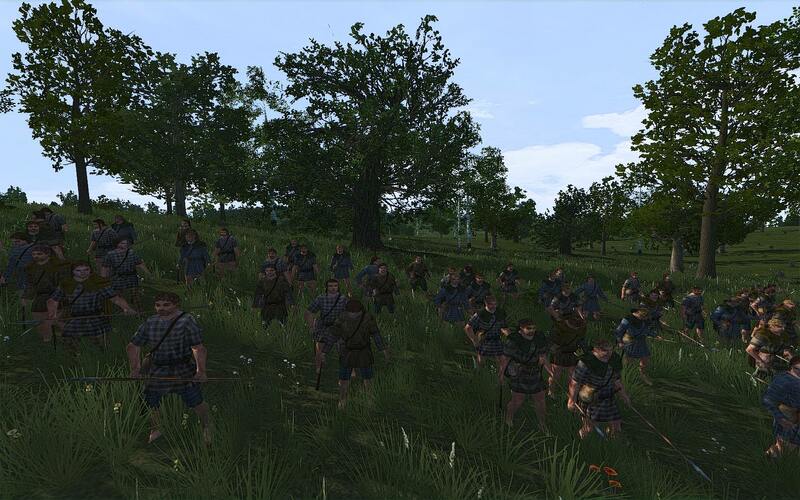 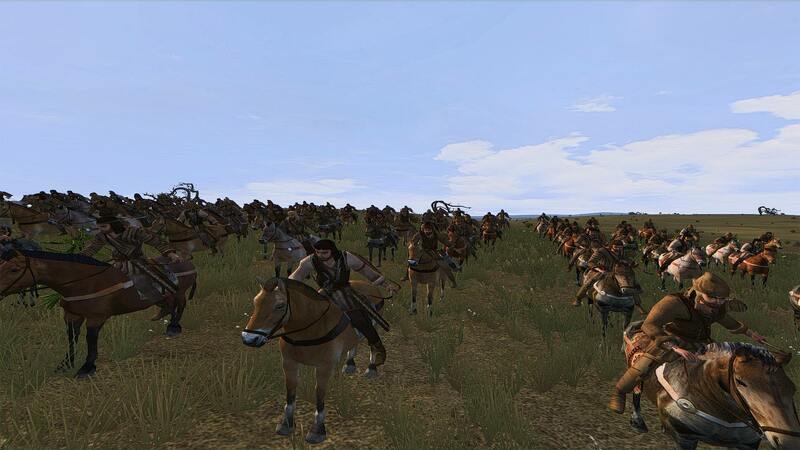 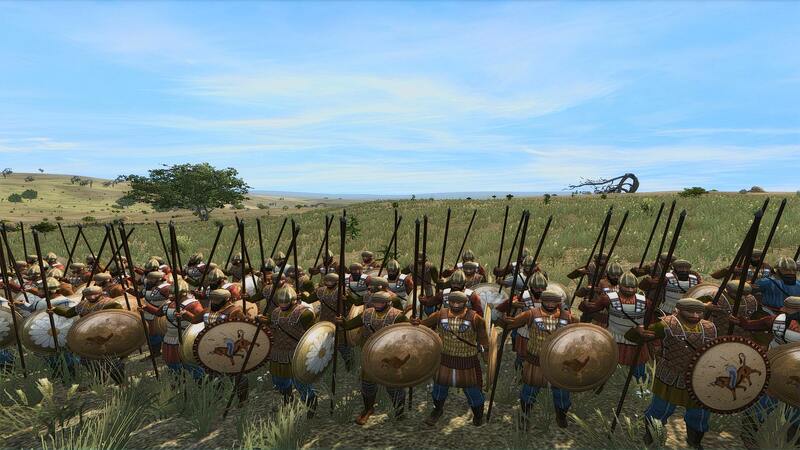 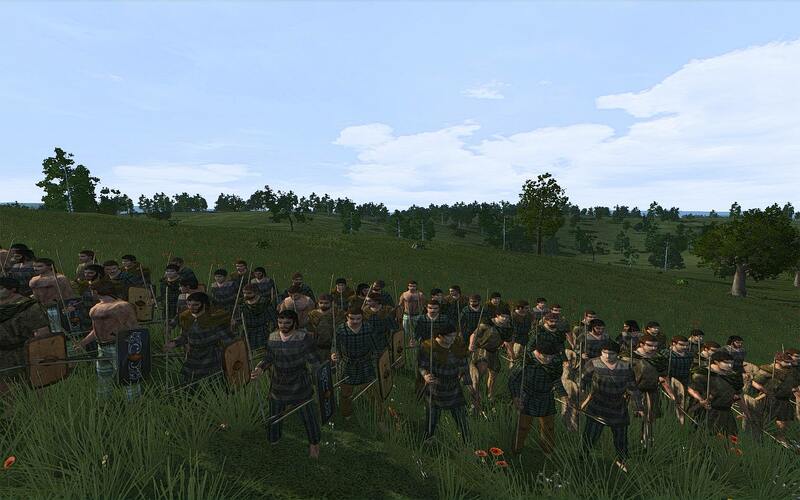 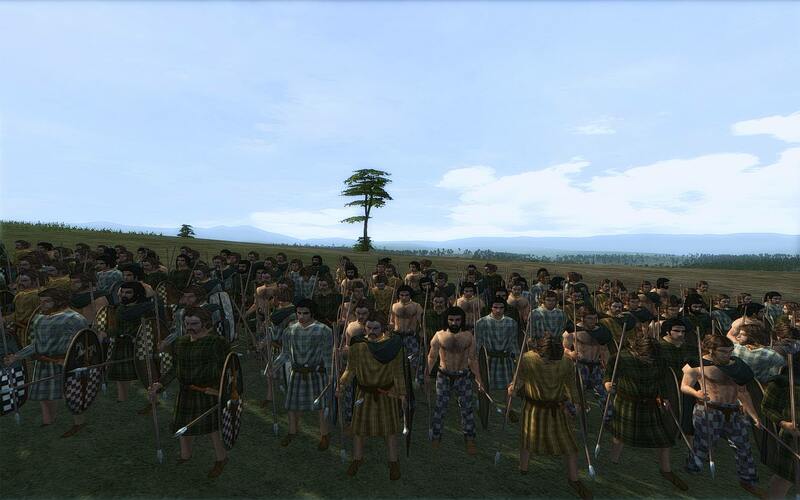 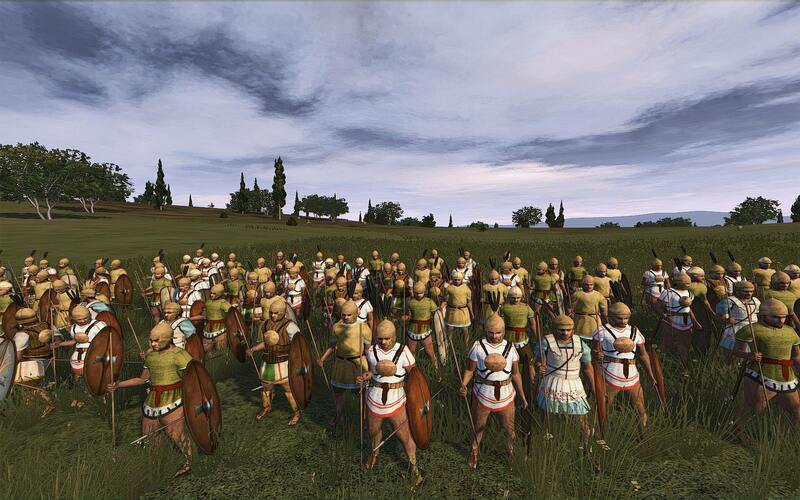 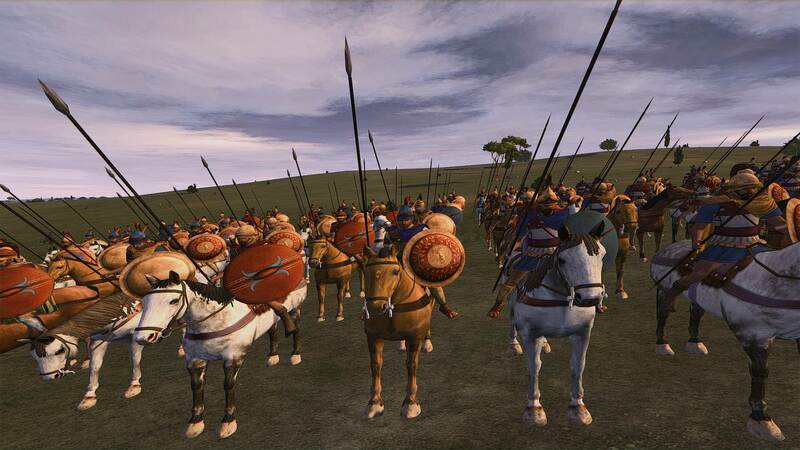 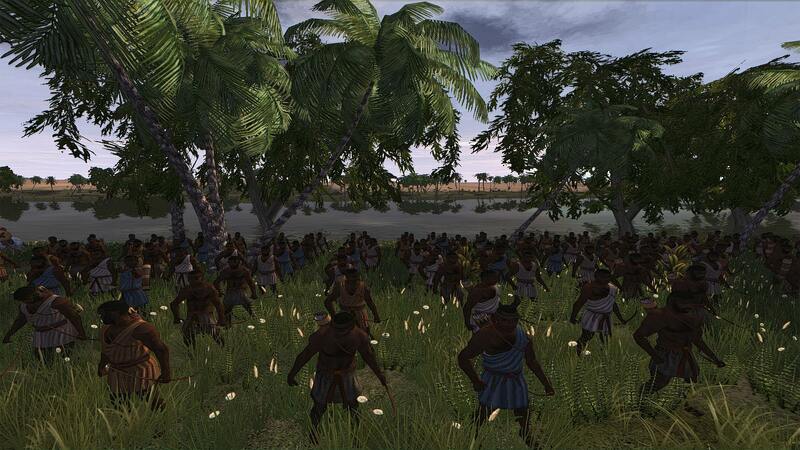 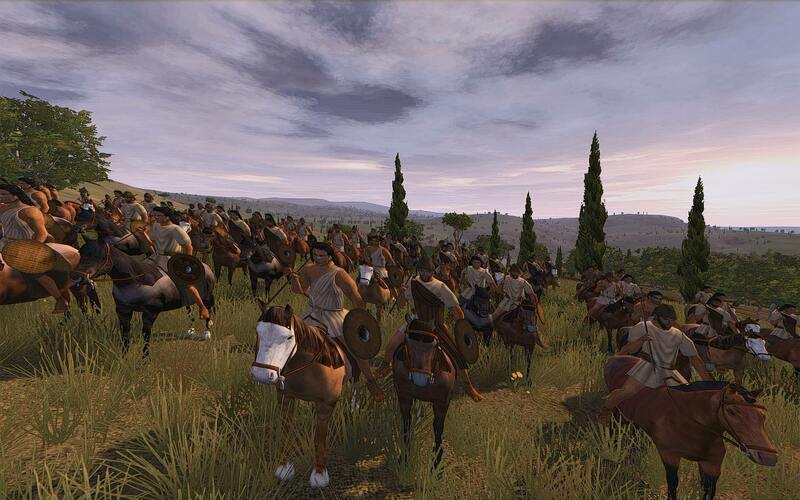 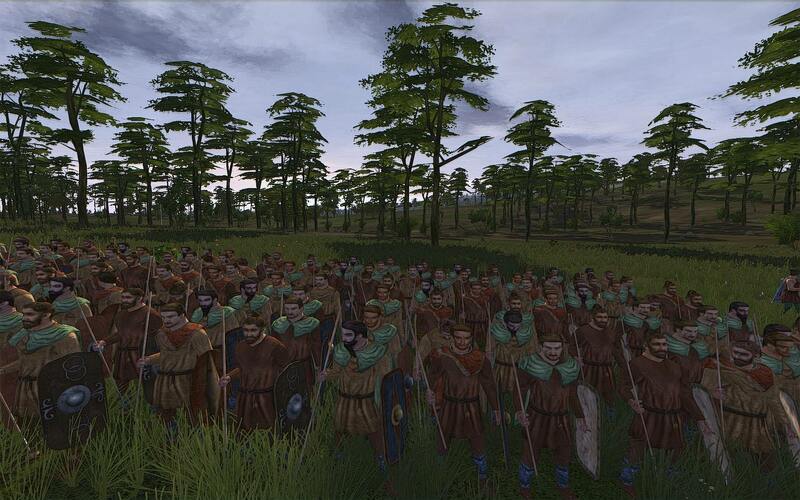 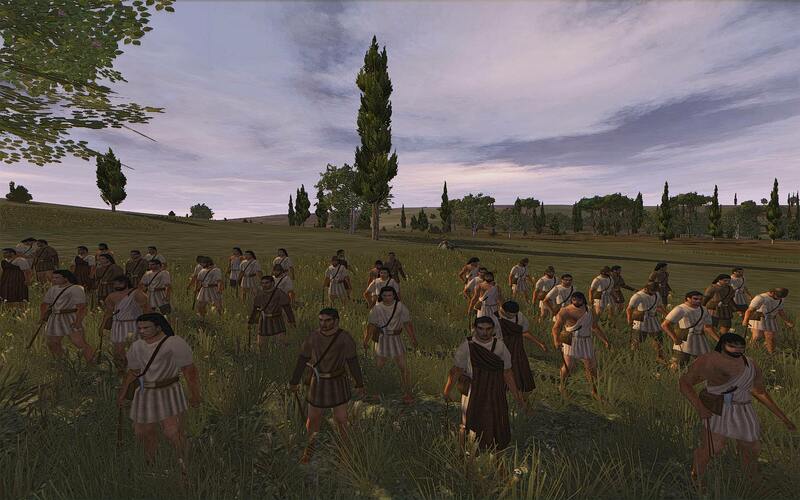 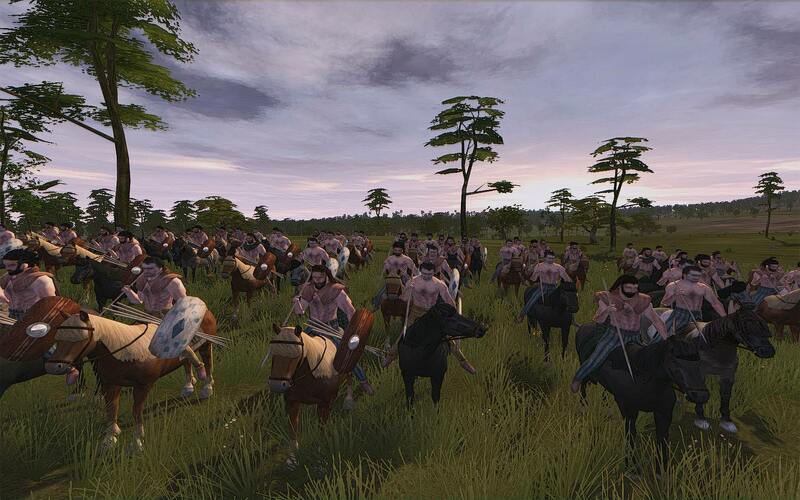 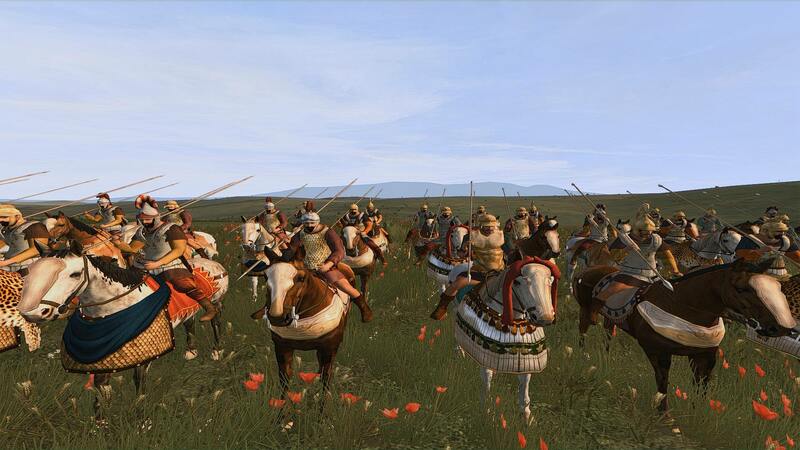 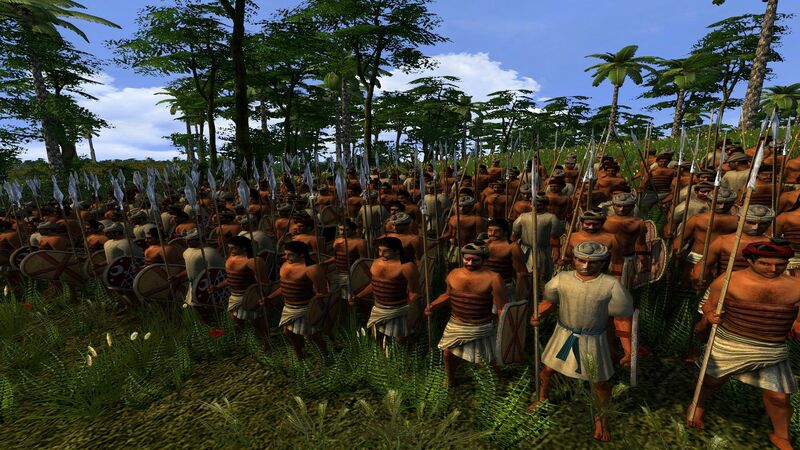 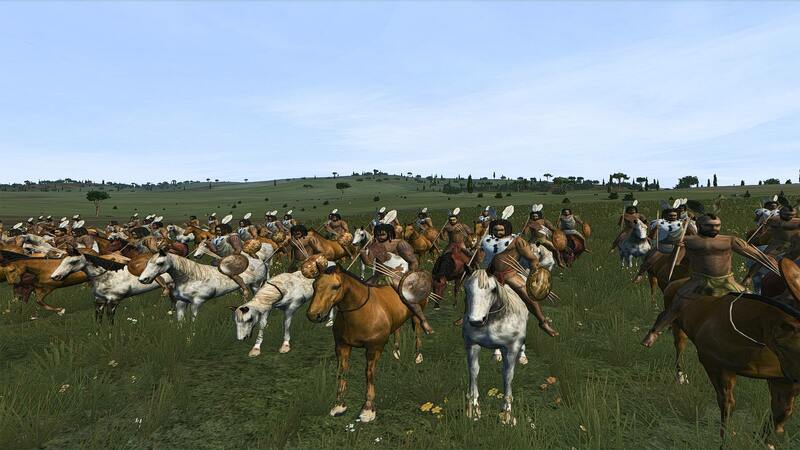 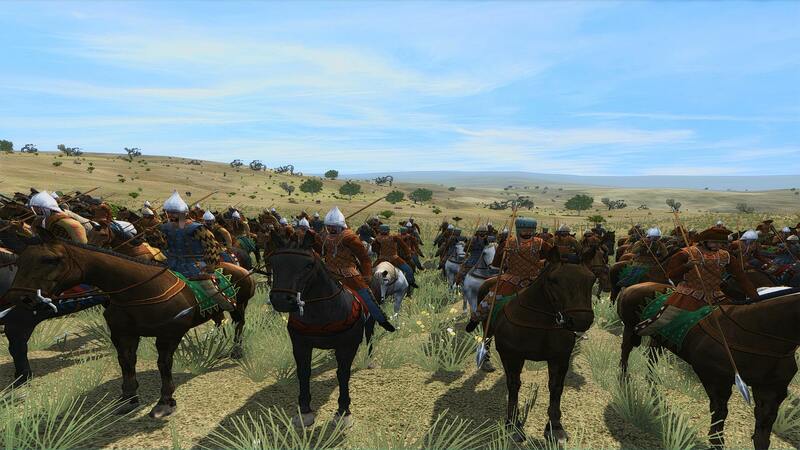 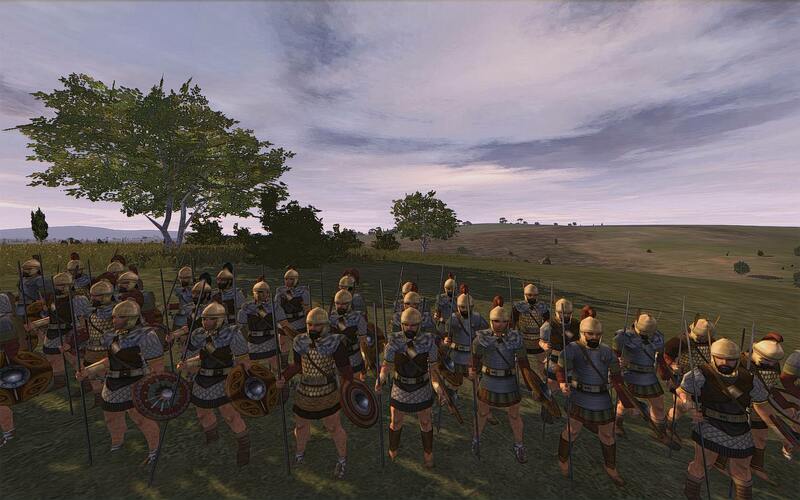 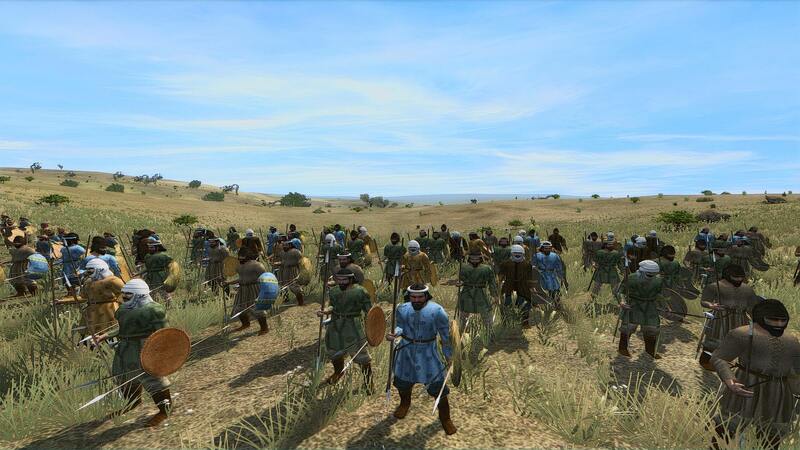 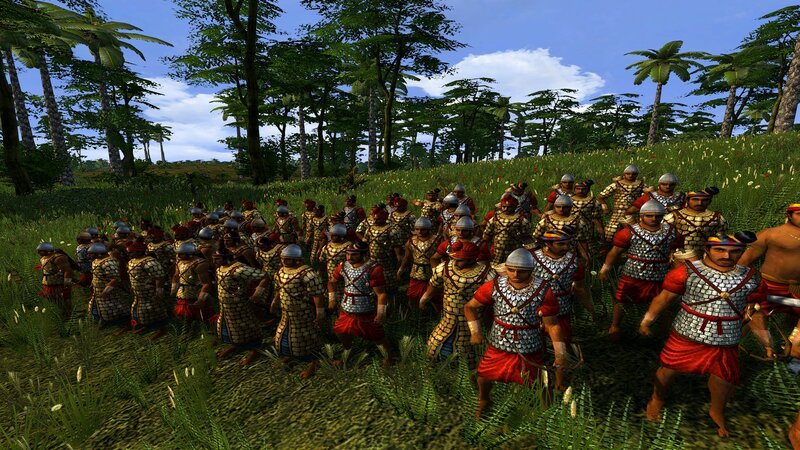 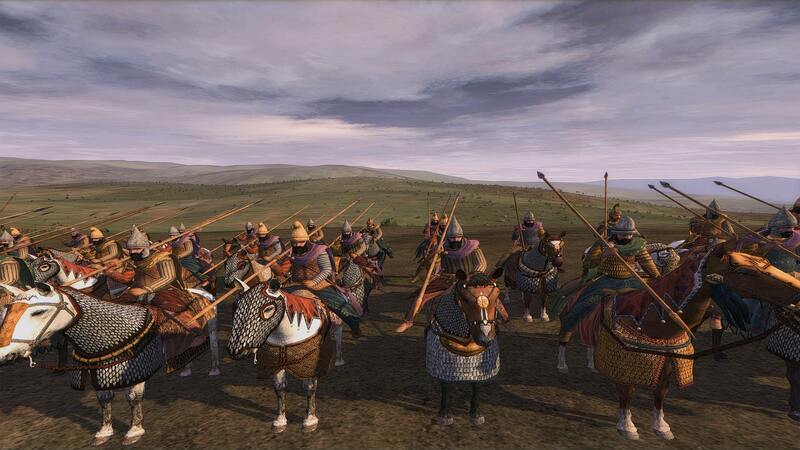 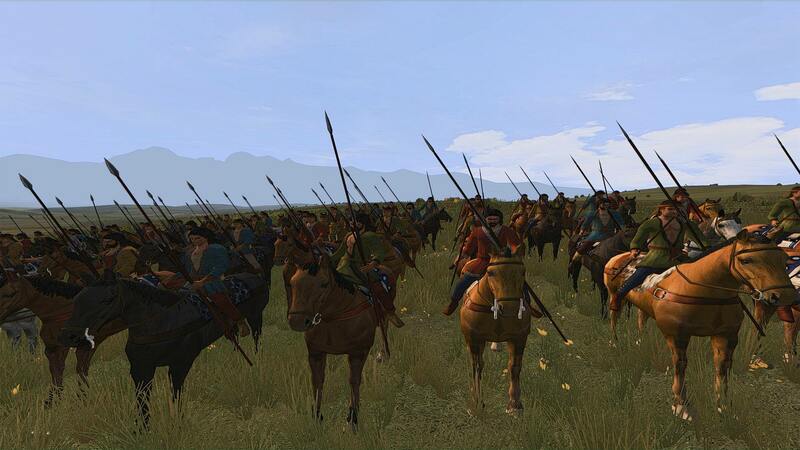 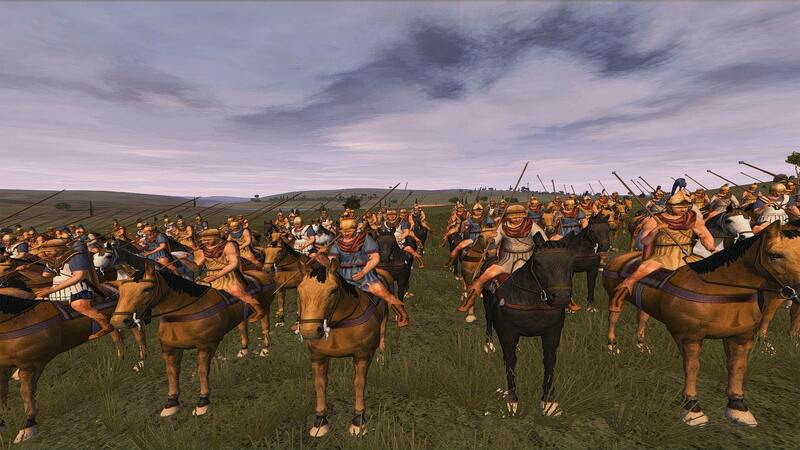 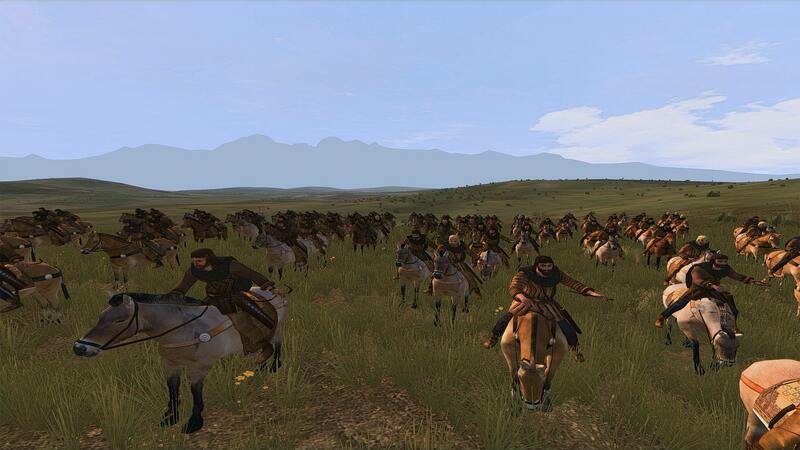 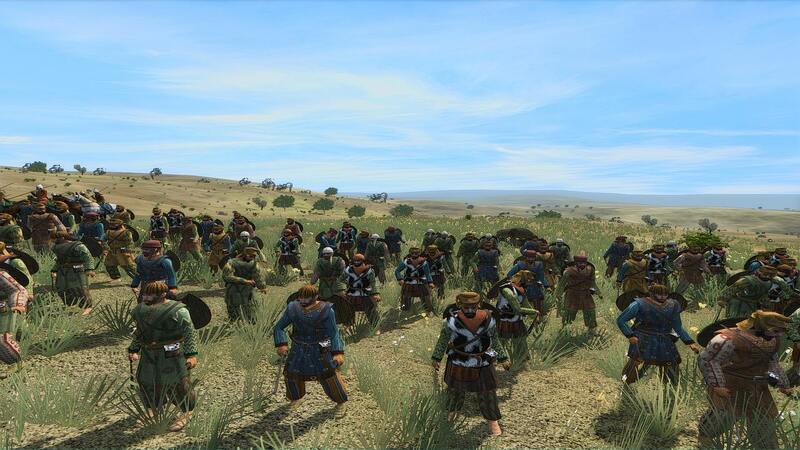 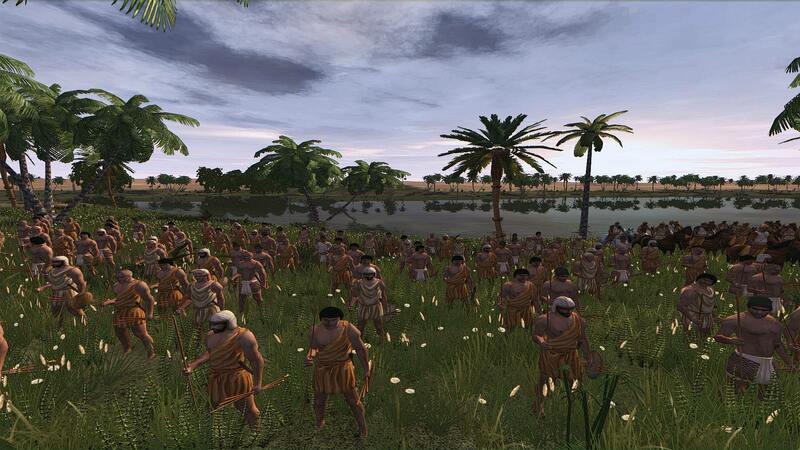 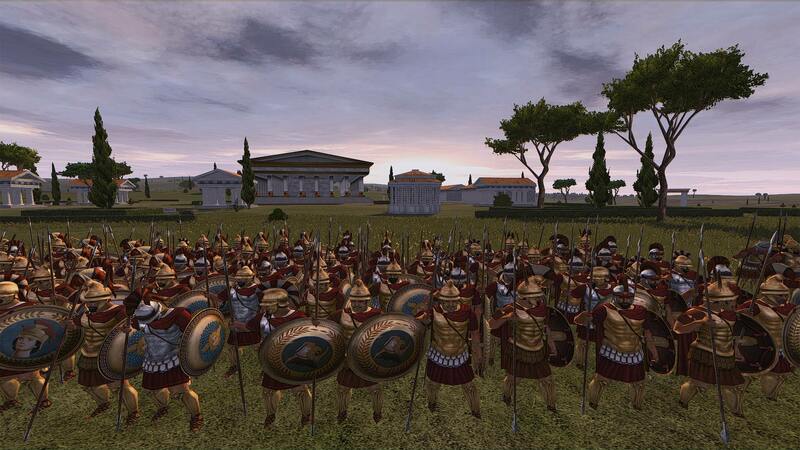 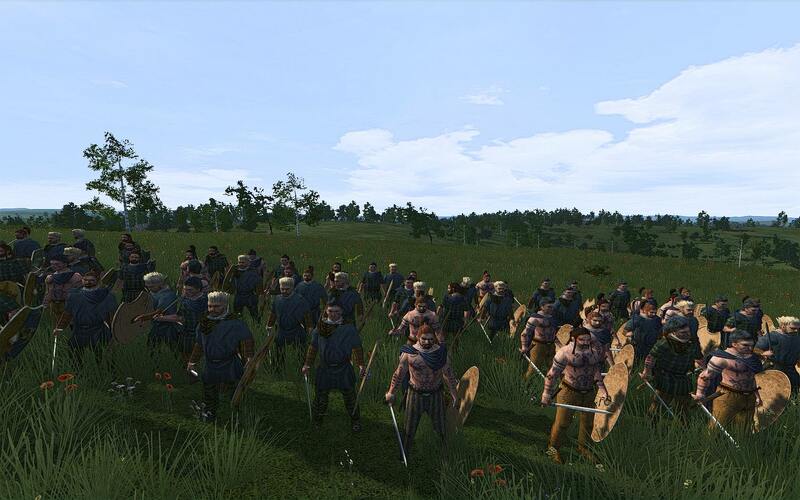 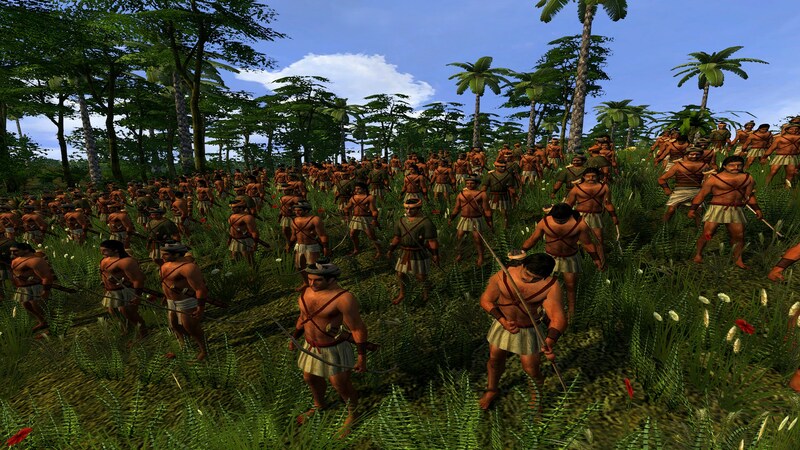 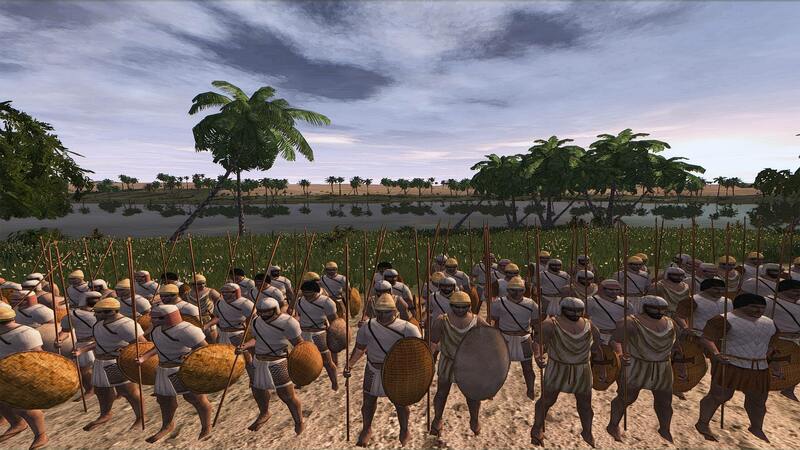 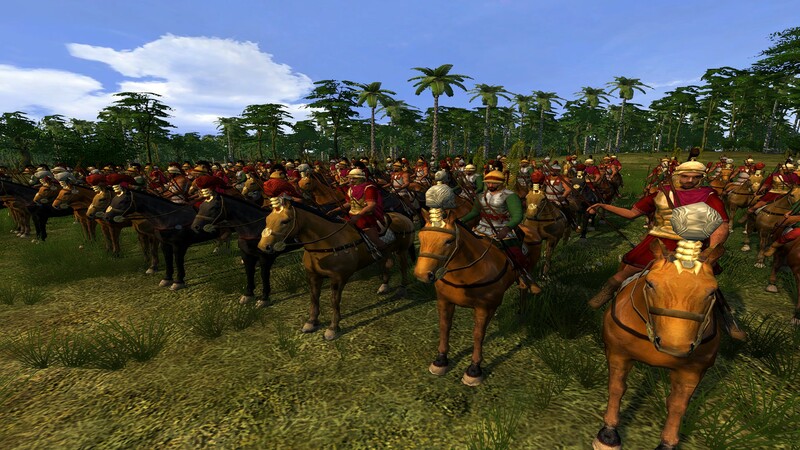 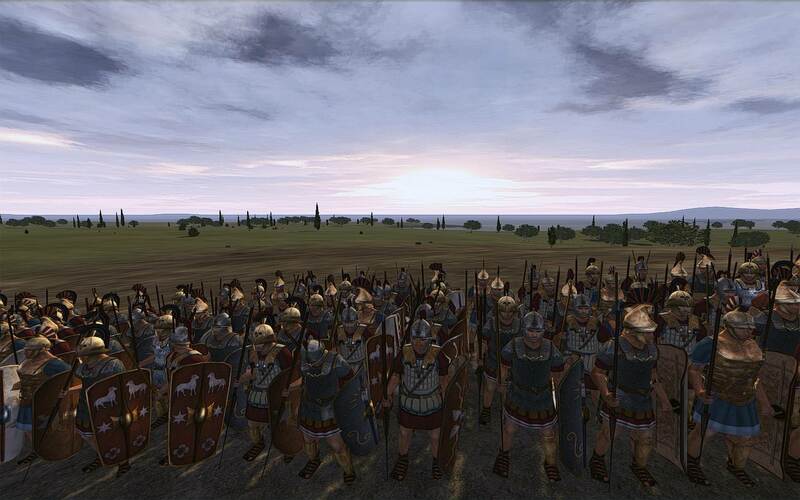 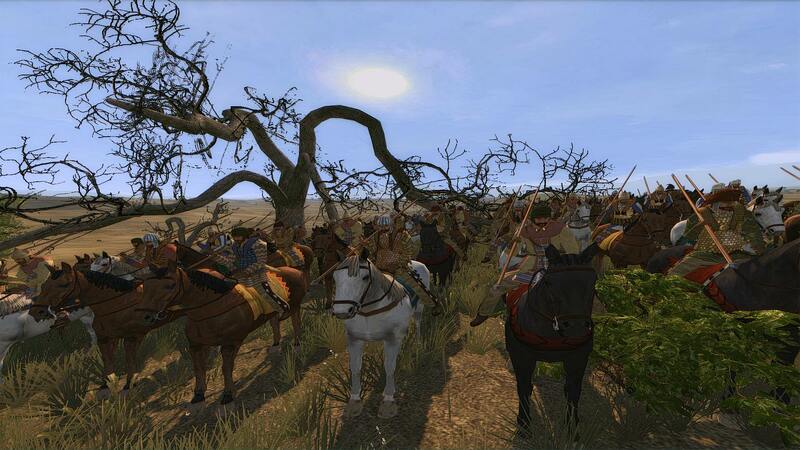 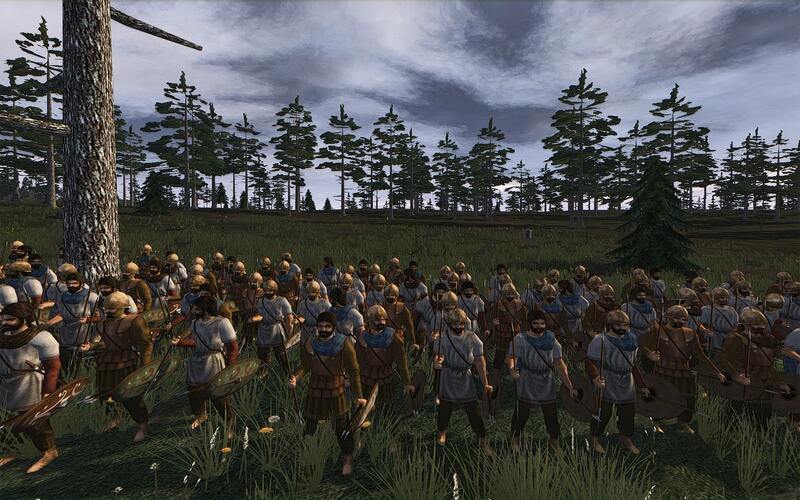 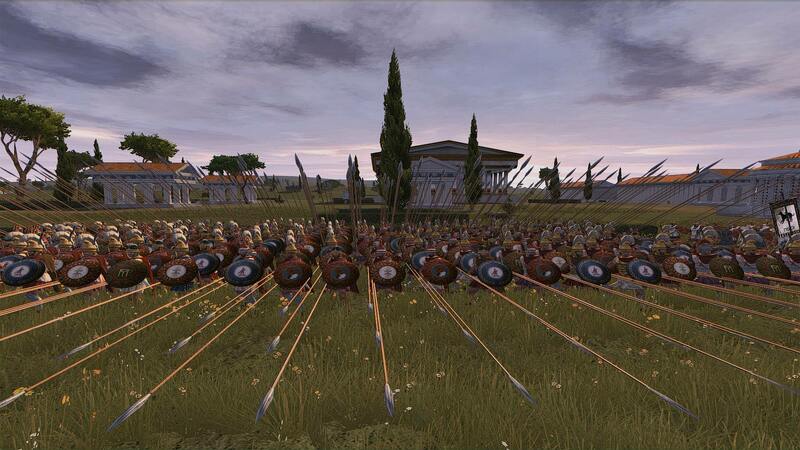 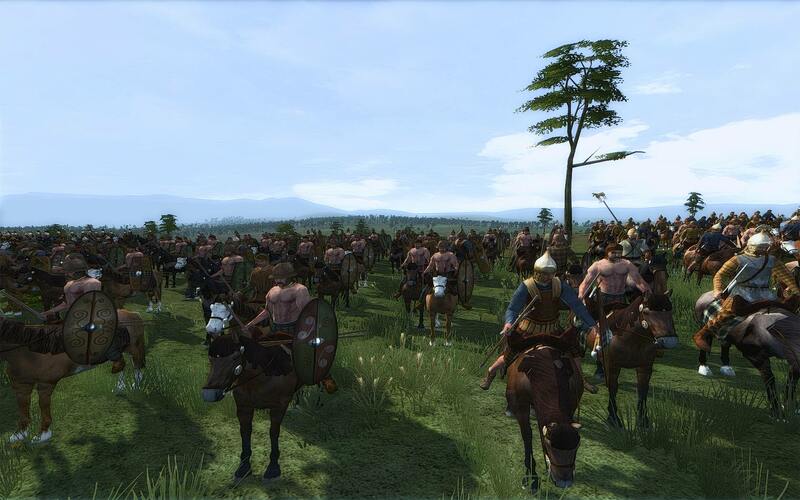 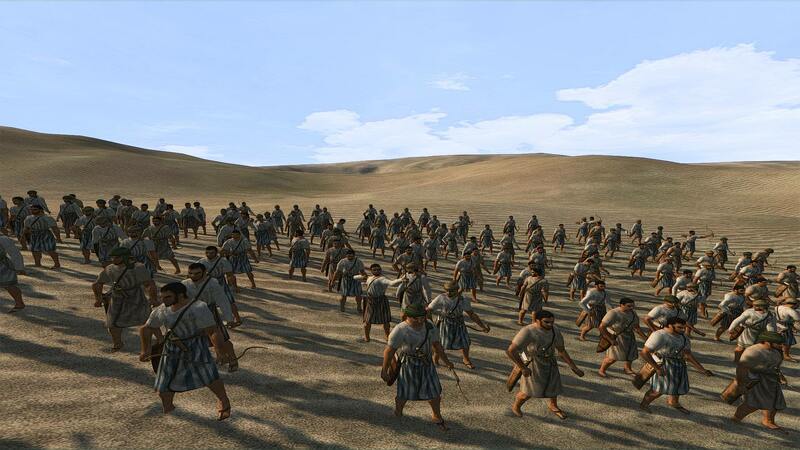 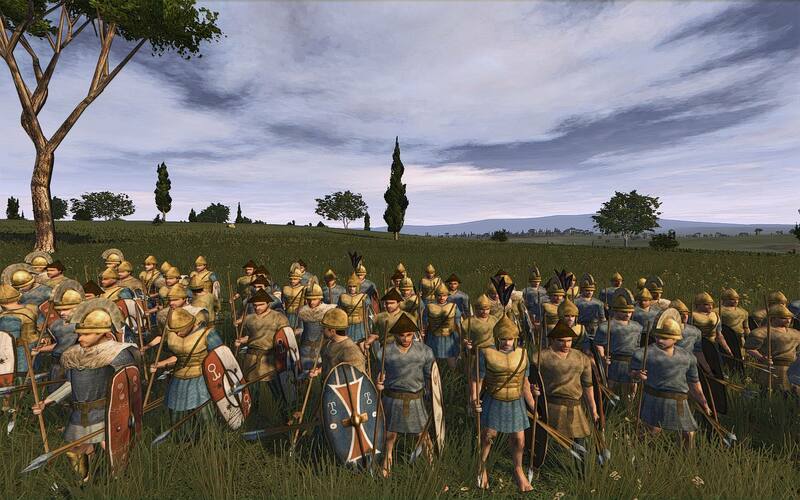 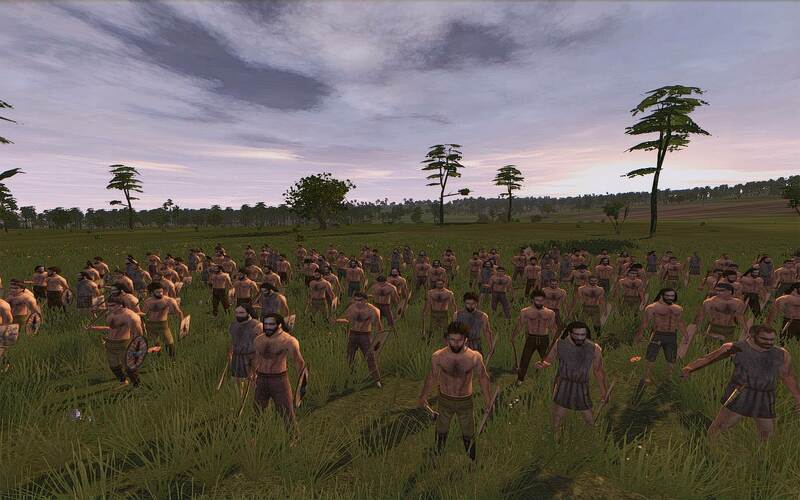 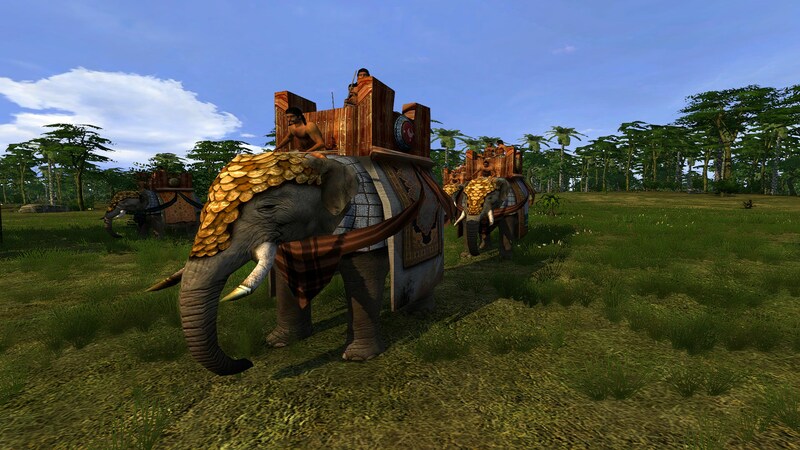 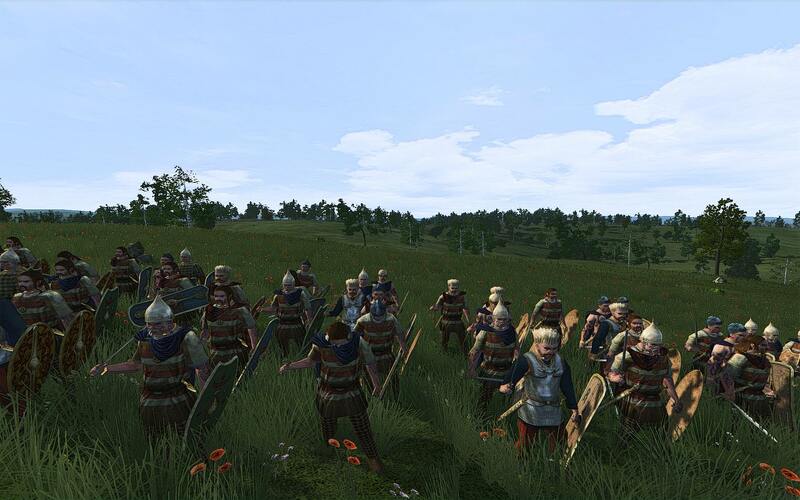 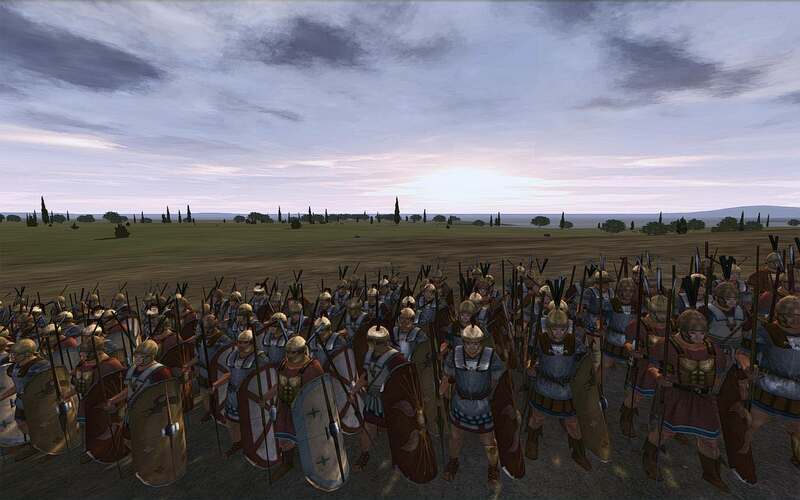 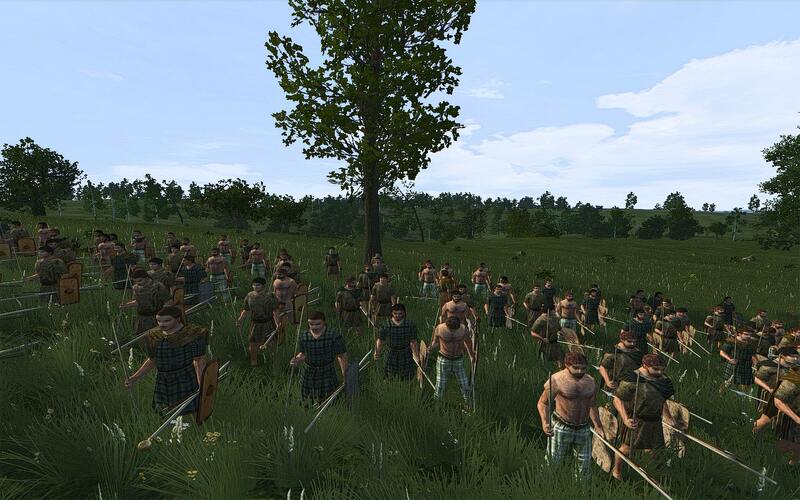 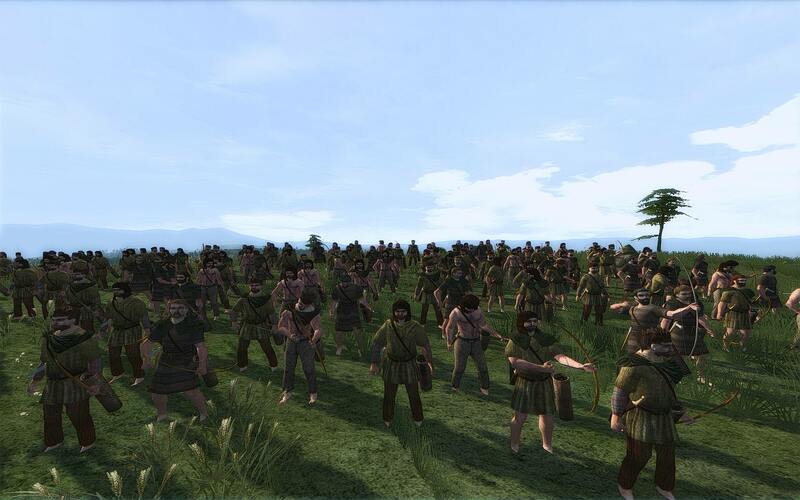 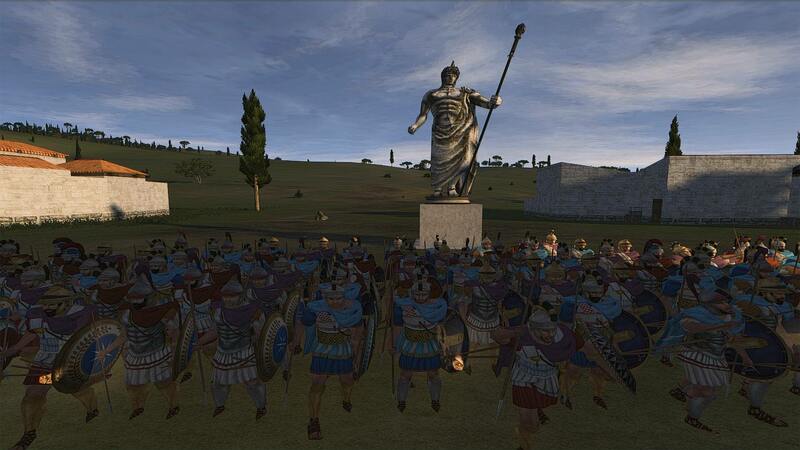 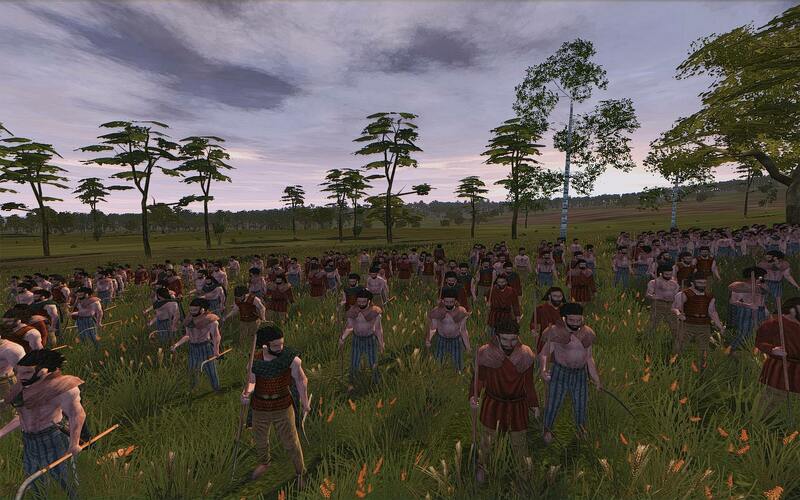 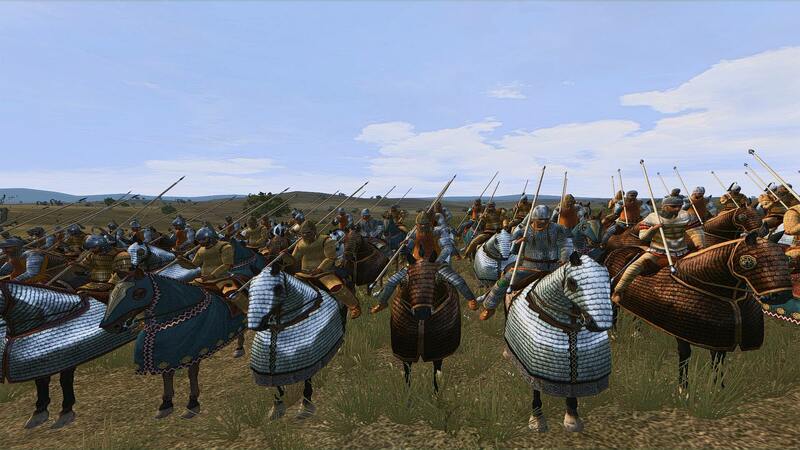 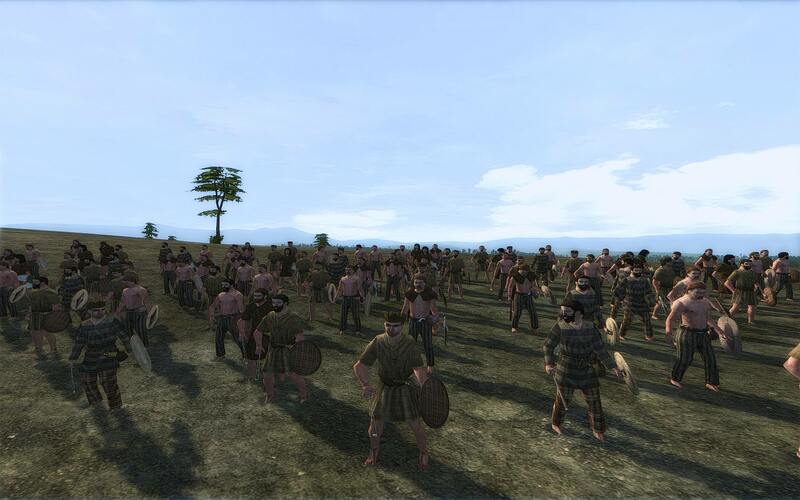 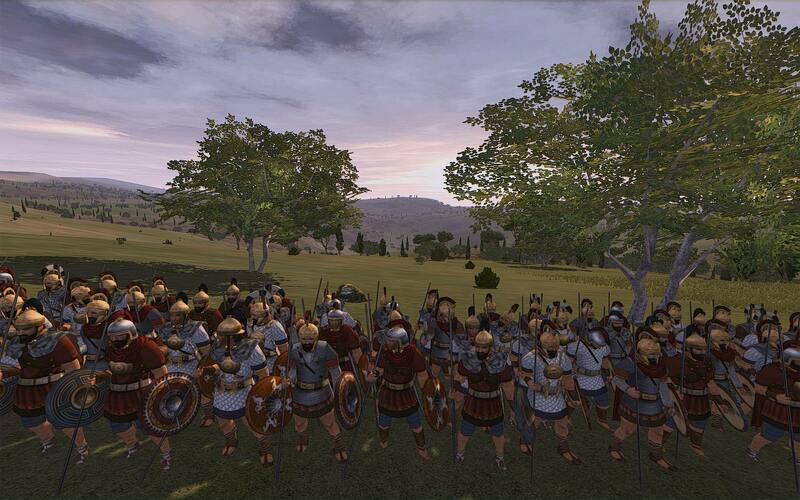 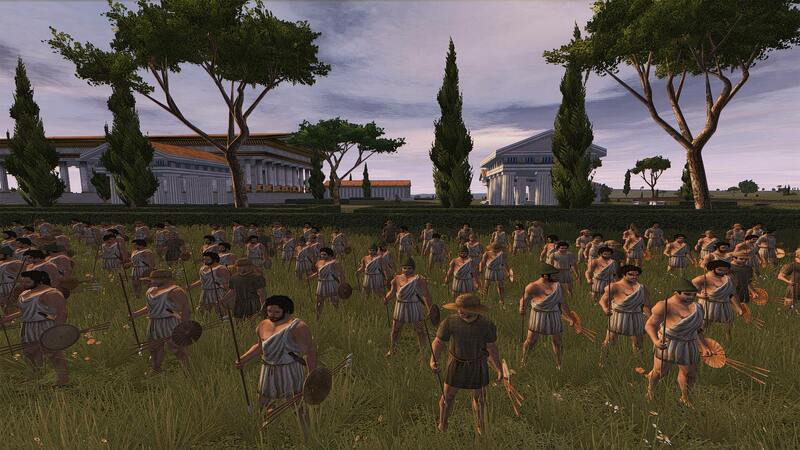 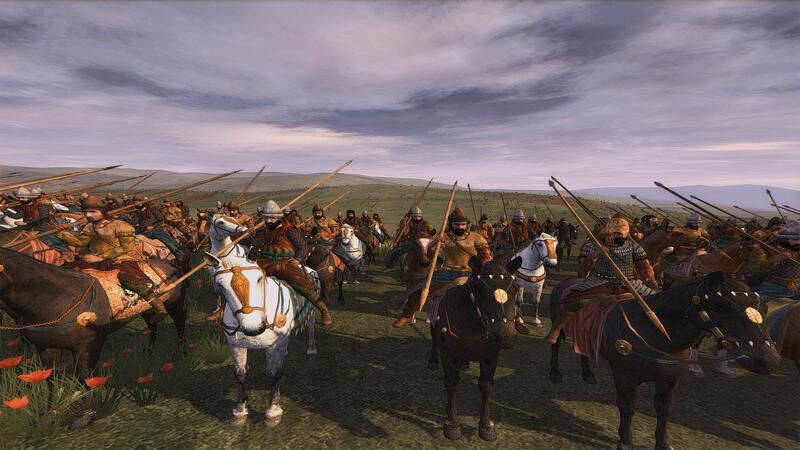 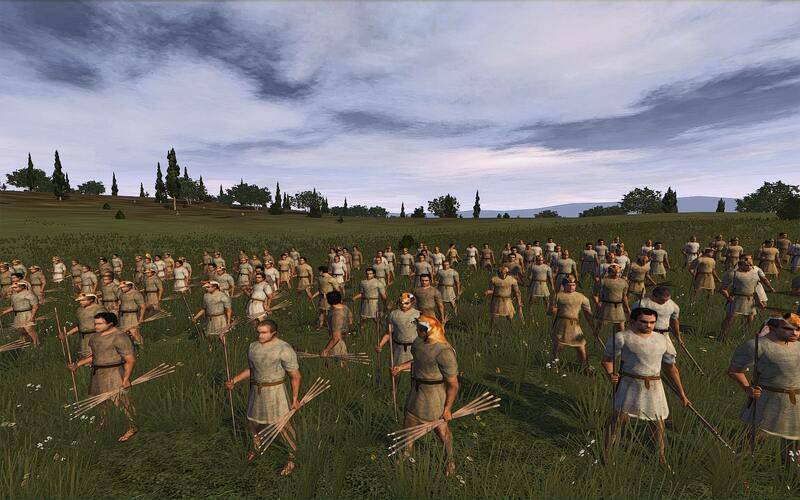 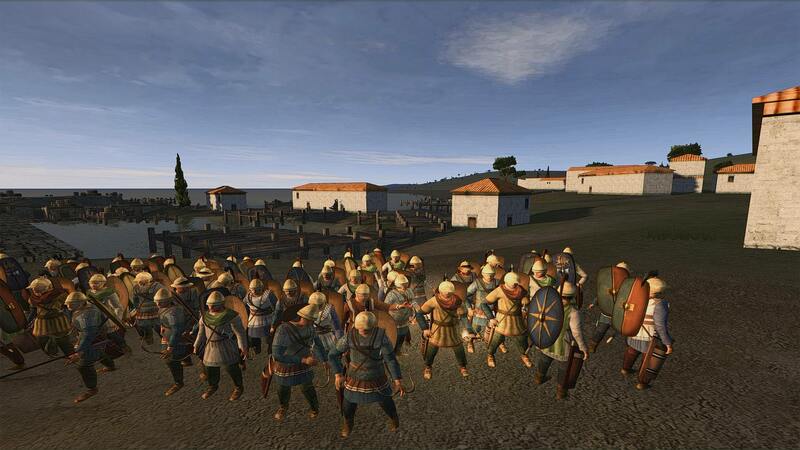 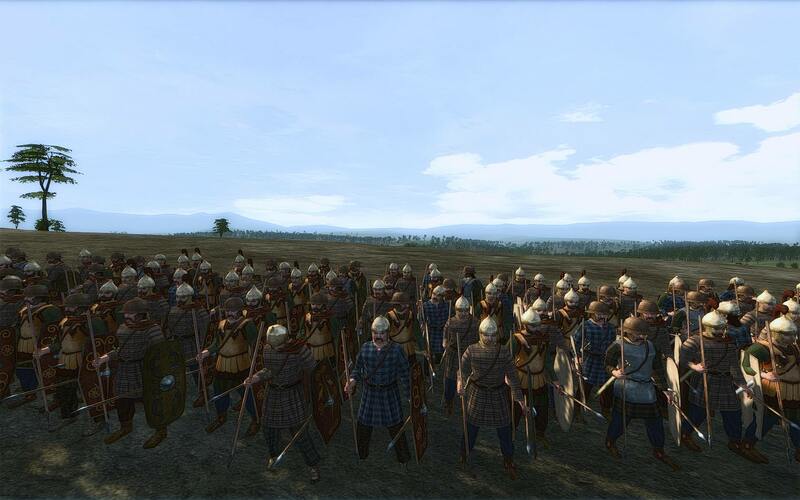 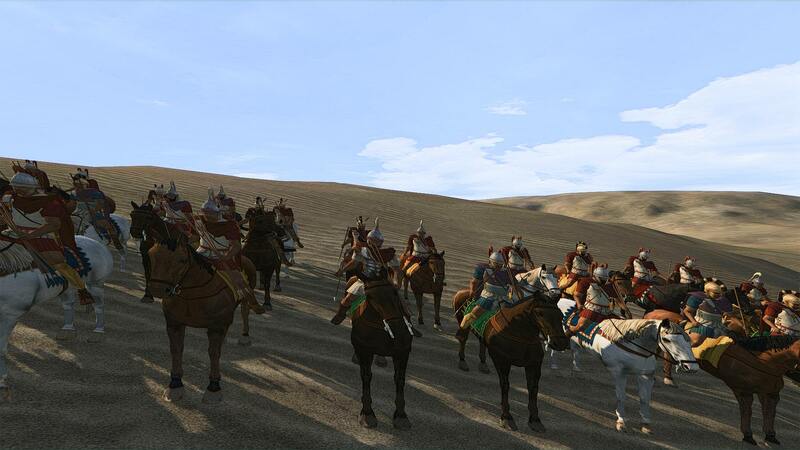 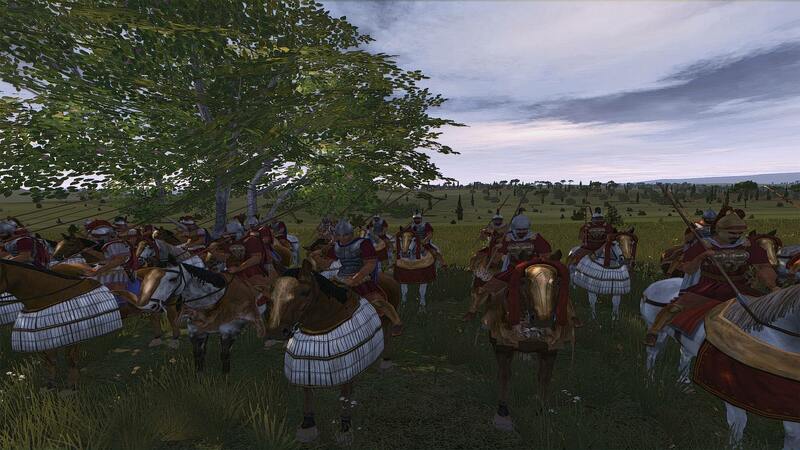 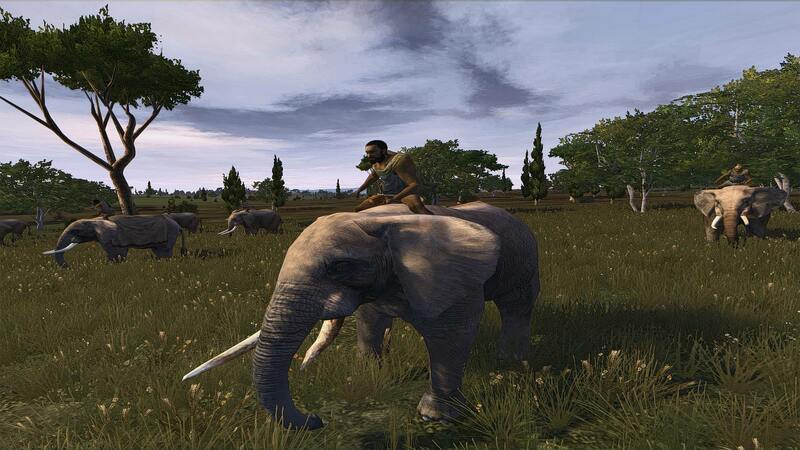 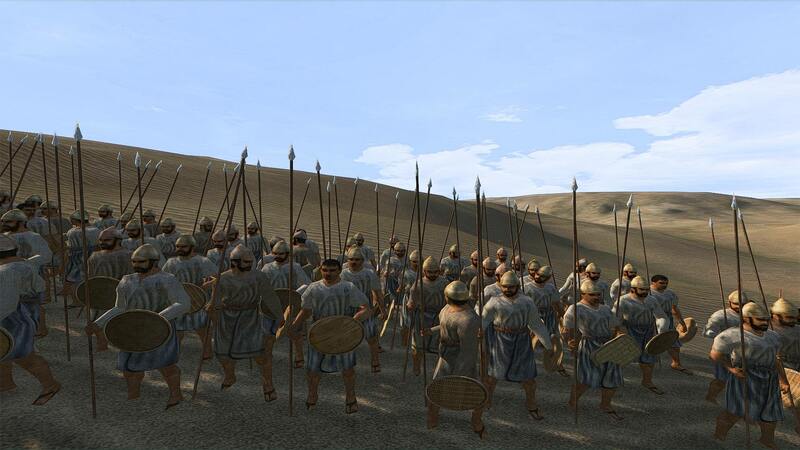 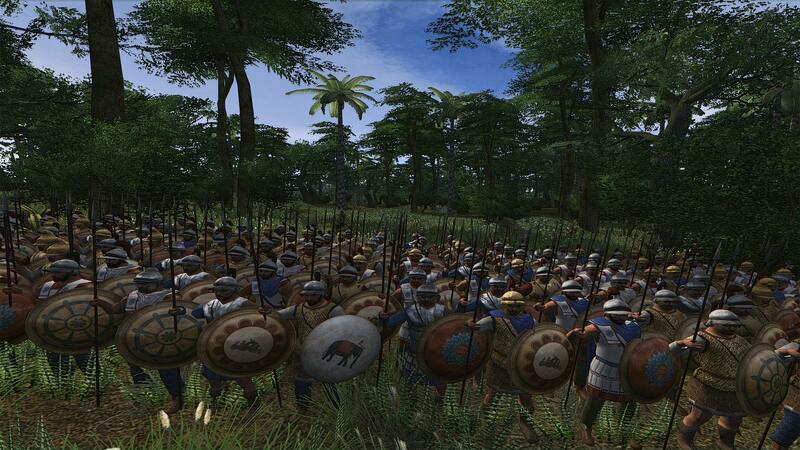 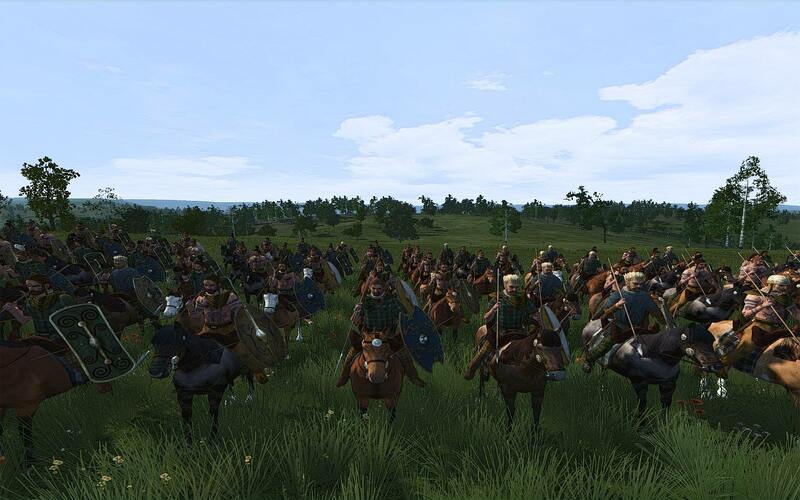 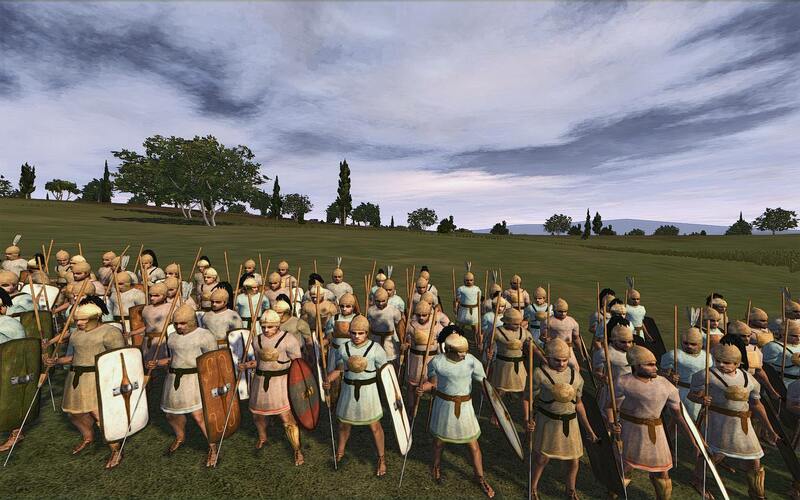 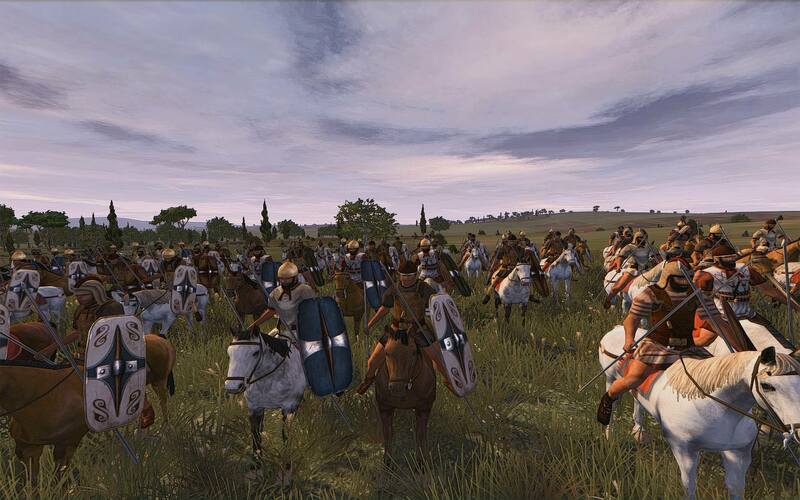 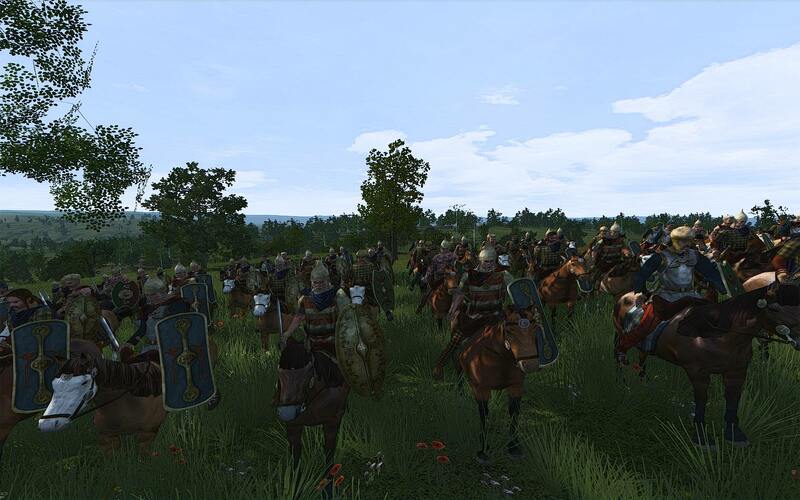 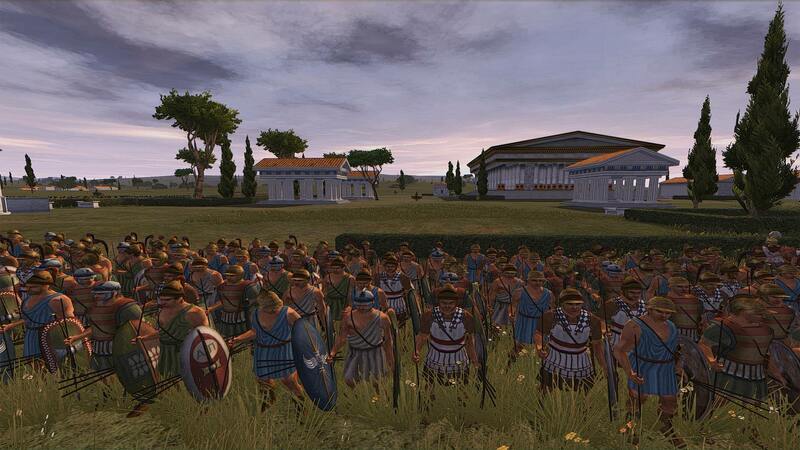 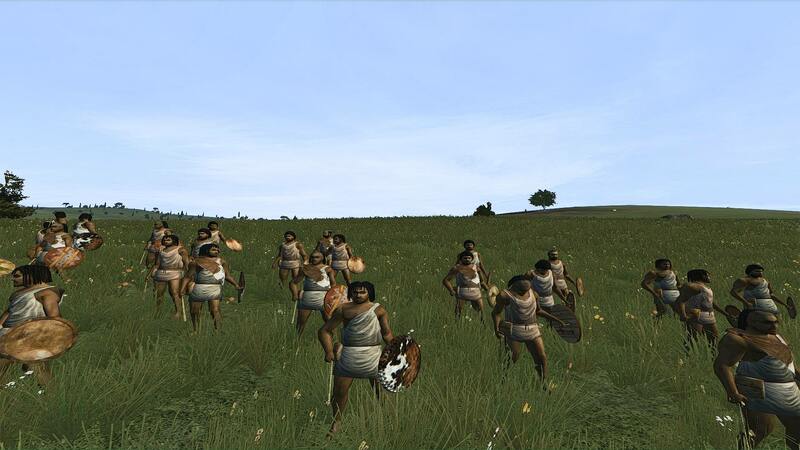 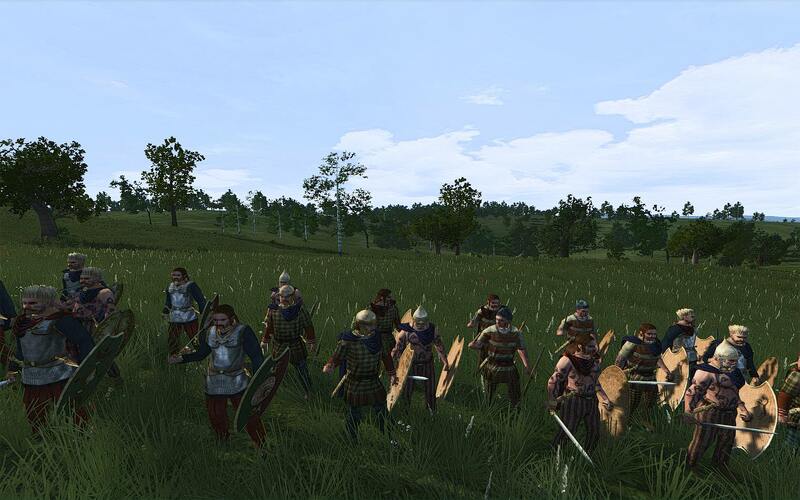 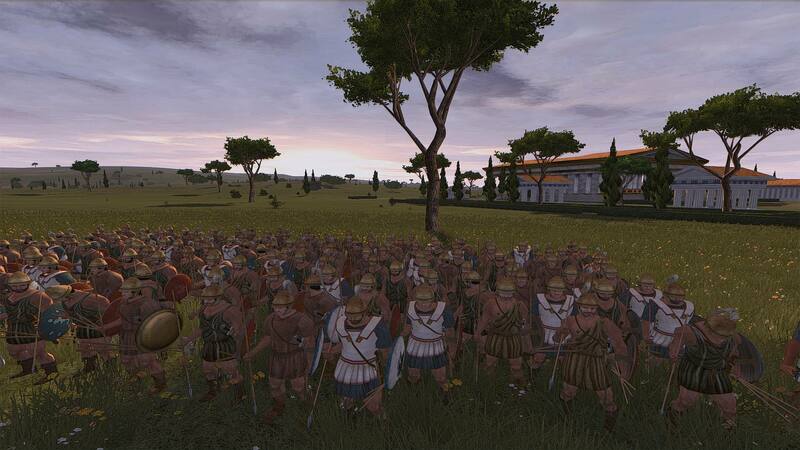 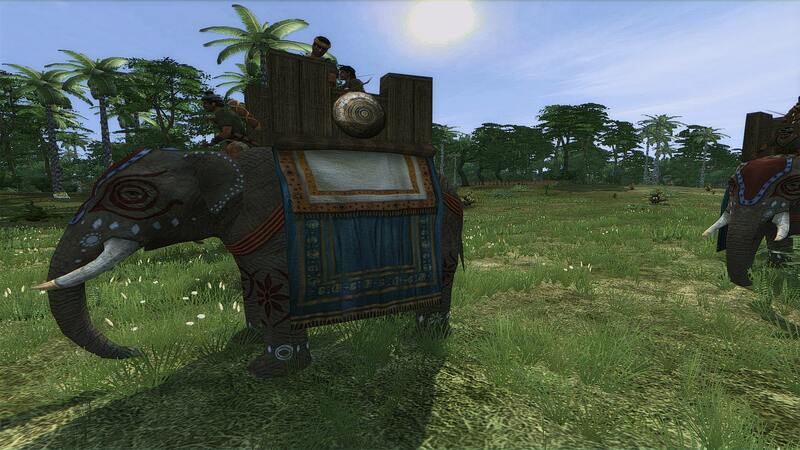 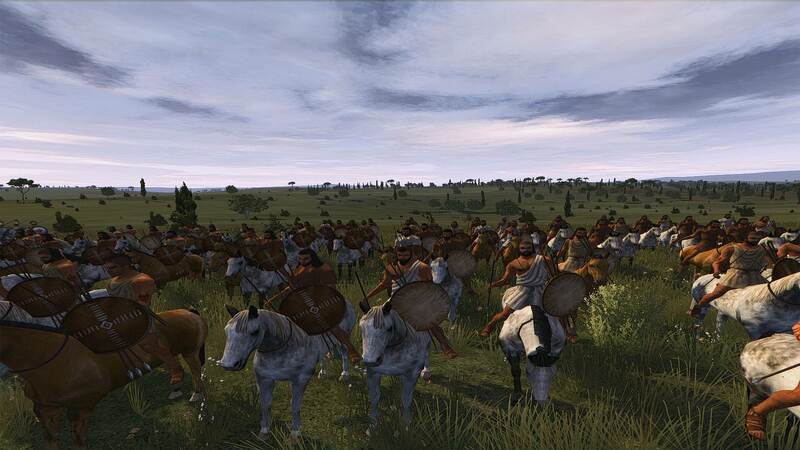 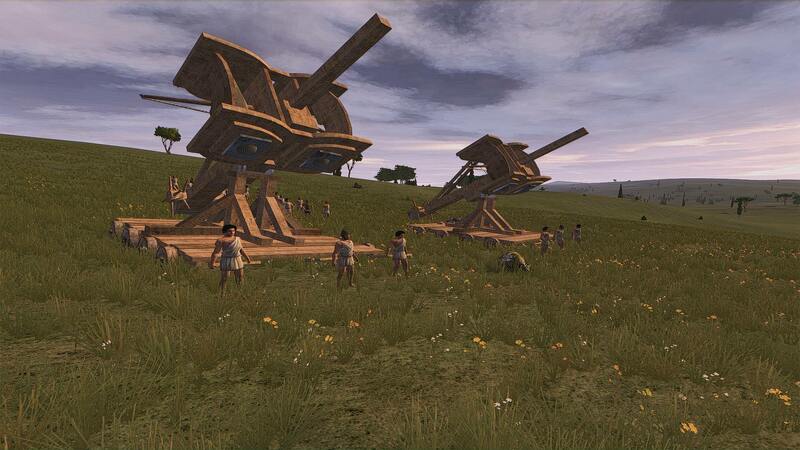 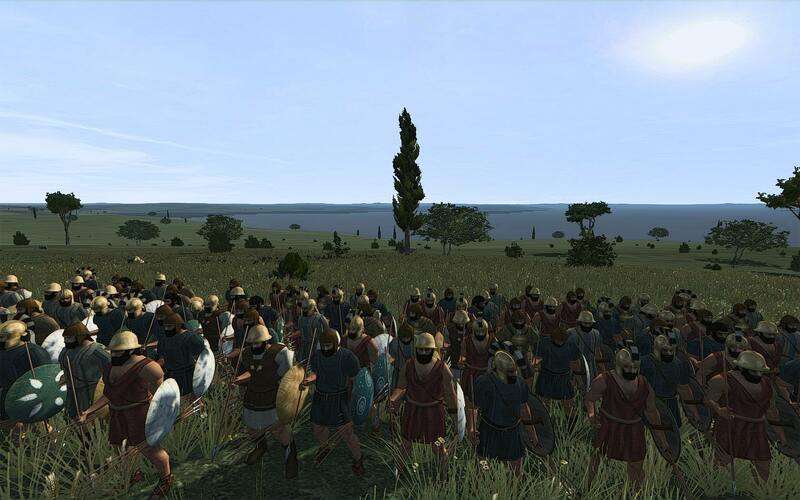 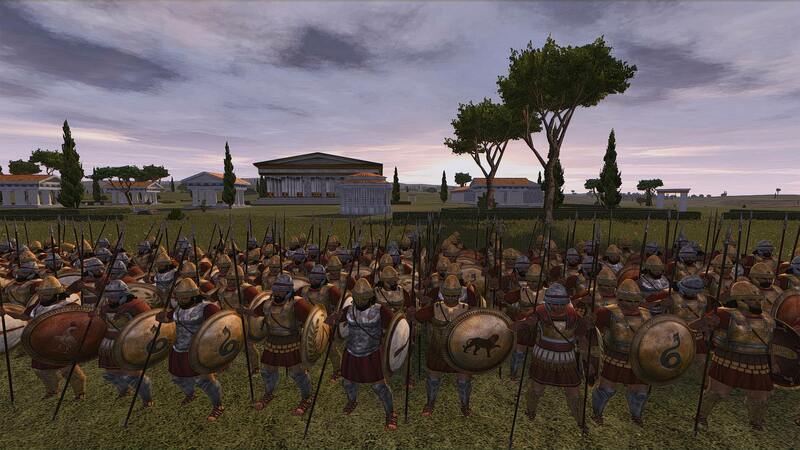 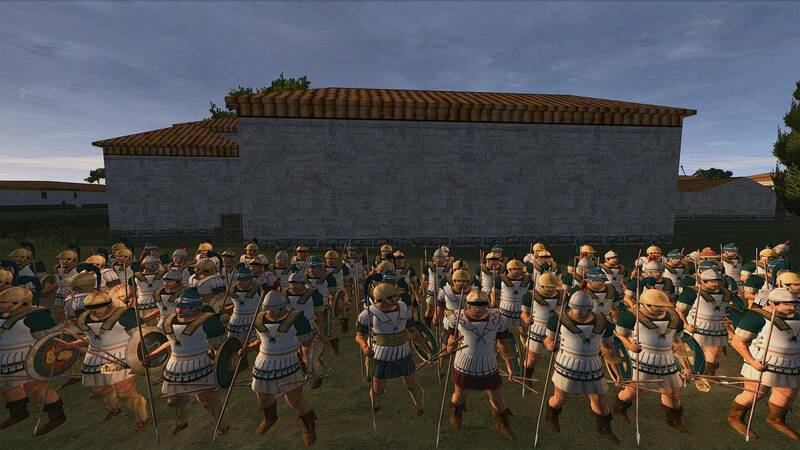 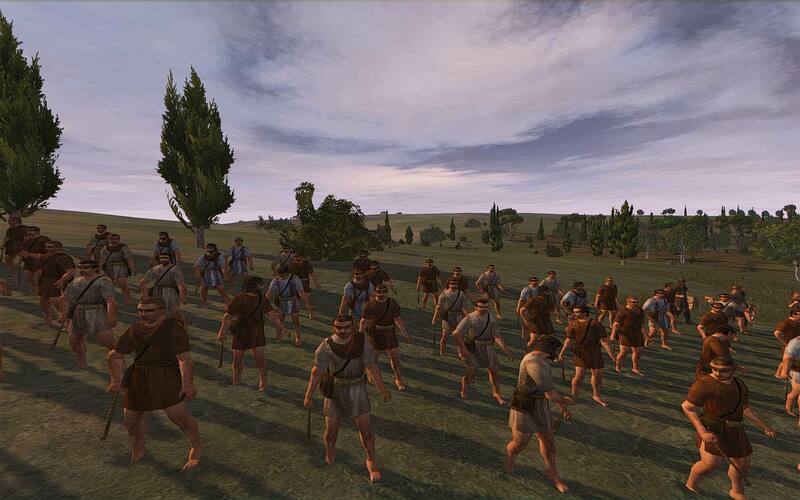 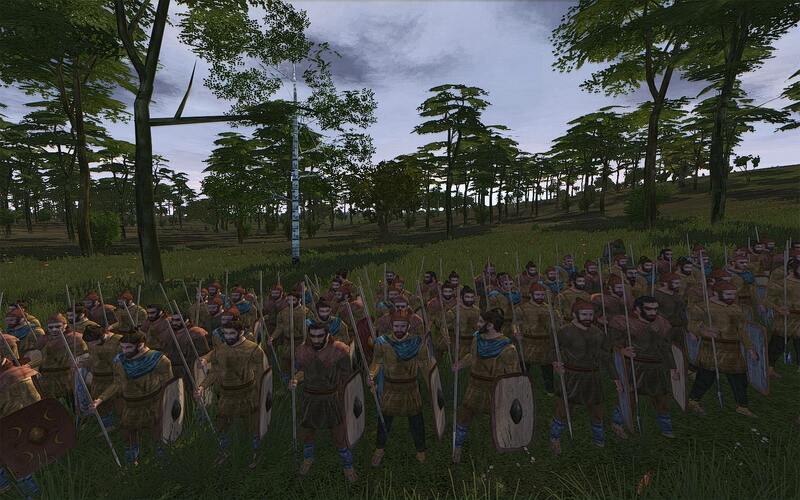 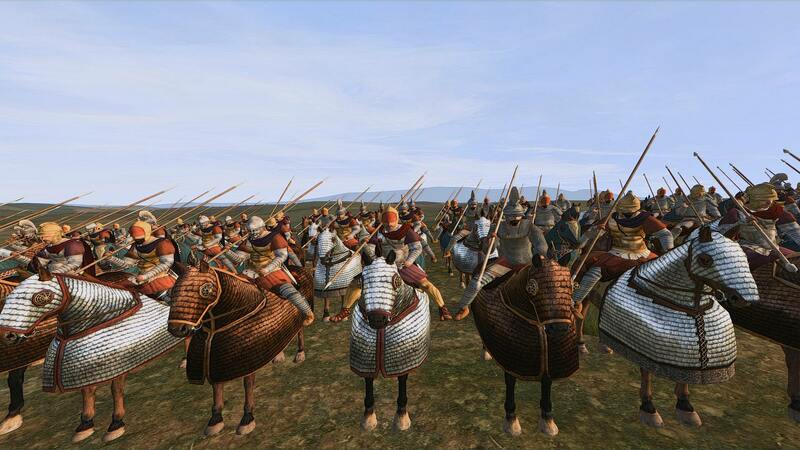 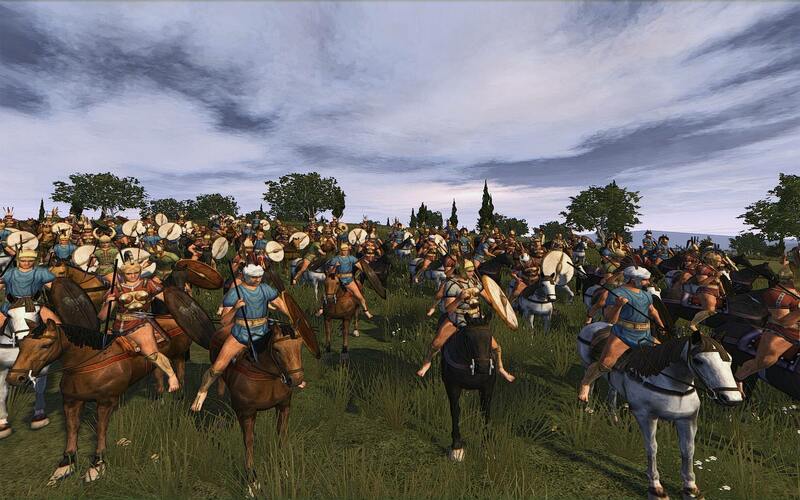 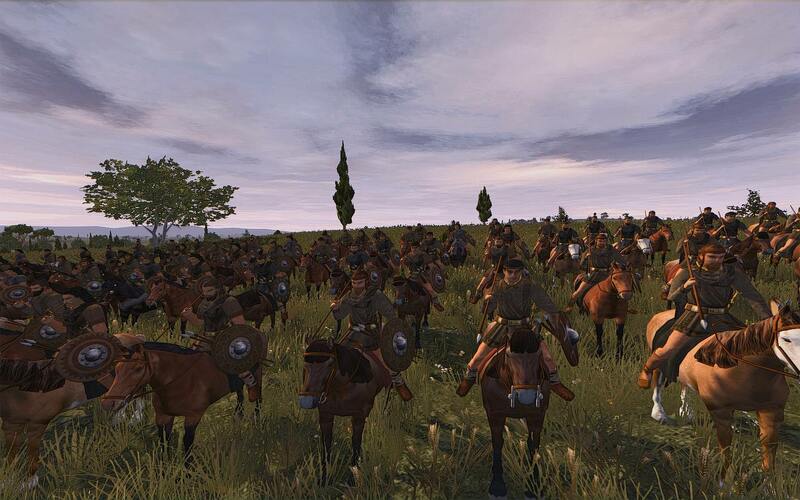 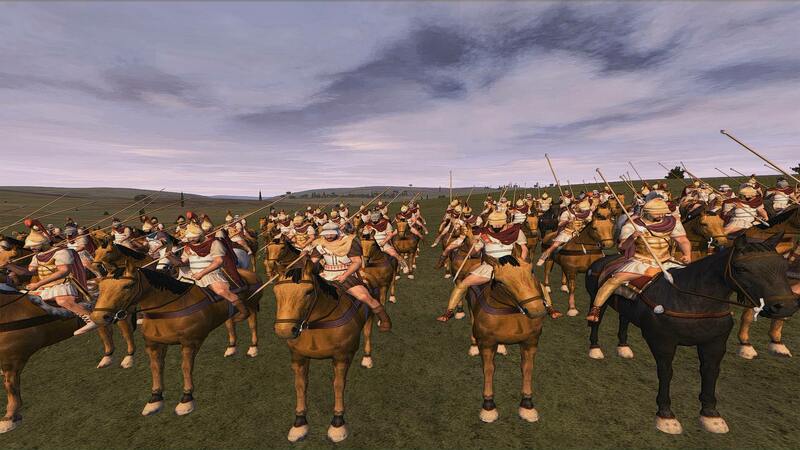 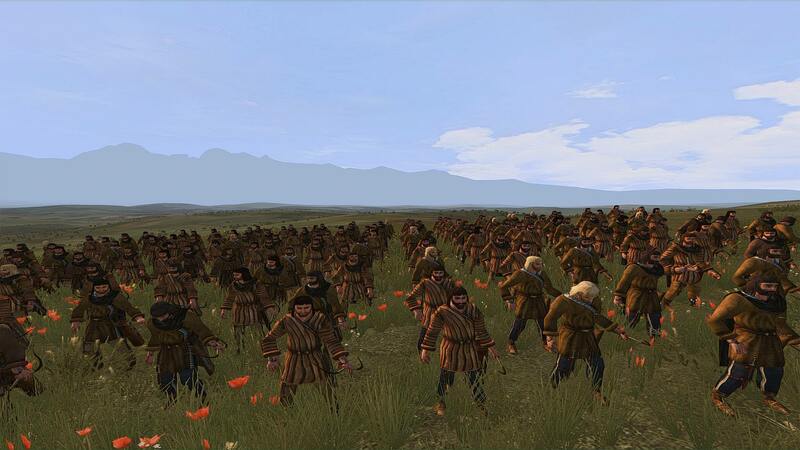 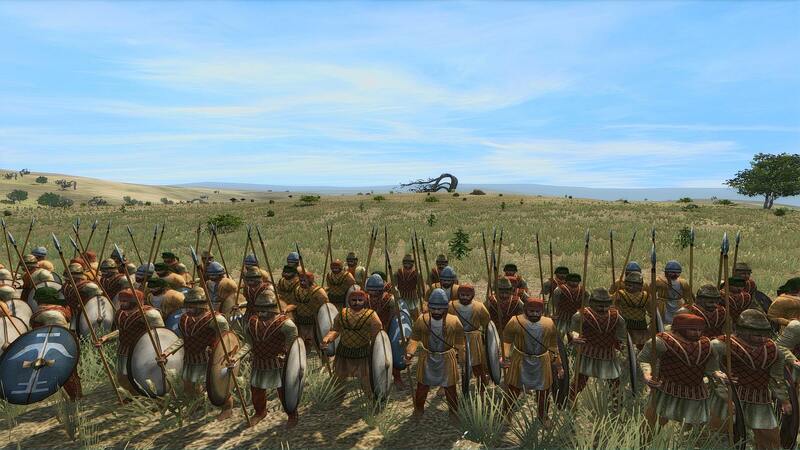 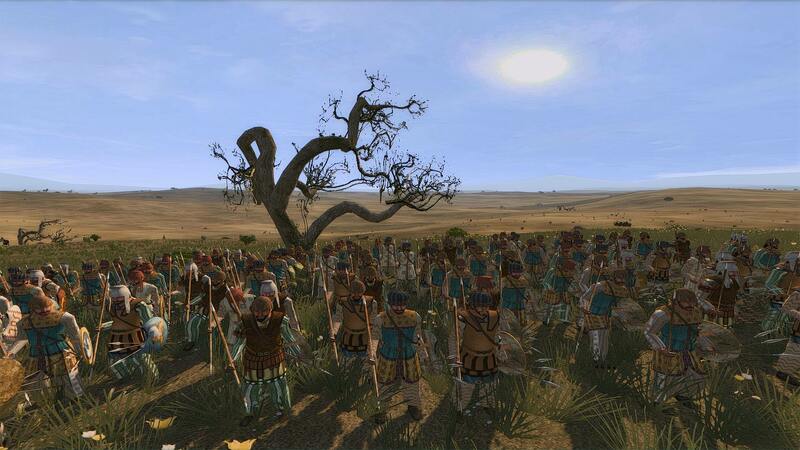 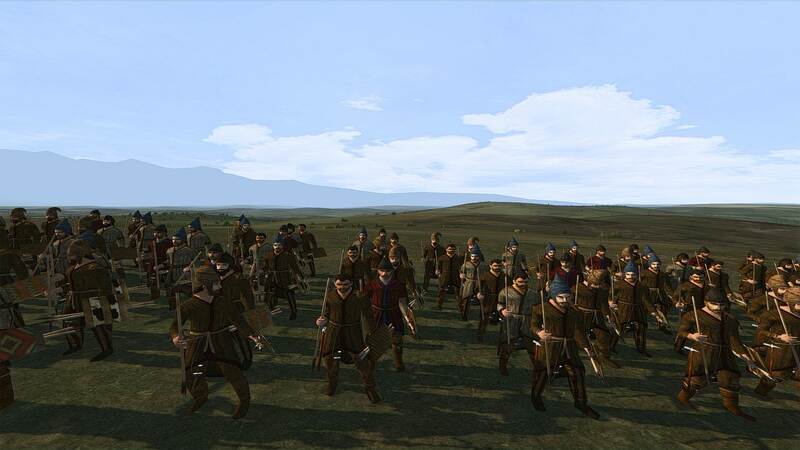 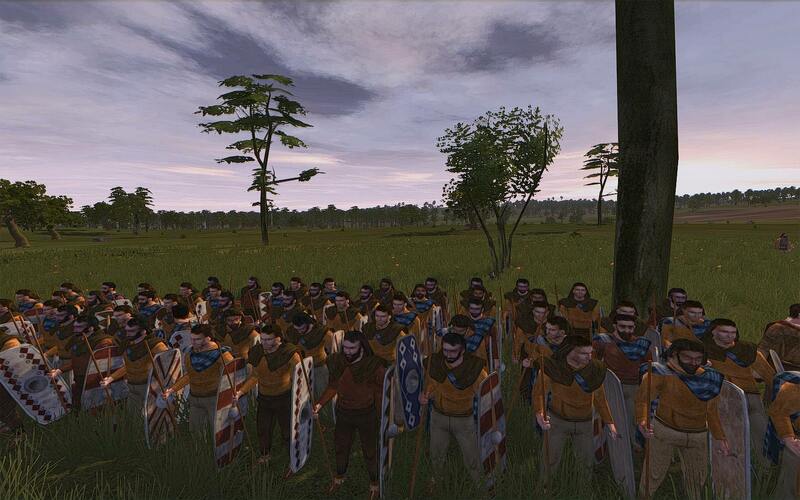 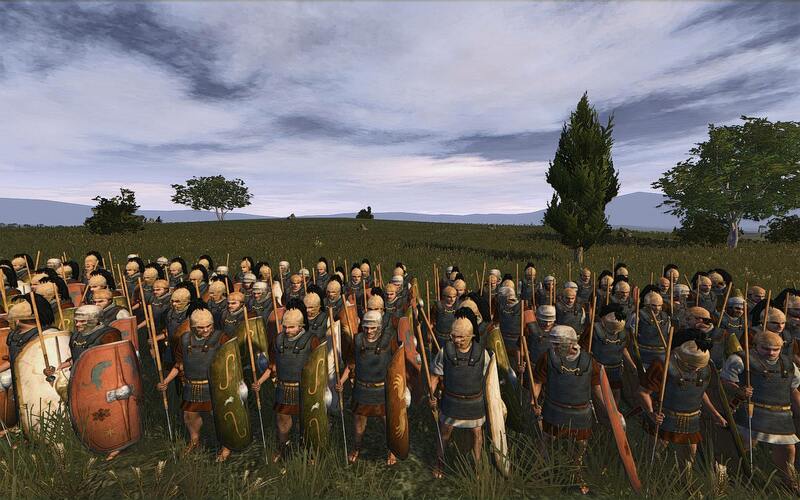 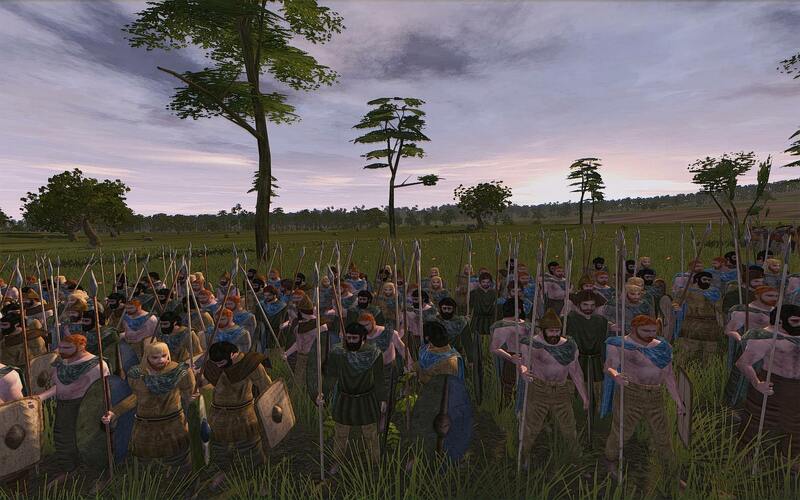 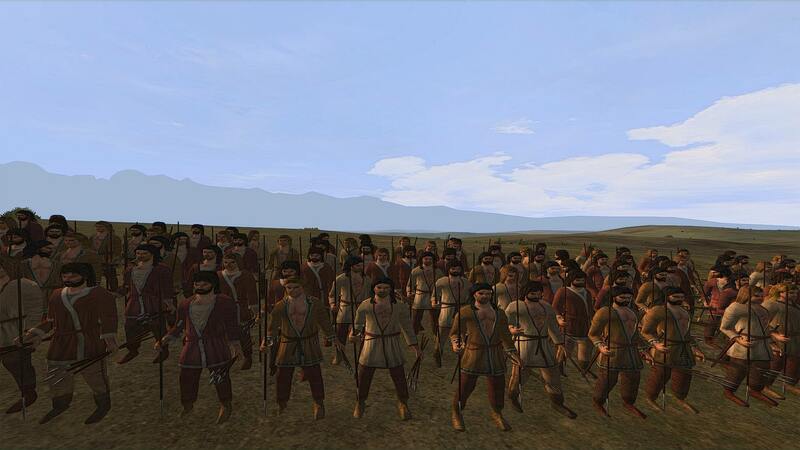 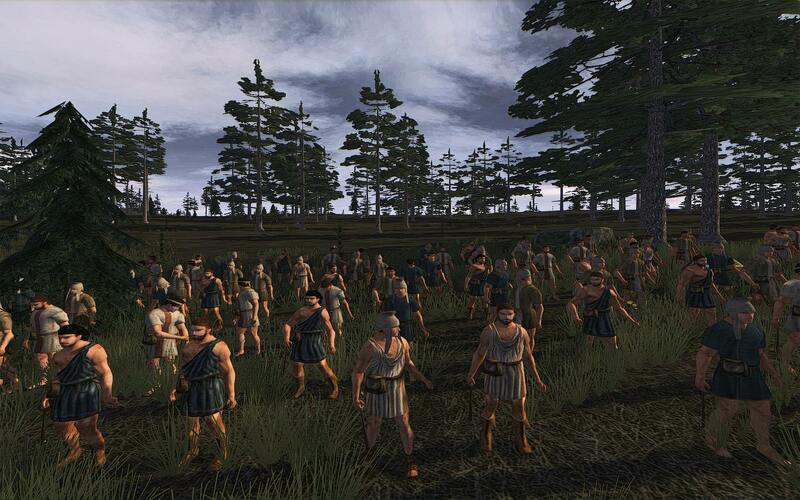 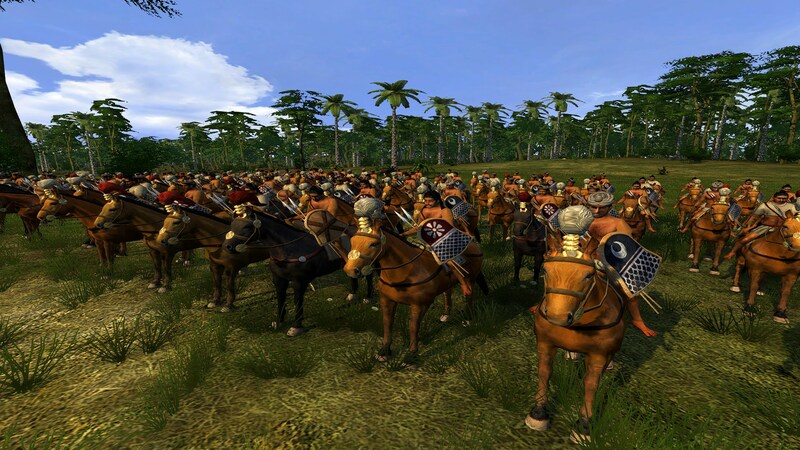 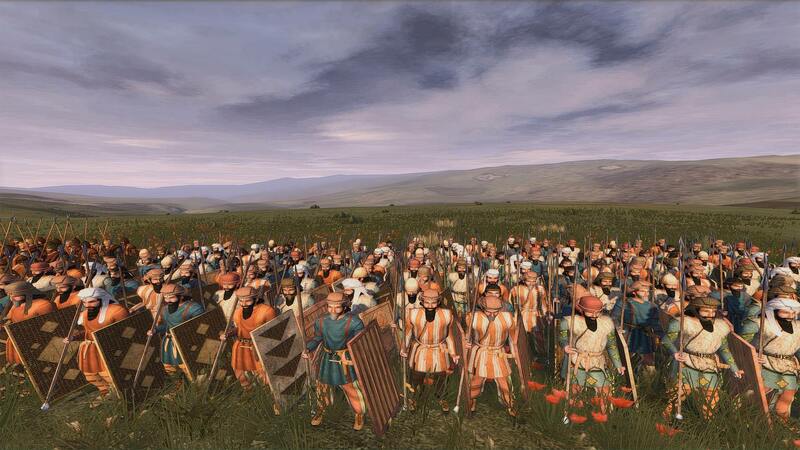 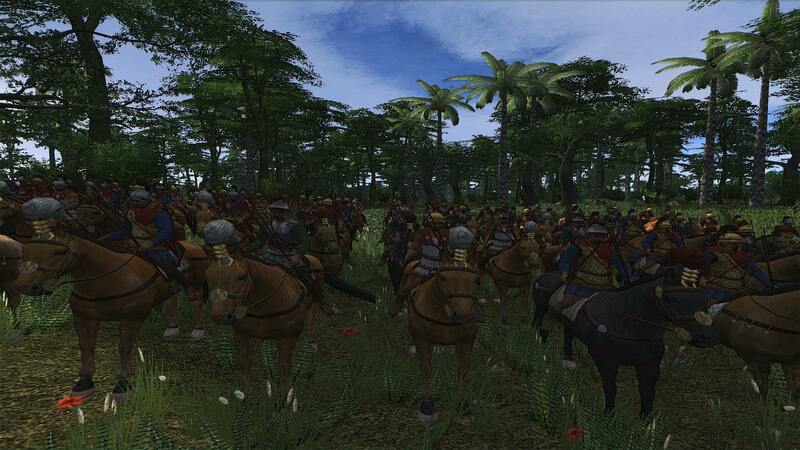 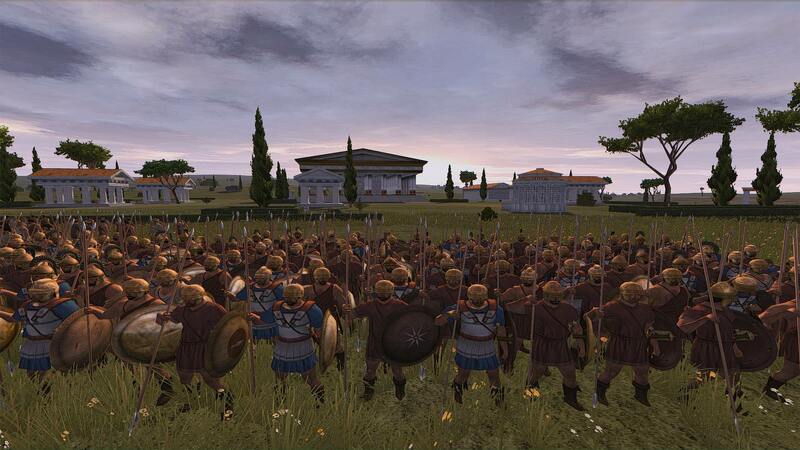 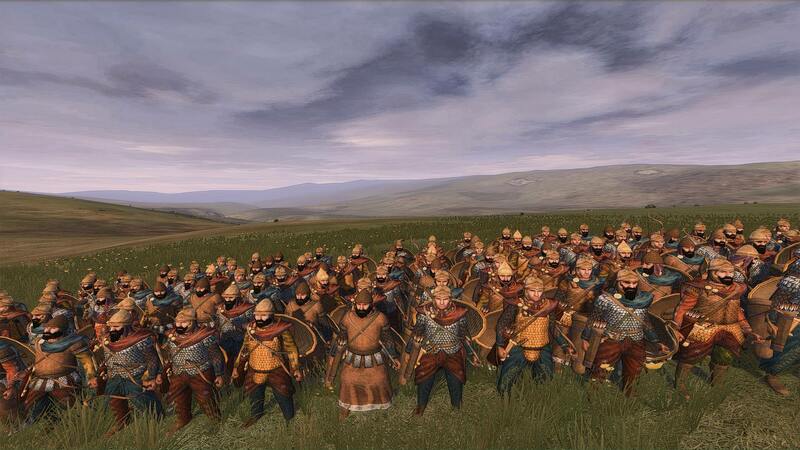 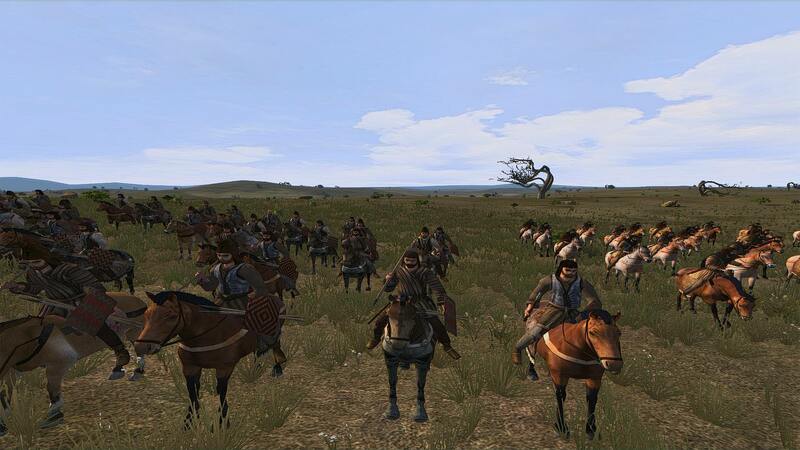 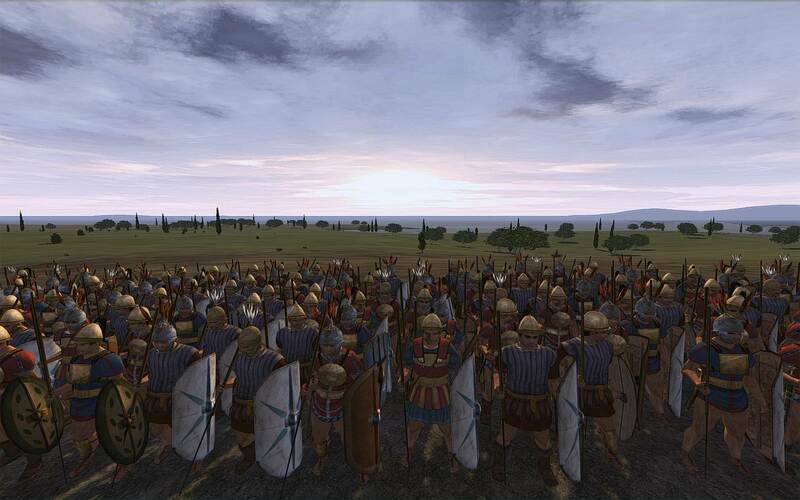 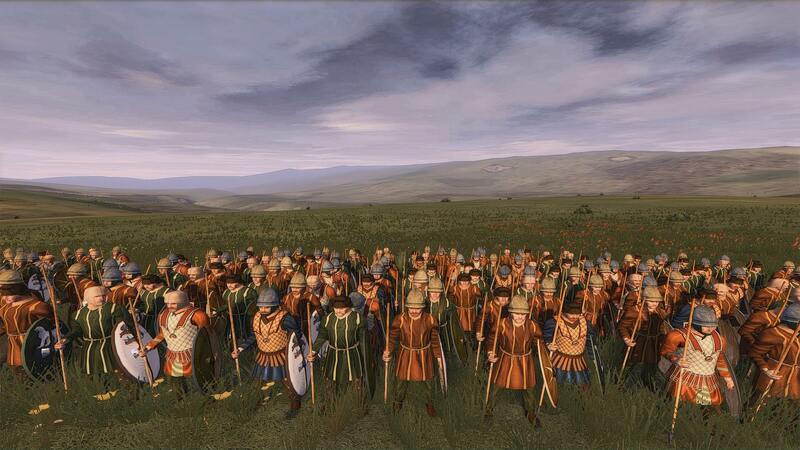 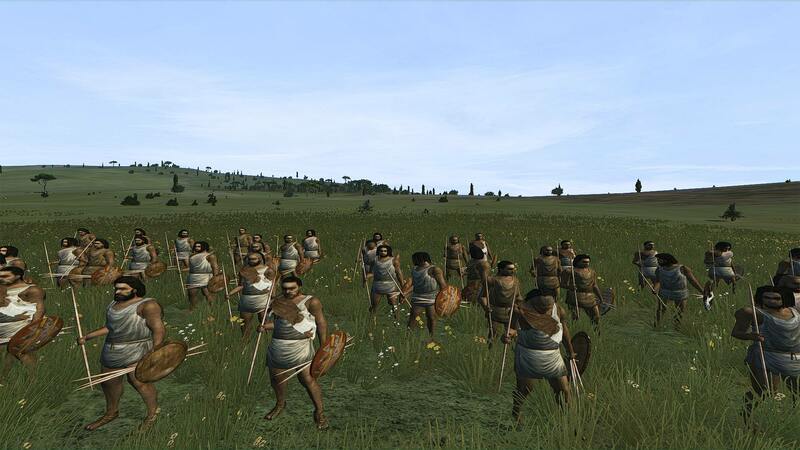 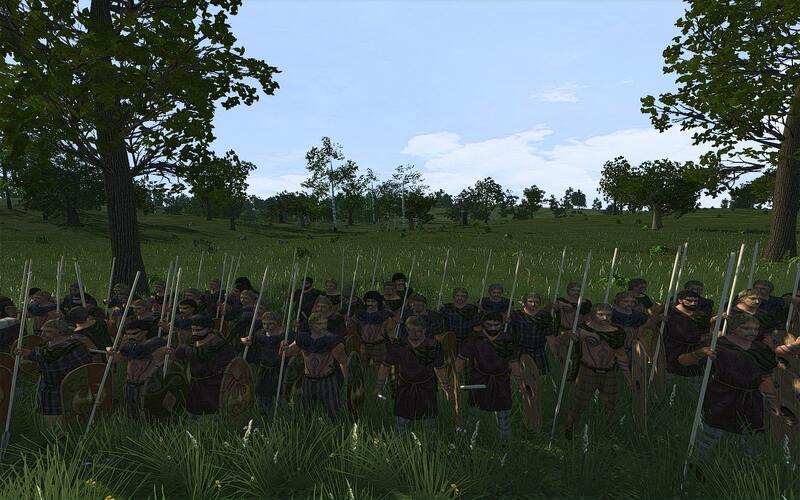 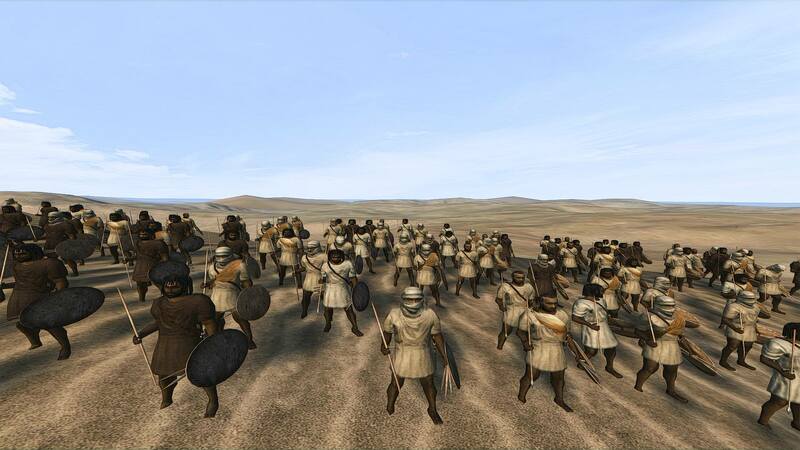 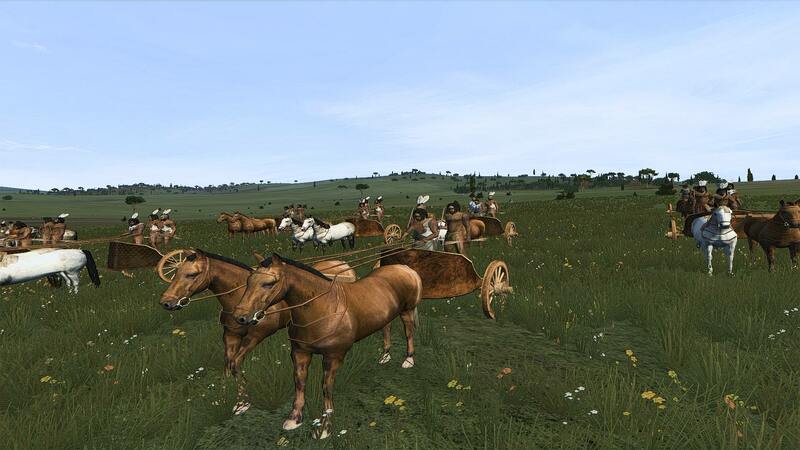 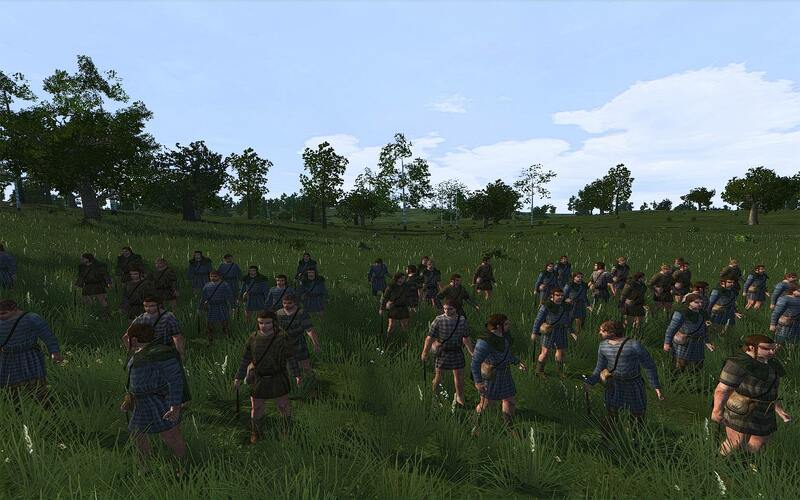 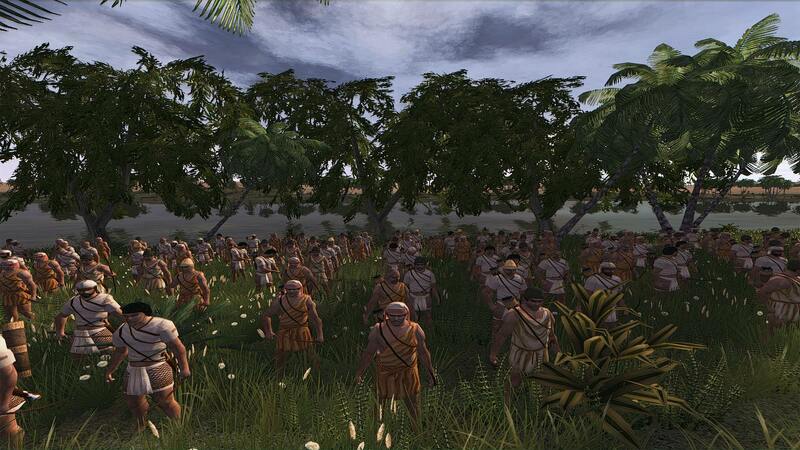 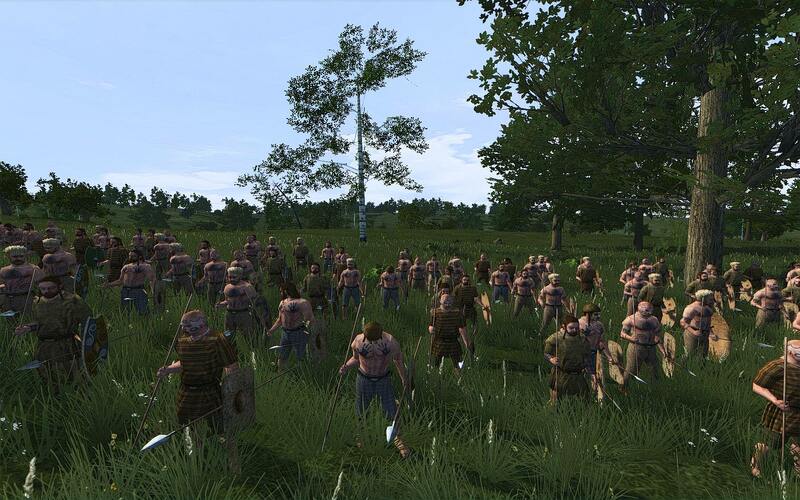 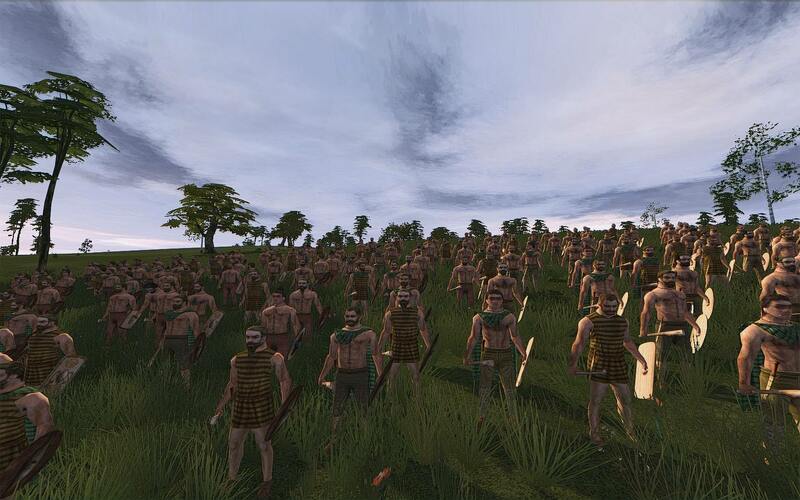 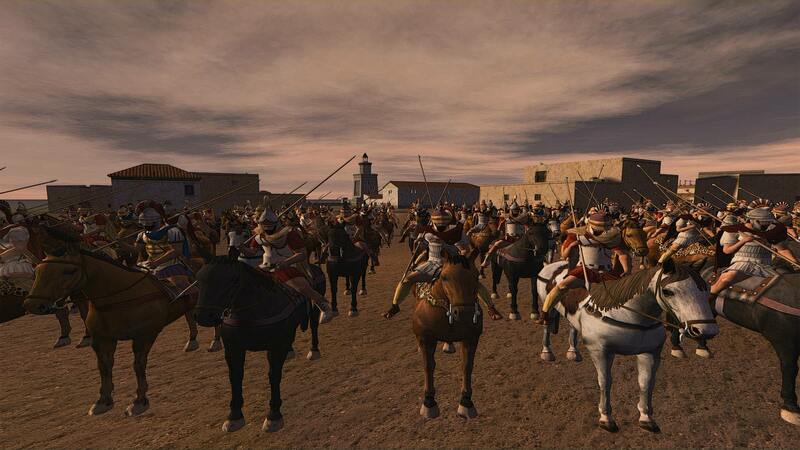 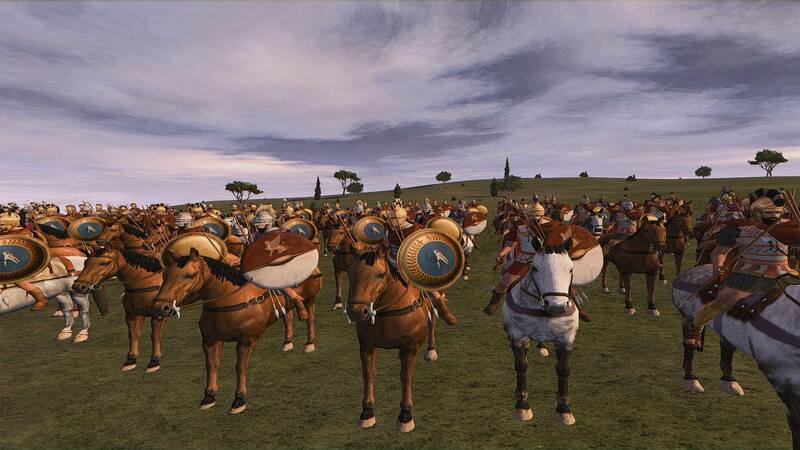 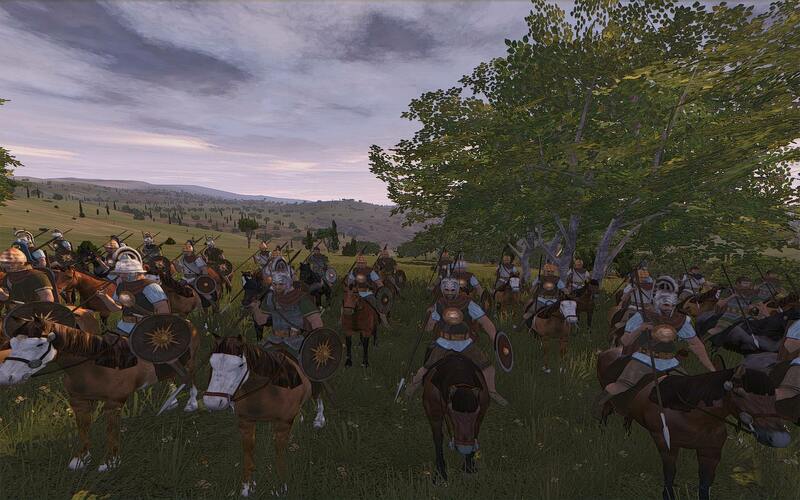 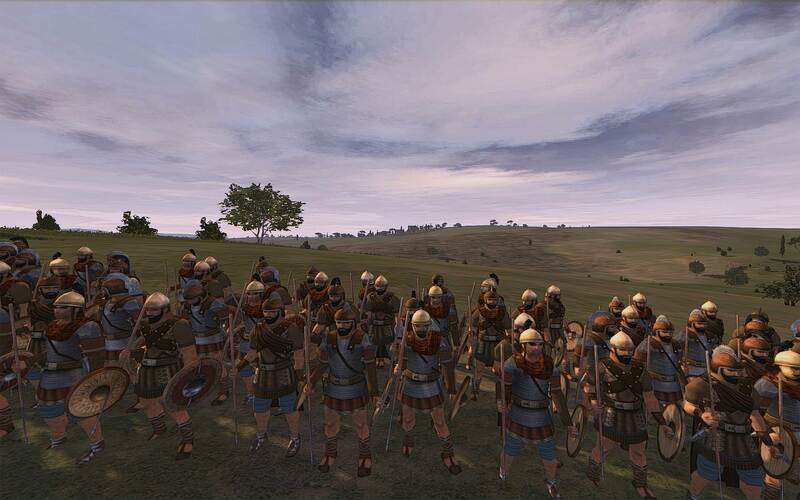 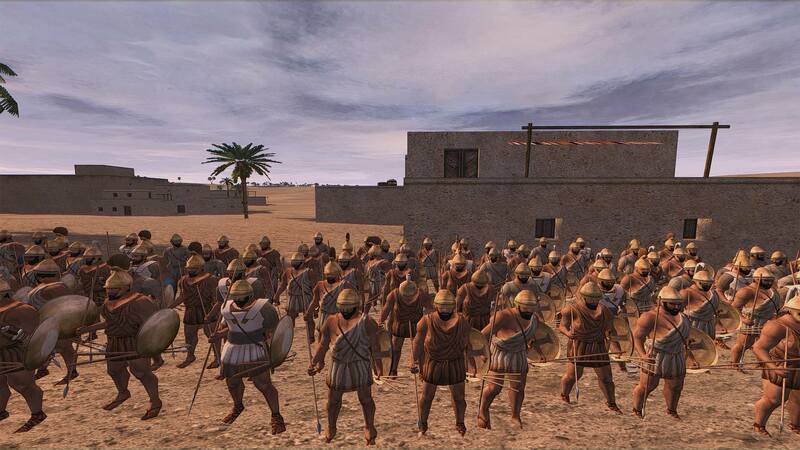 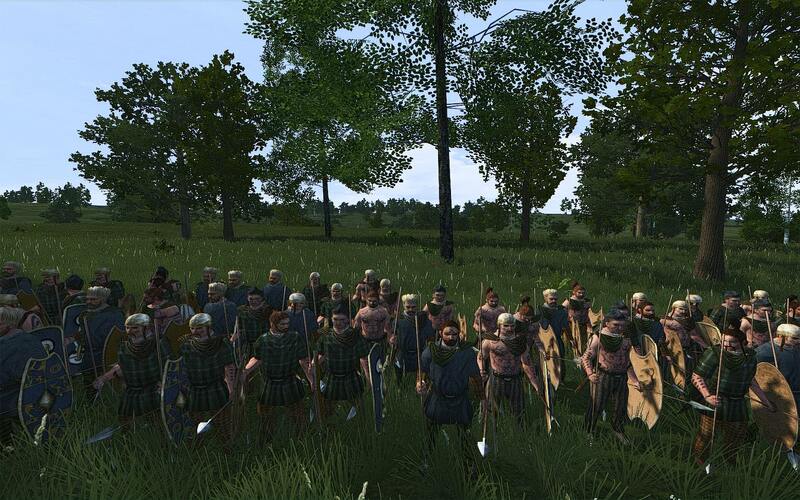 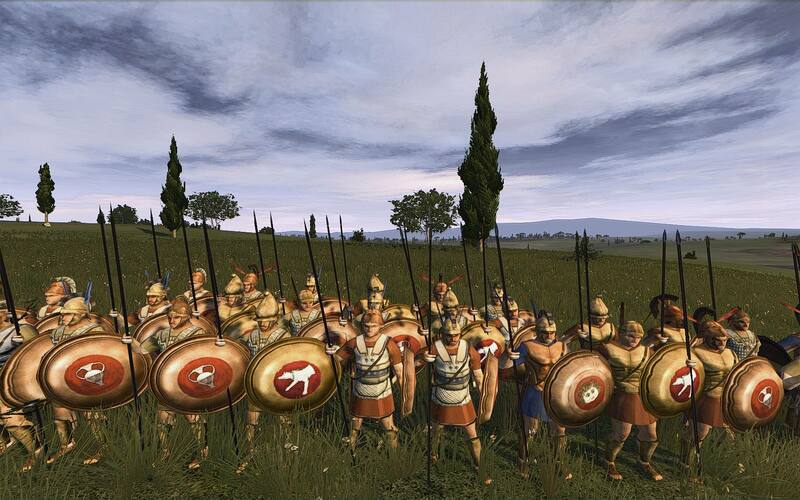 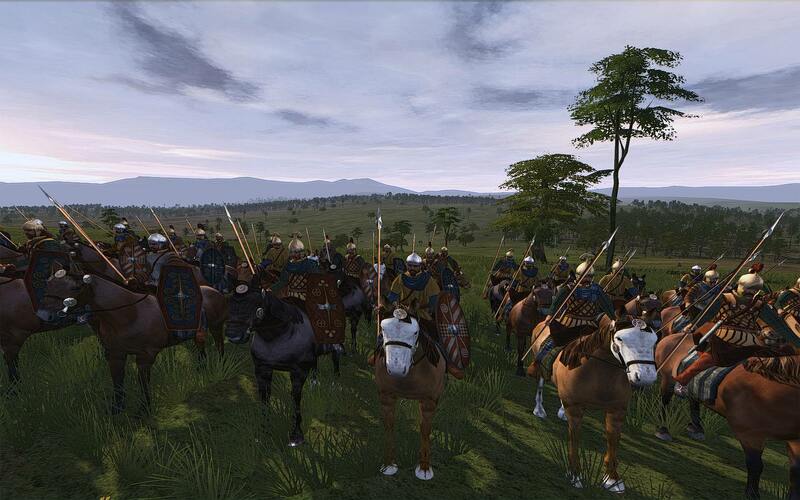 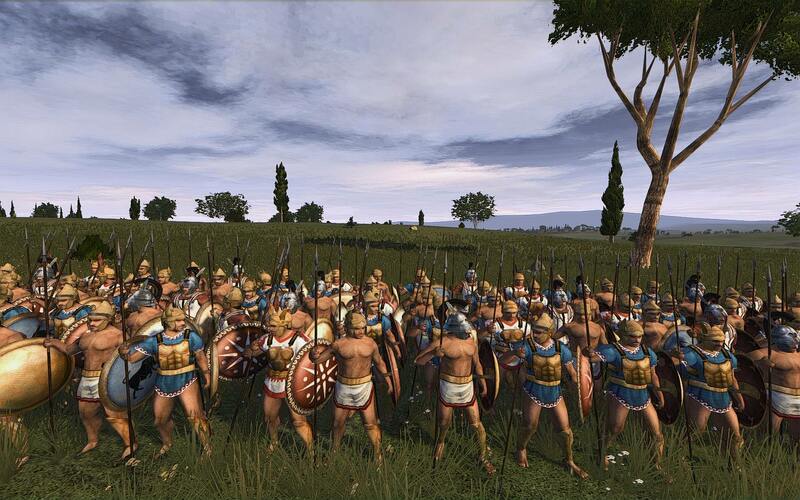 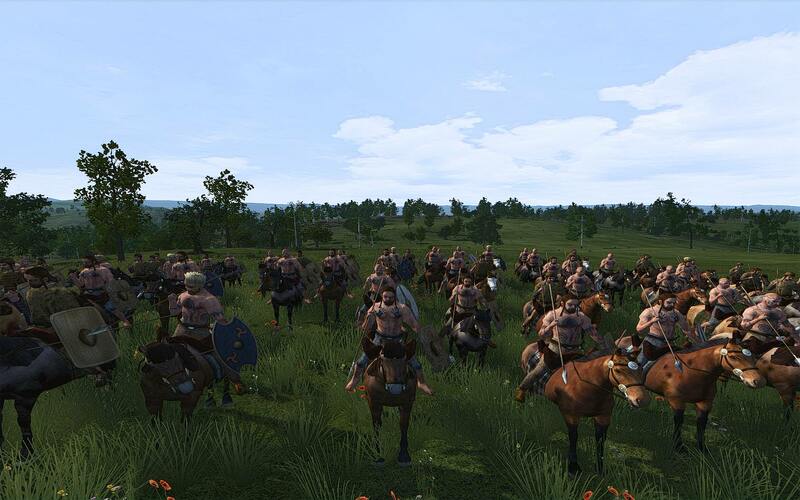 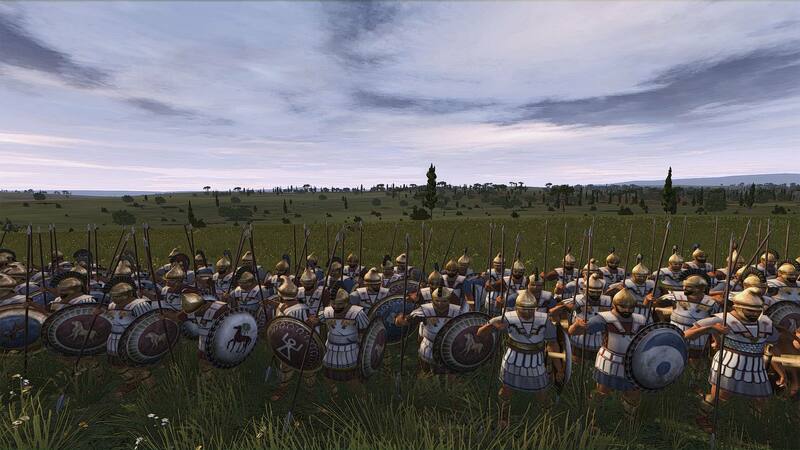 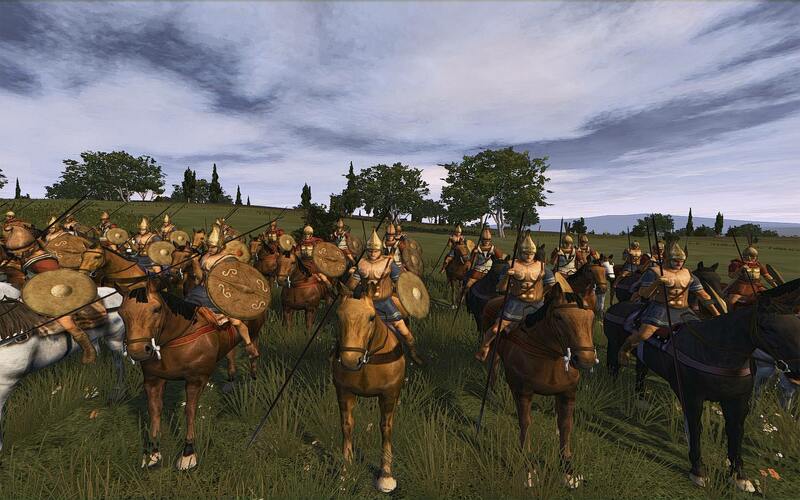 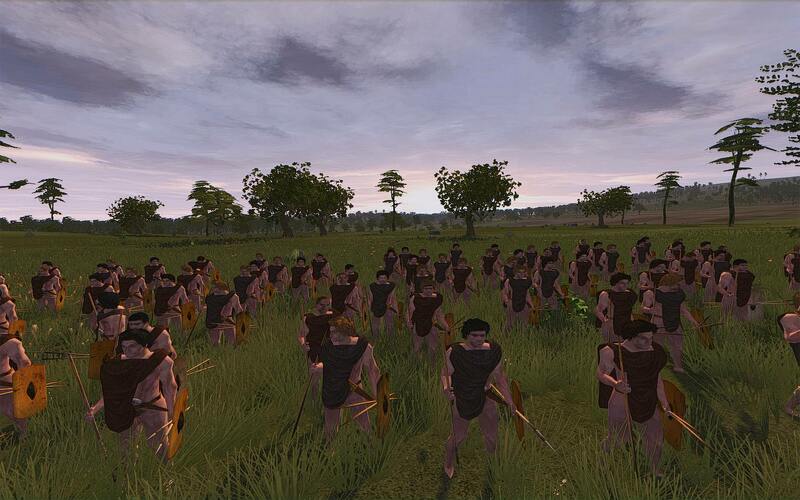 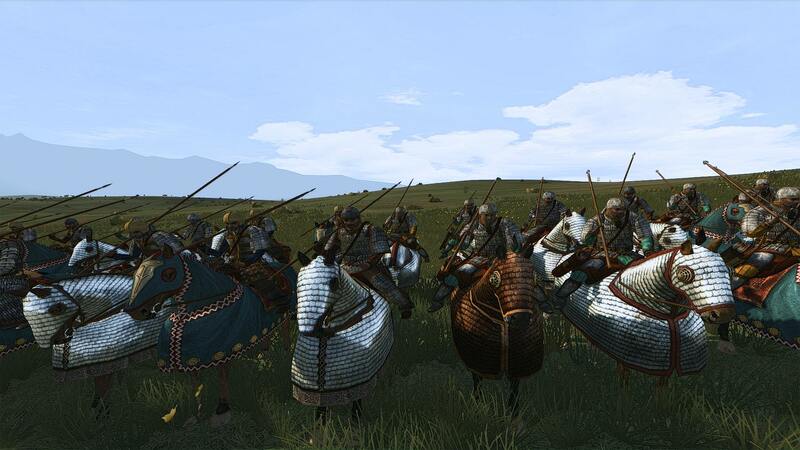 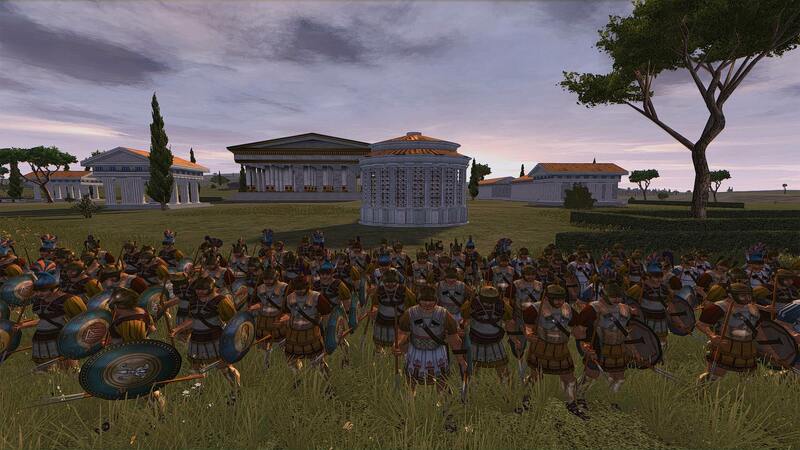 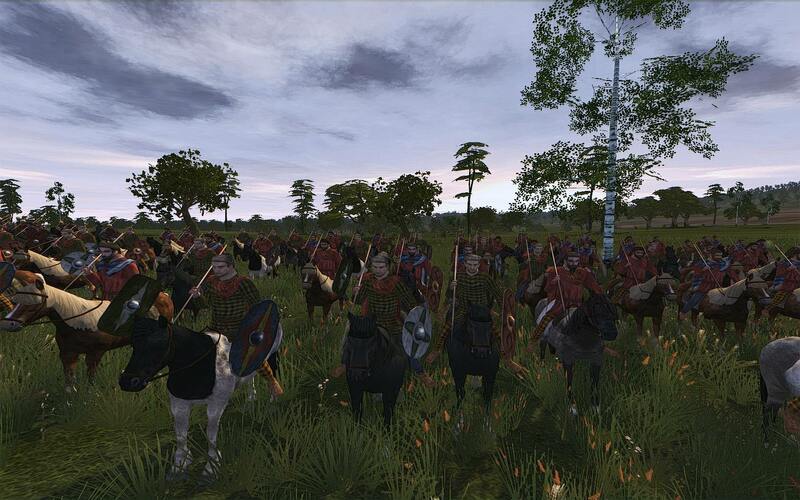 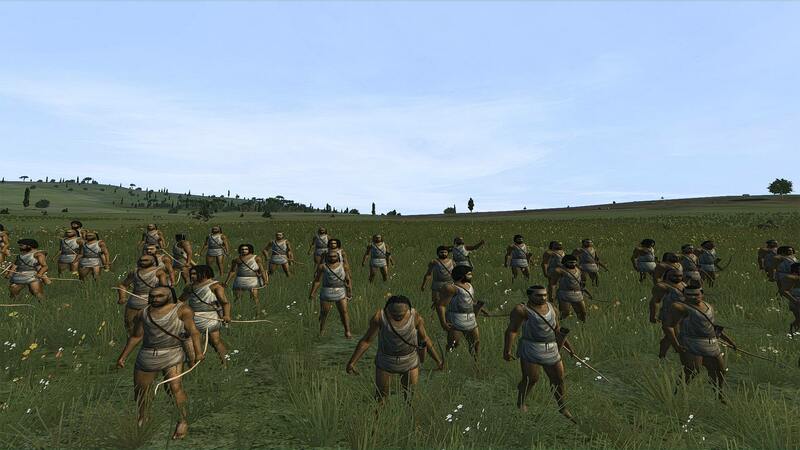 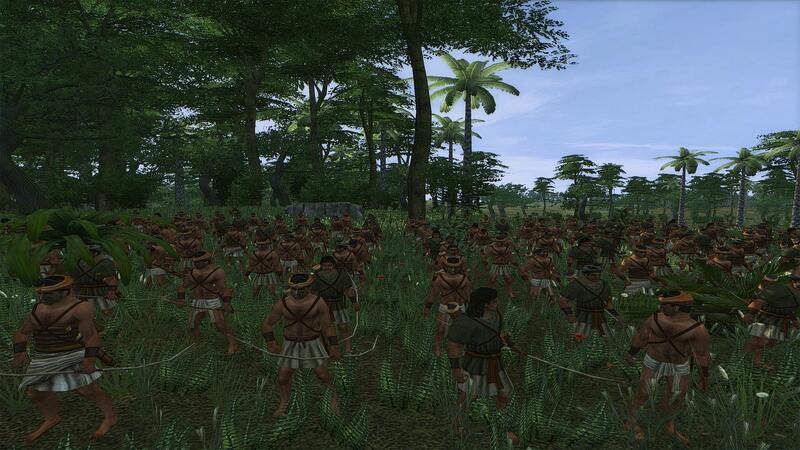 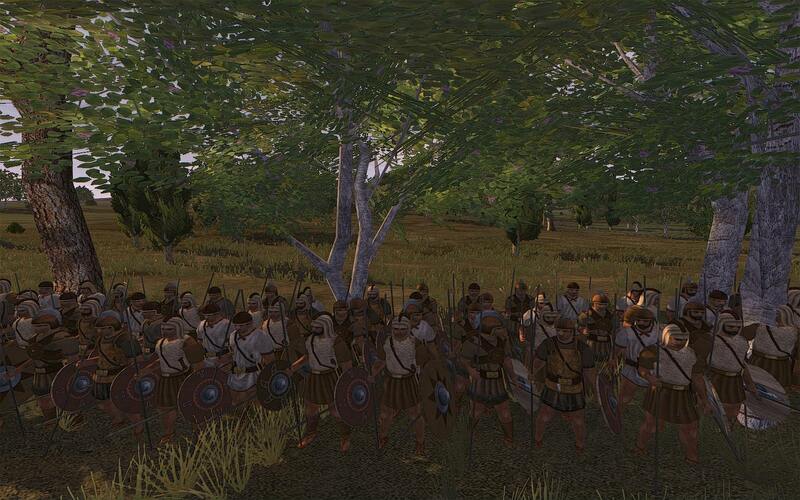 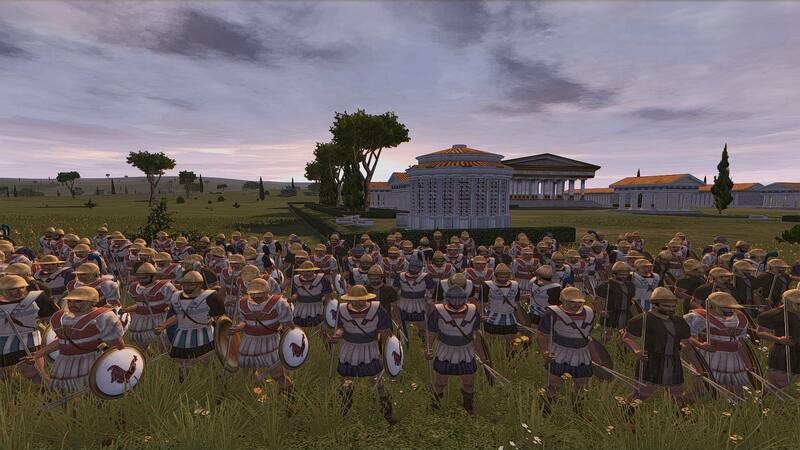 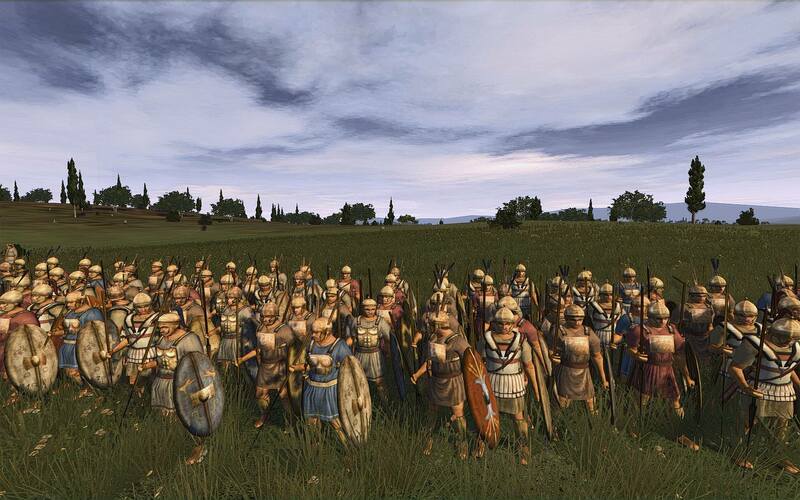 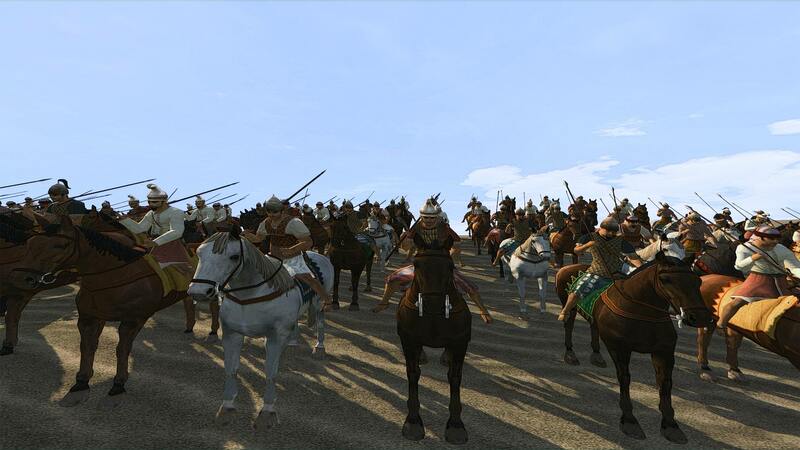 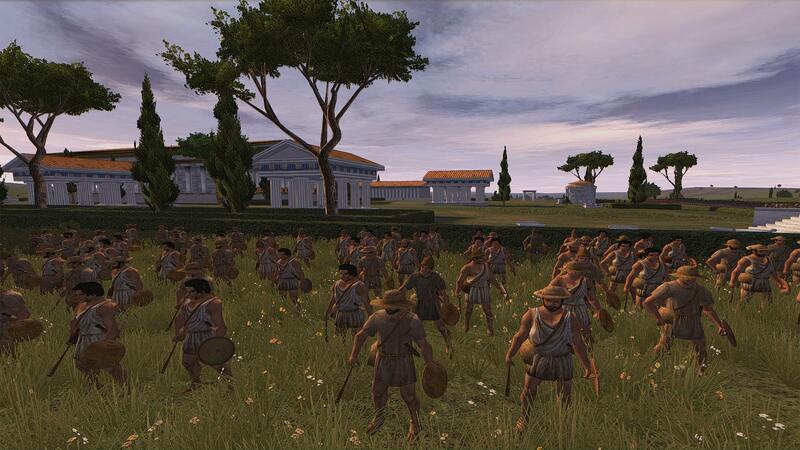 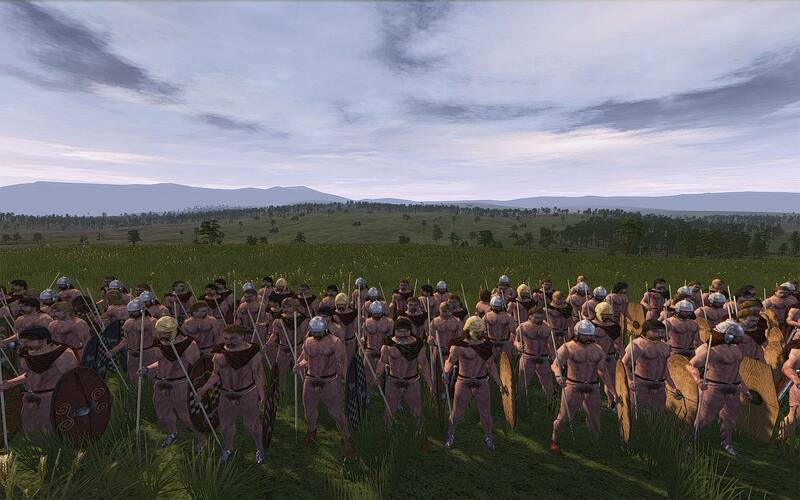 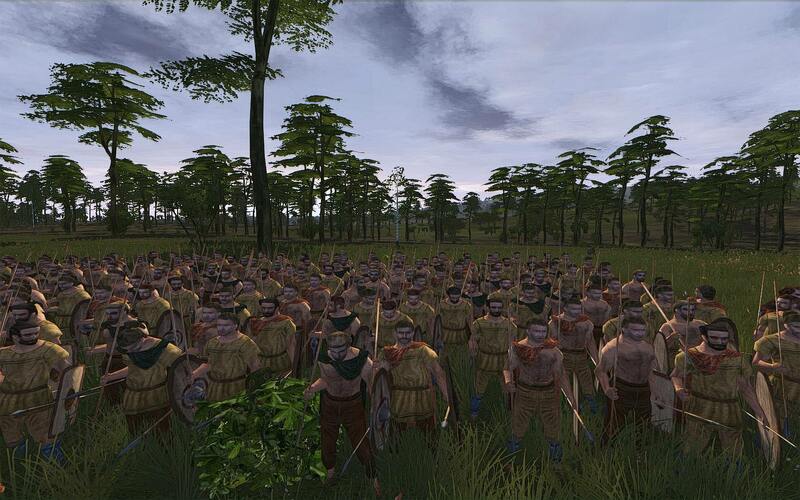 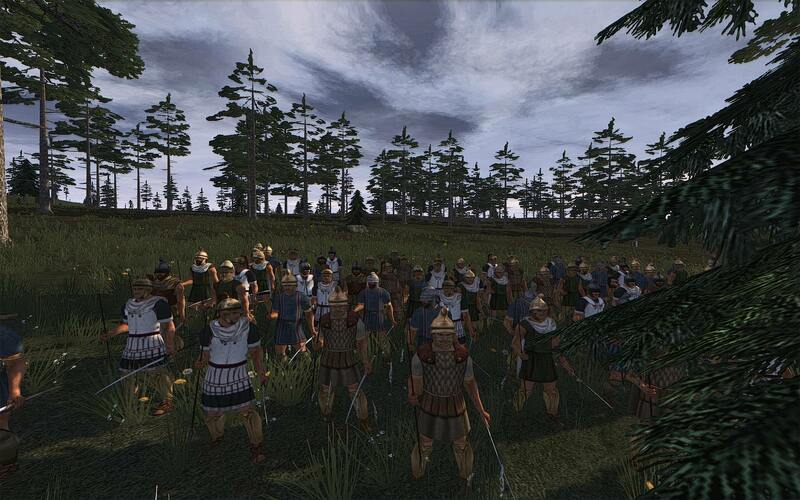 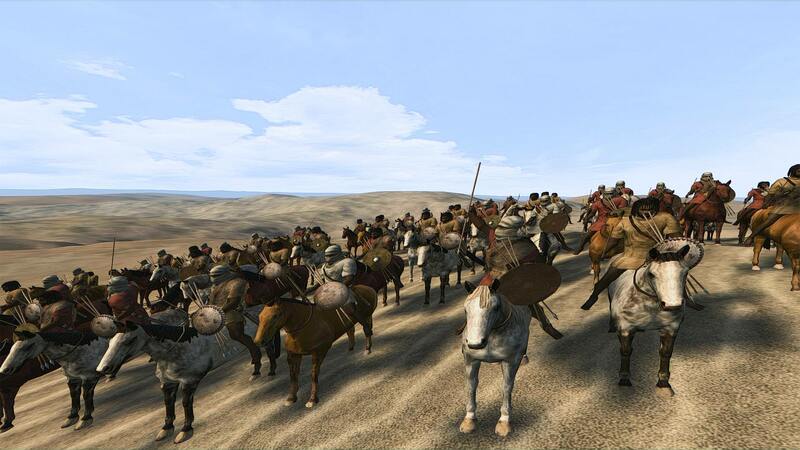 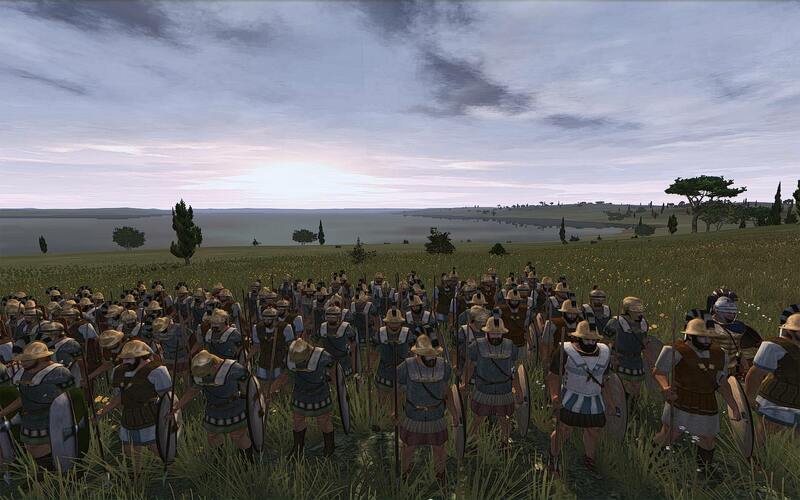 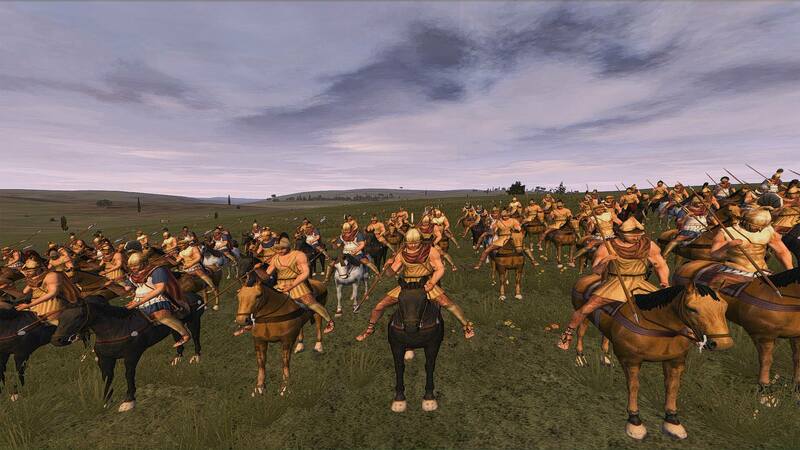 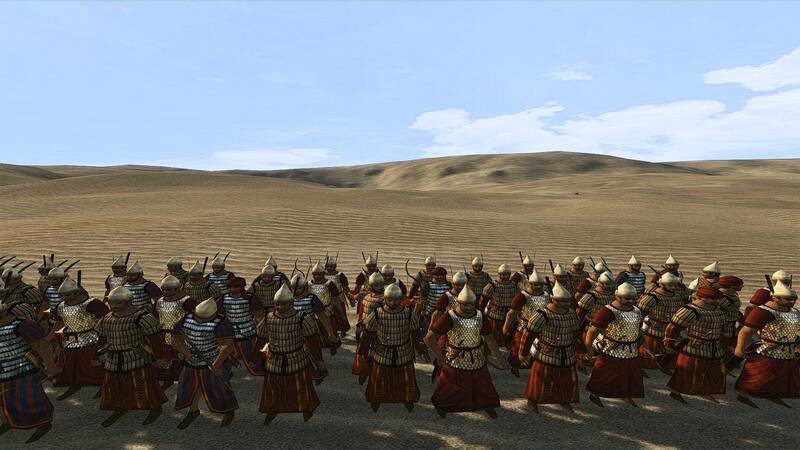 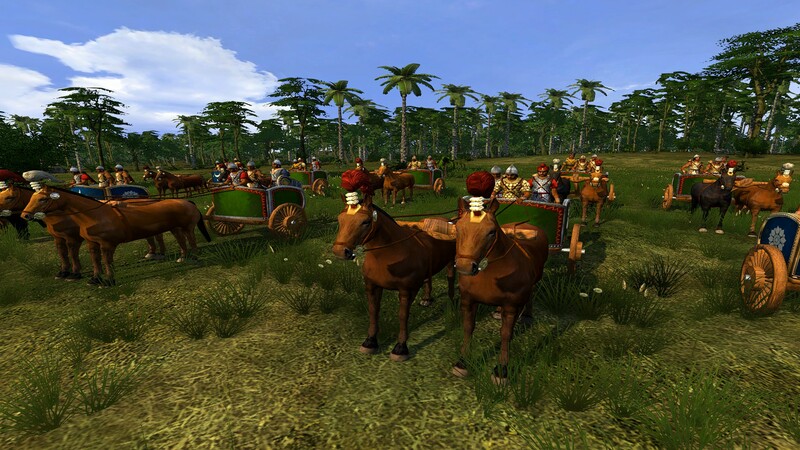 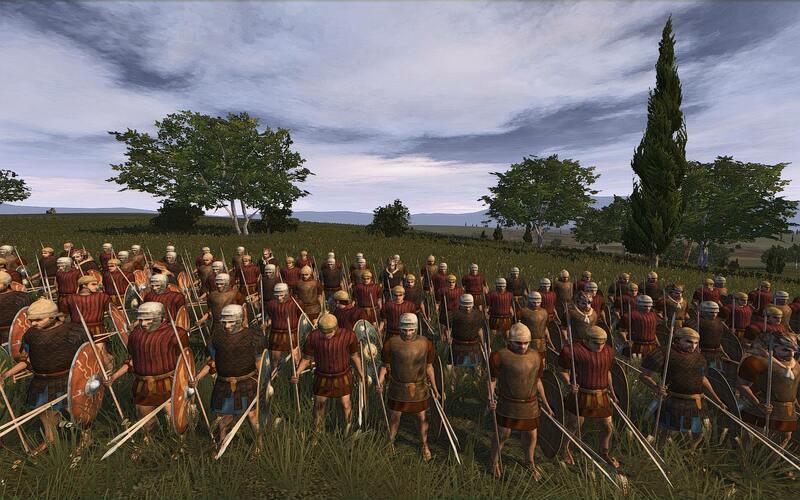 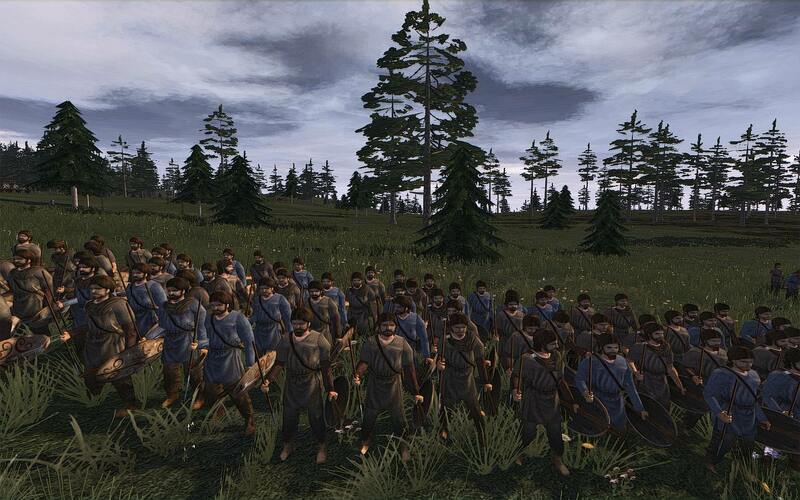 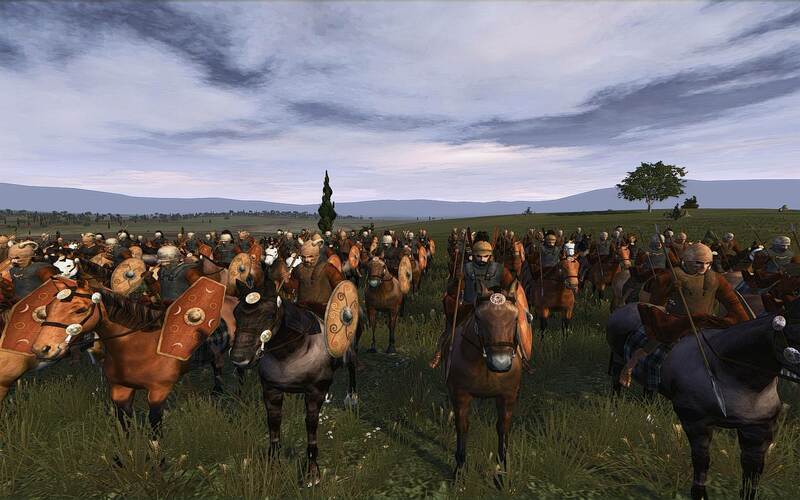 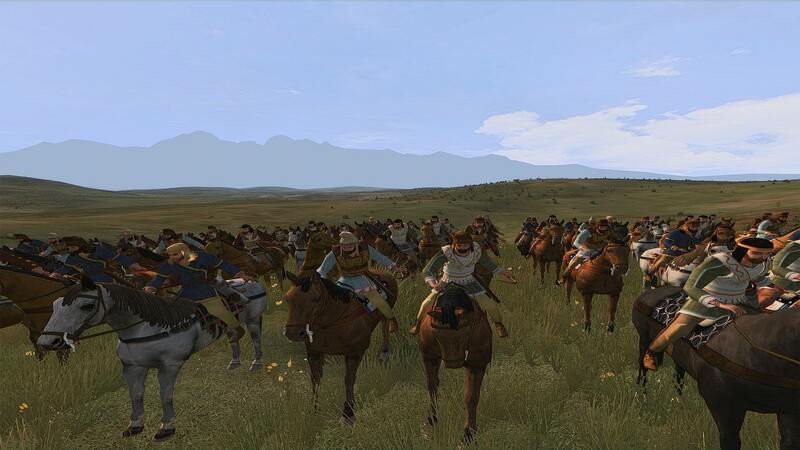 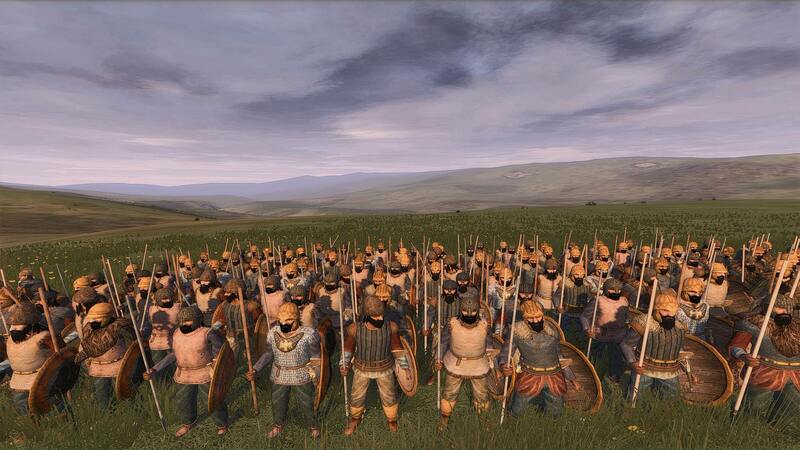 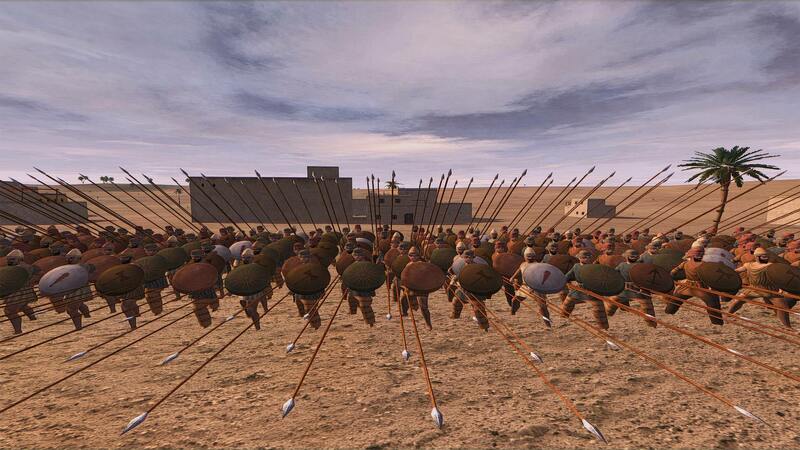 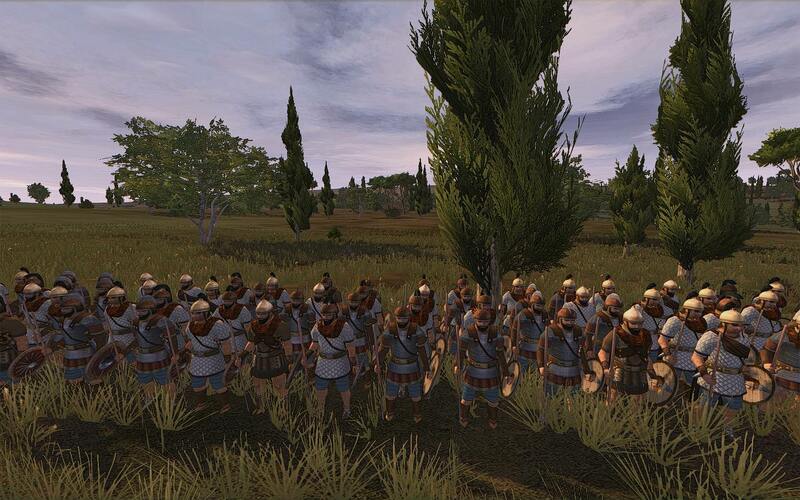 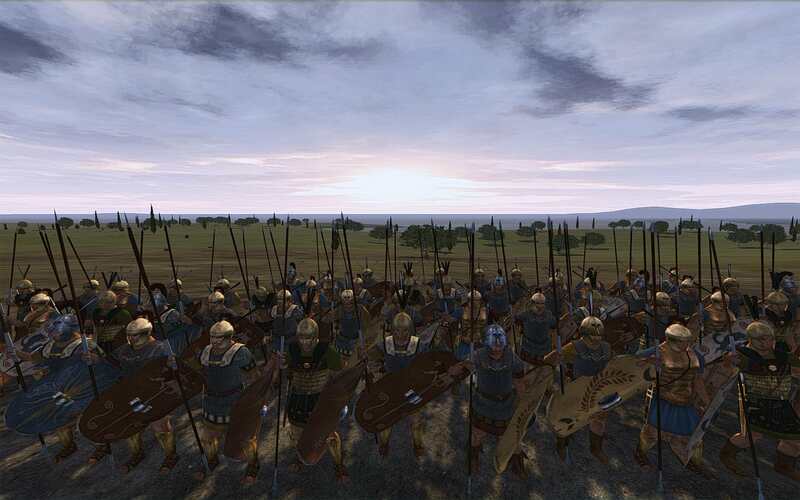 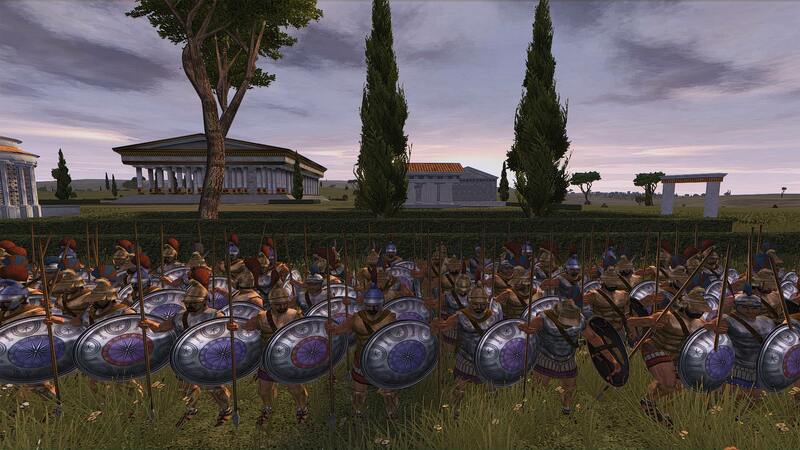 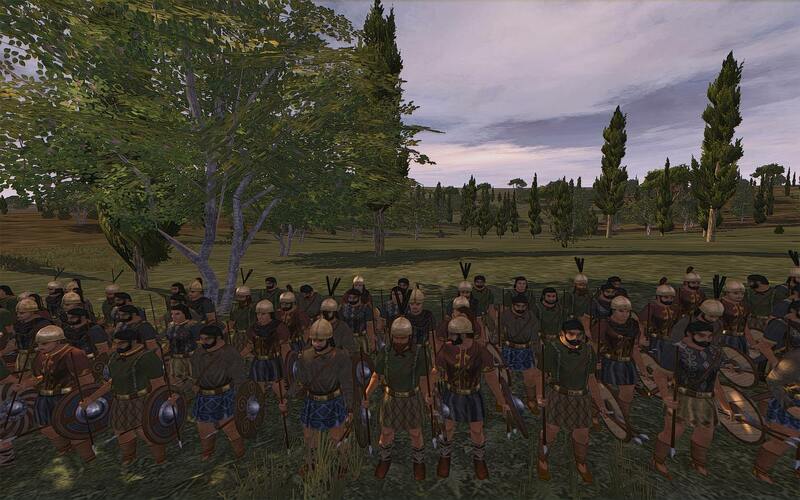 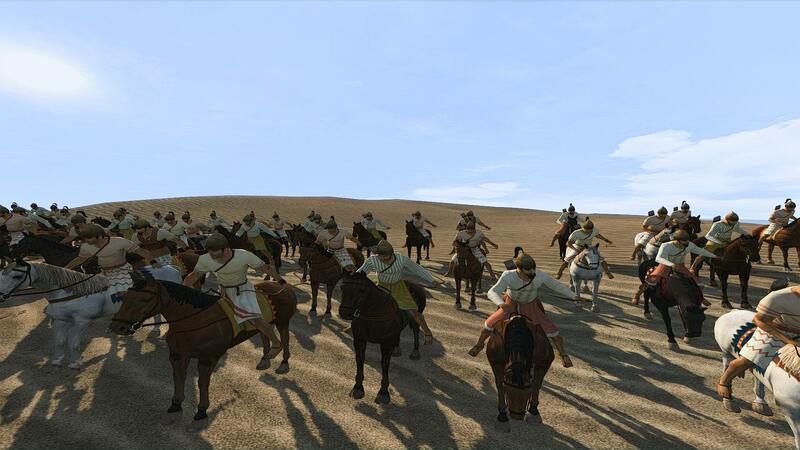 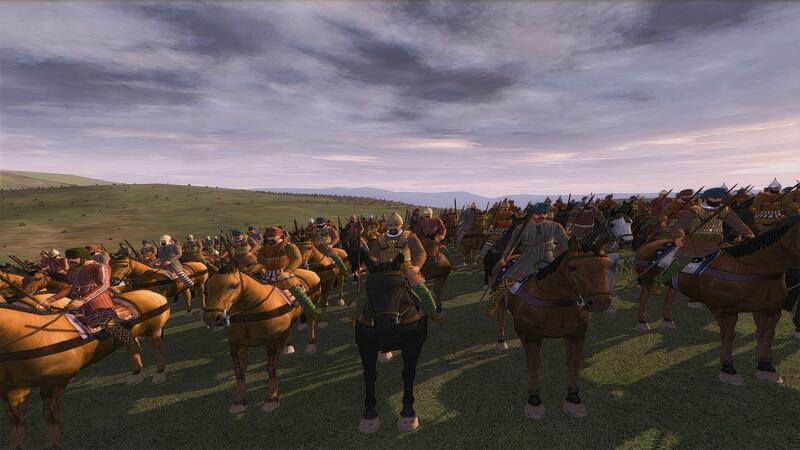 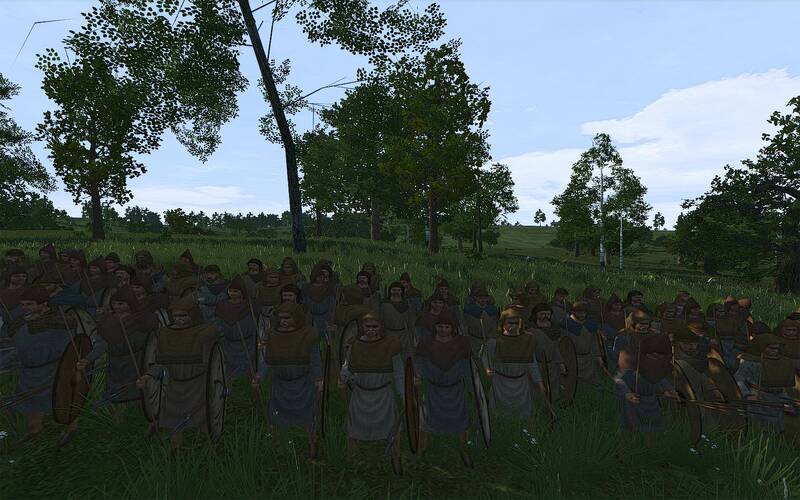 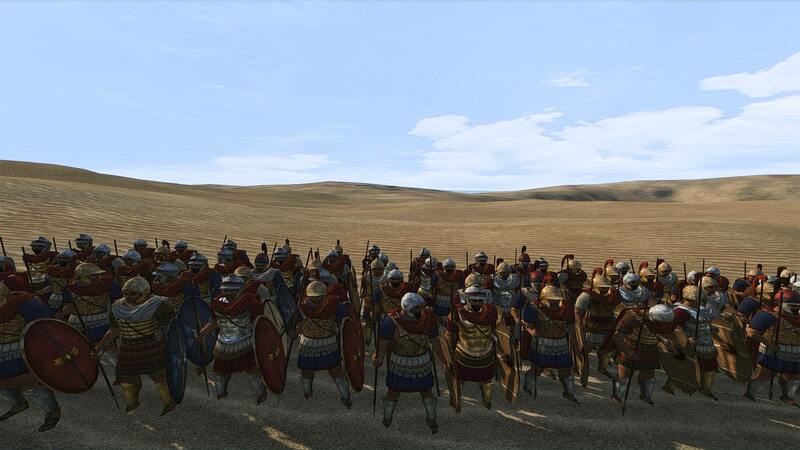 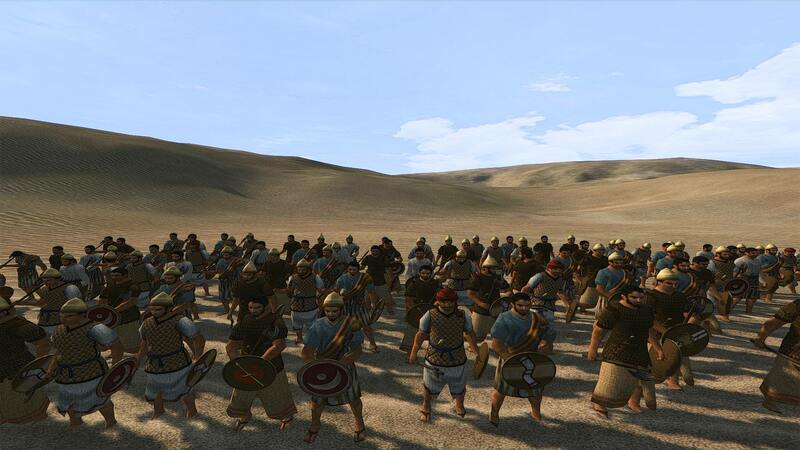 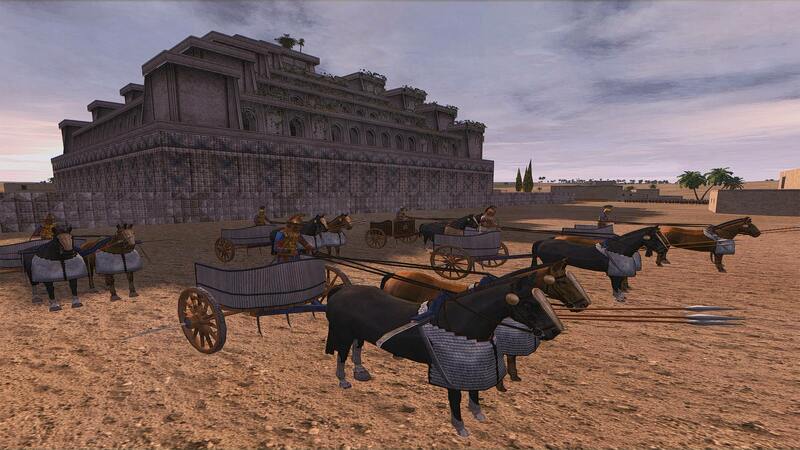 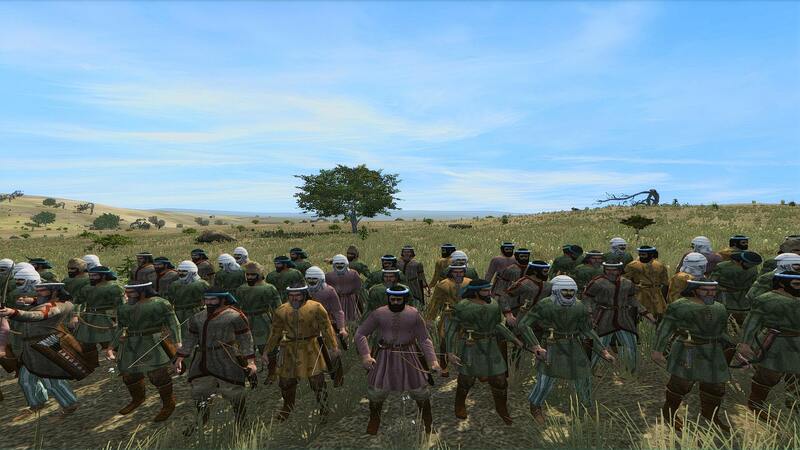 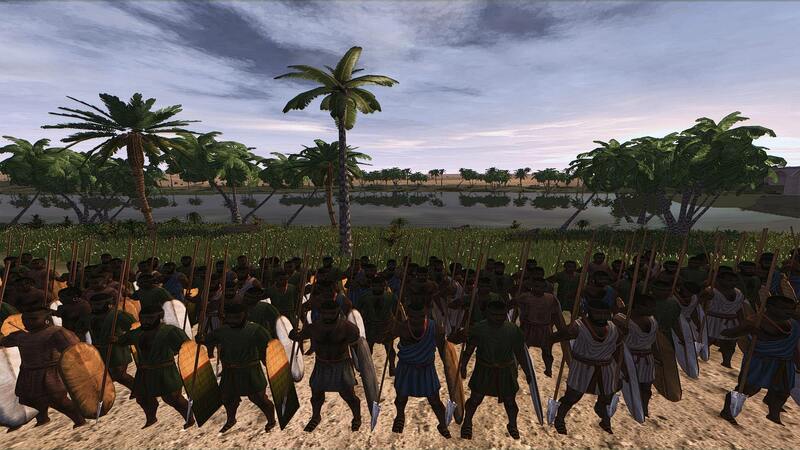 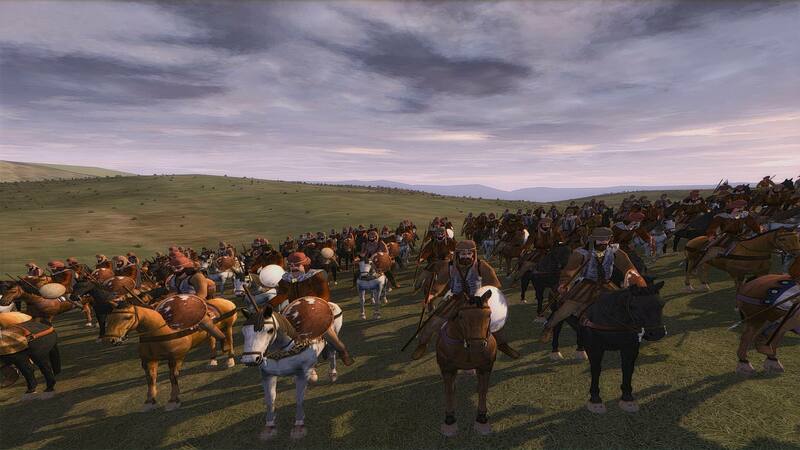 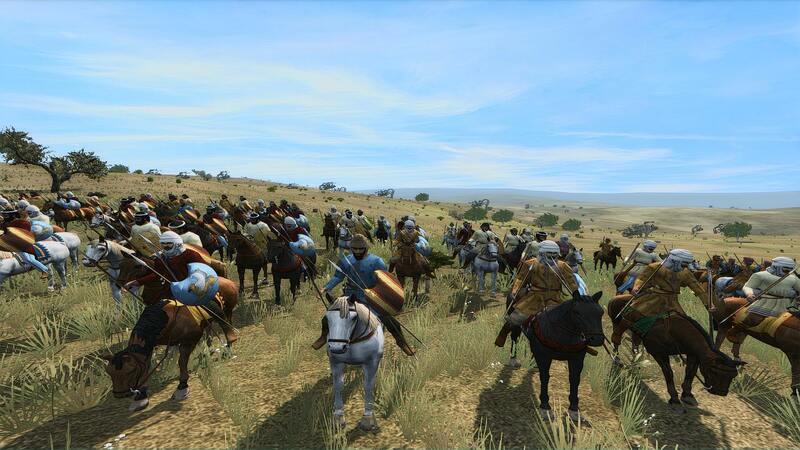 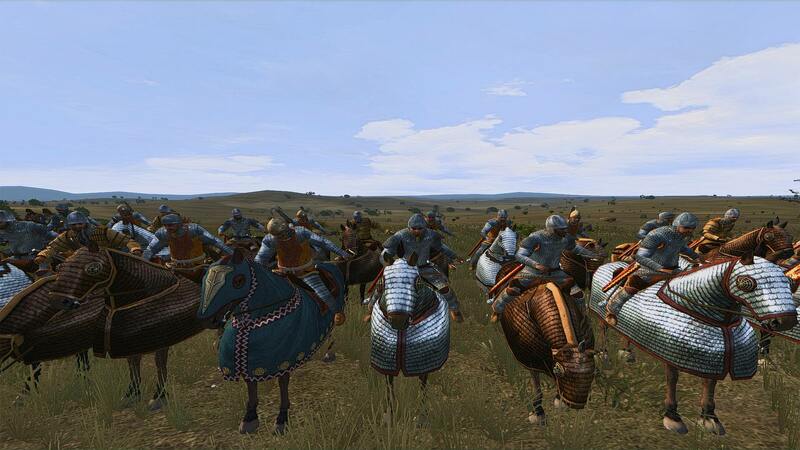 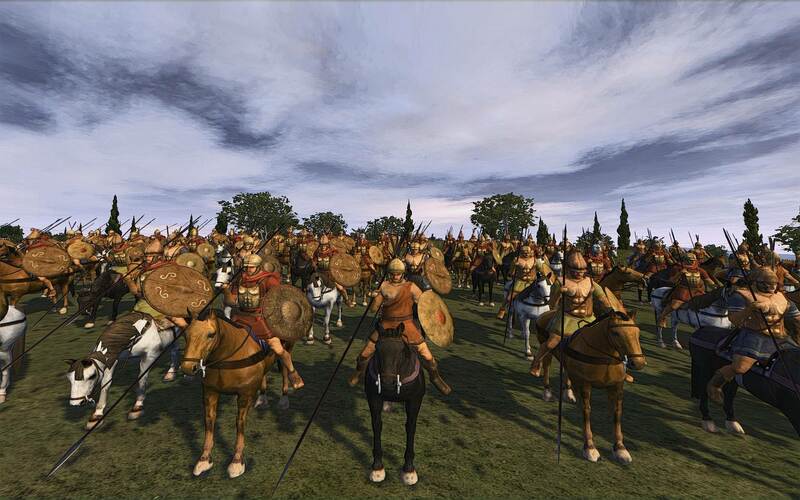 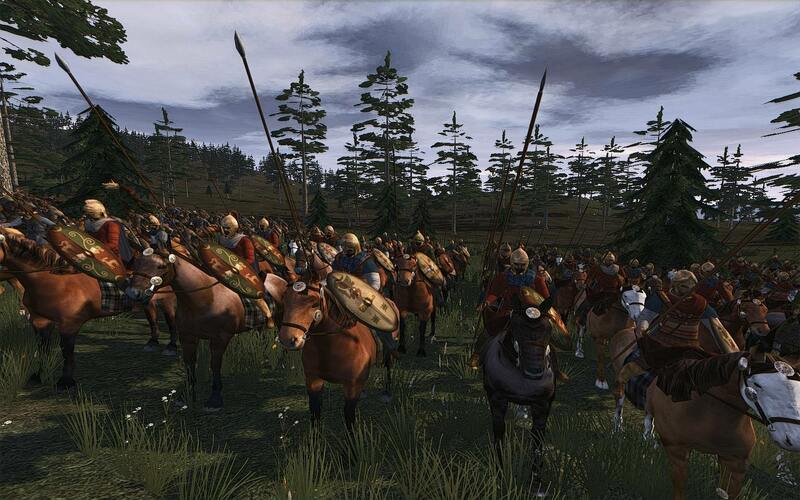 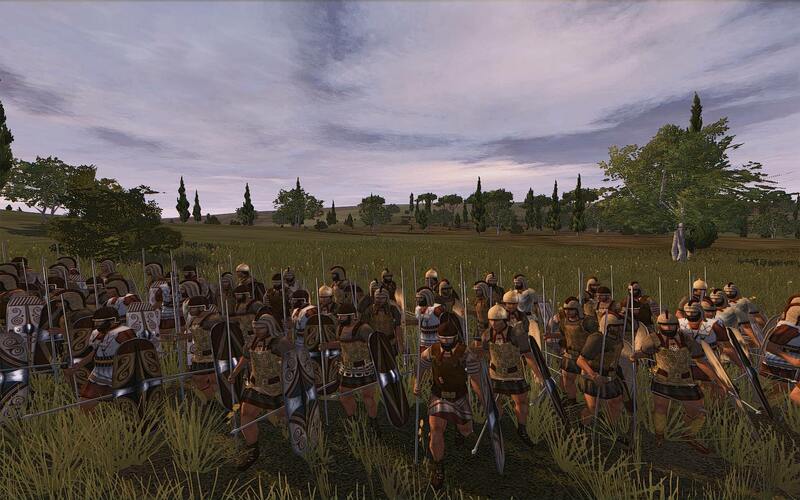 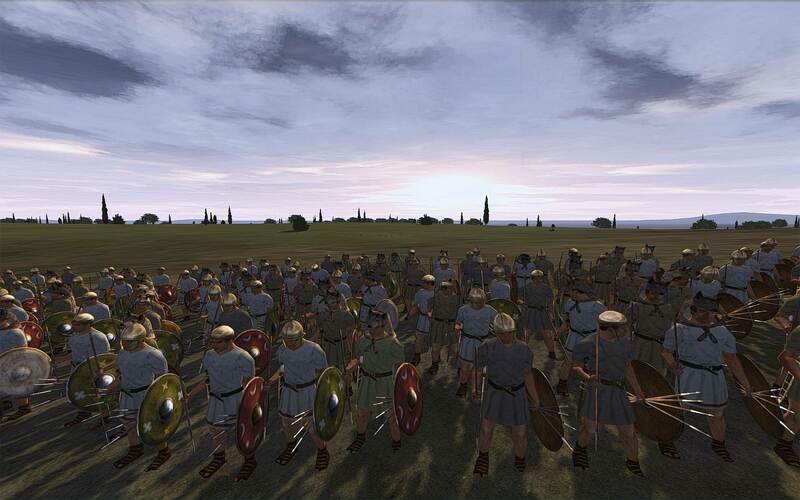 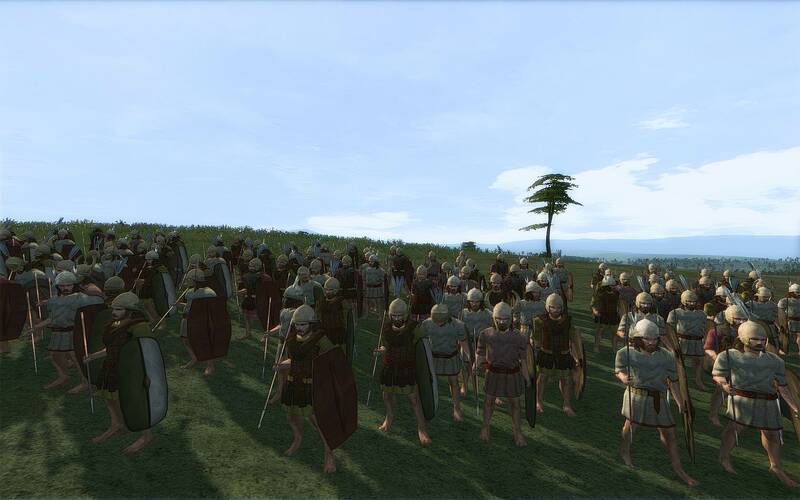 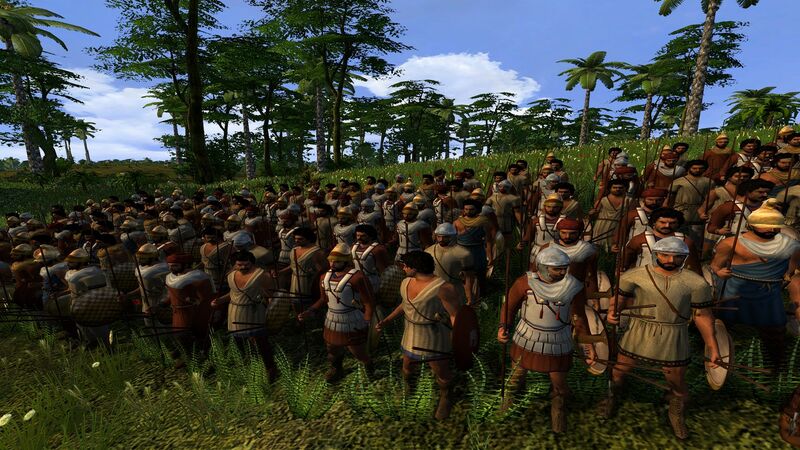 The new skins you guys created for the Carthaginian sacred band infantry are also awe-inspiring on the battlefield. 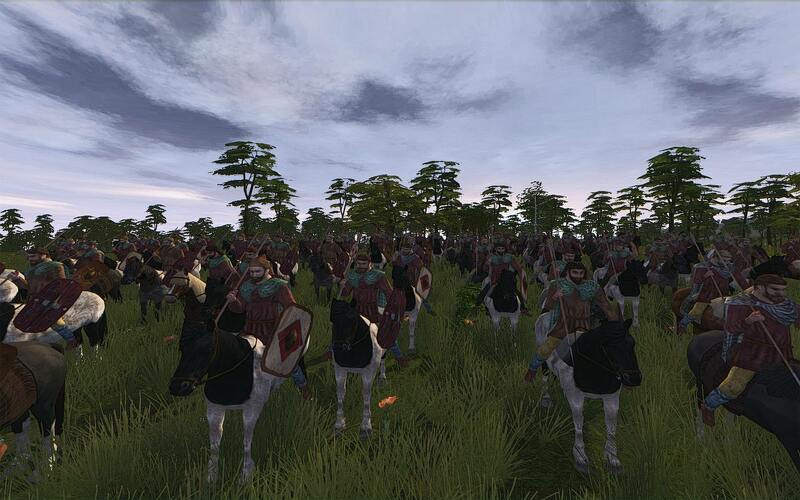 They really stand out now with those deep red hues and iron-plated armor. 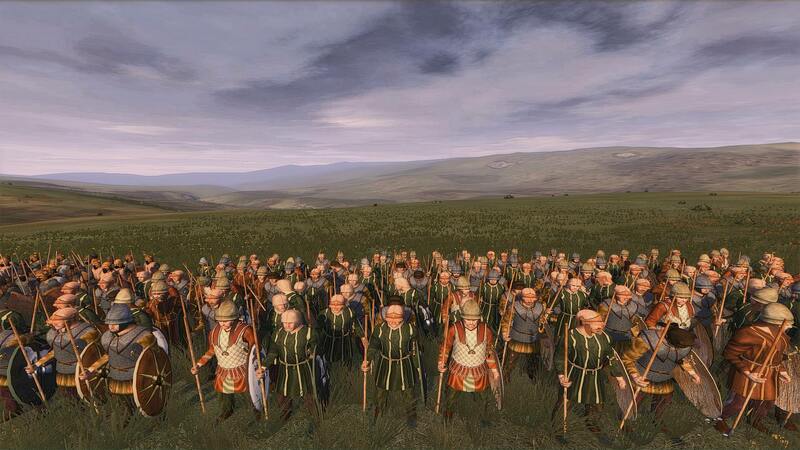 Makes you think twice about engaging the enemy with those elite bastards running around! 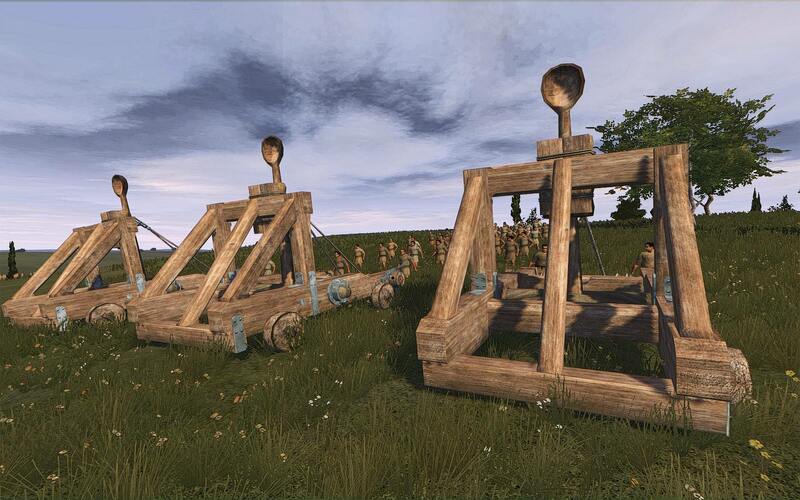 Hello, do you still need some screenshots ? 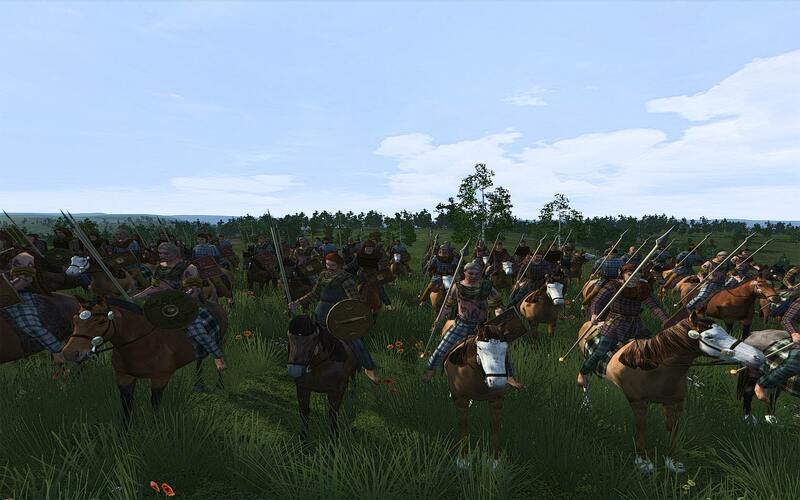 Some specific units maybe ? 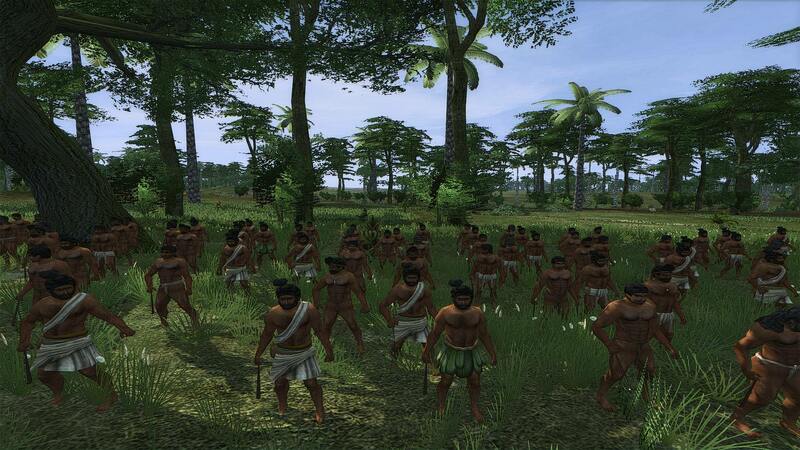 I got my own gaming laptop now and some spare time so I'll be happy to help. 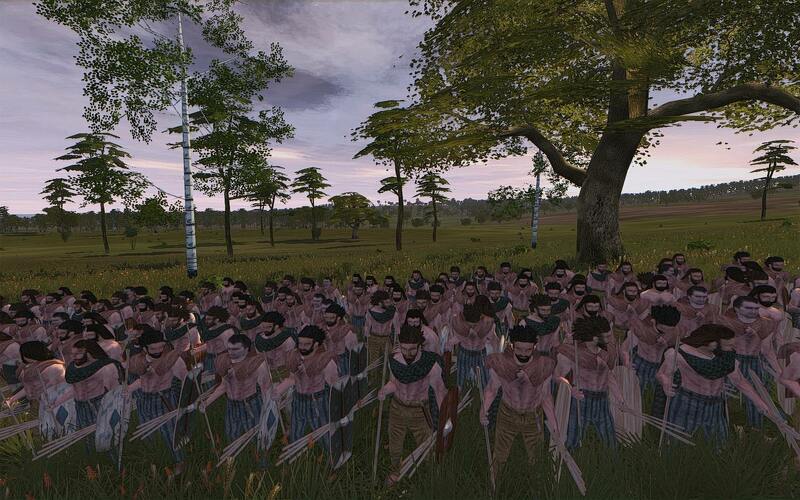 By the way, this is 2Saz speaking. 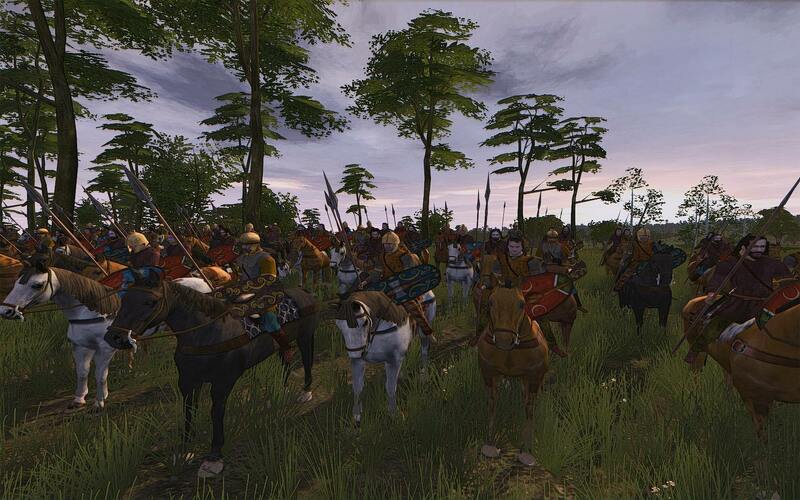 Should I give my complements now, or is there any more eye candy for me to be looking forward to enjoying?